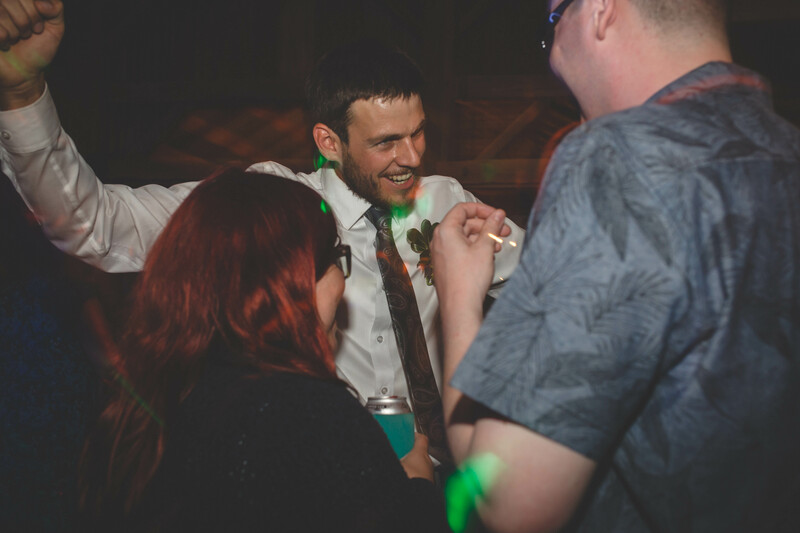 I consider myself a very lucky person and I pinch myself everyday that this is my life because I get to meet some pretty awesome people and Tricia and Adam are two of them. 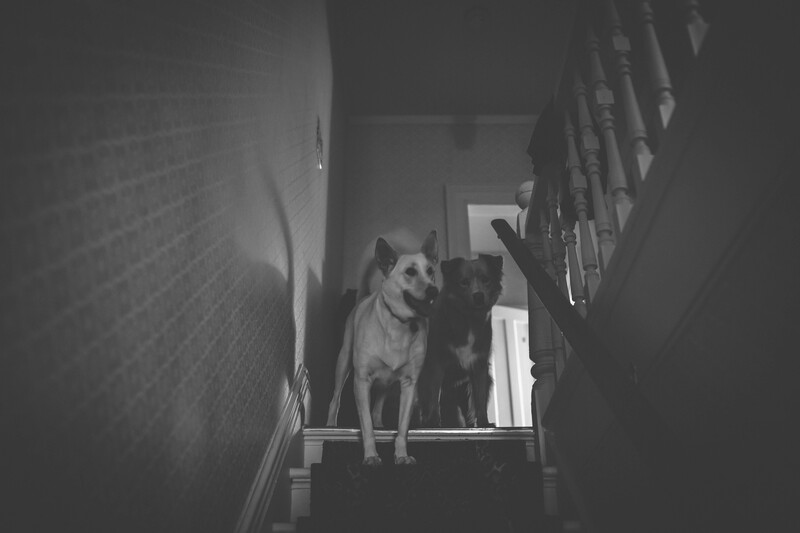 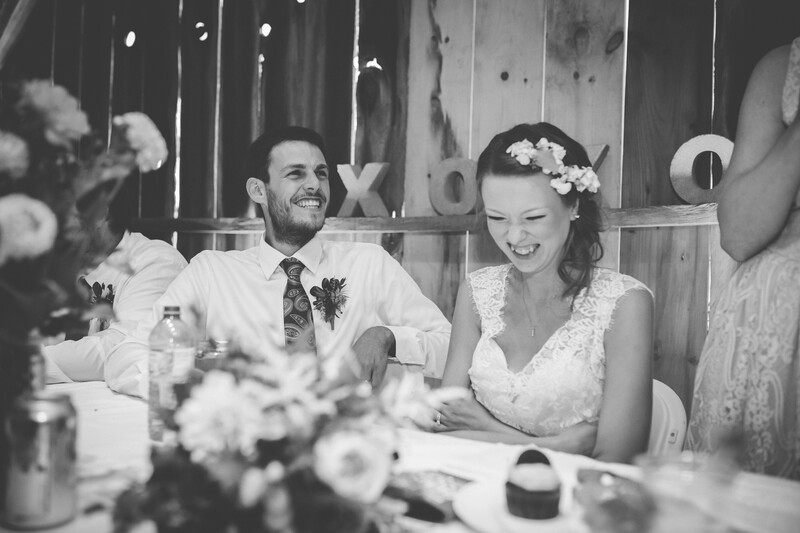 Their wedding day has to be one of my favourite. 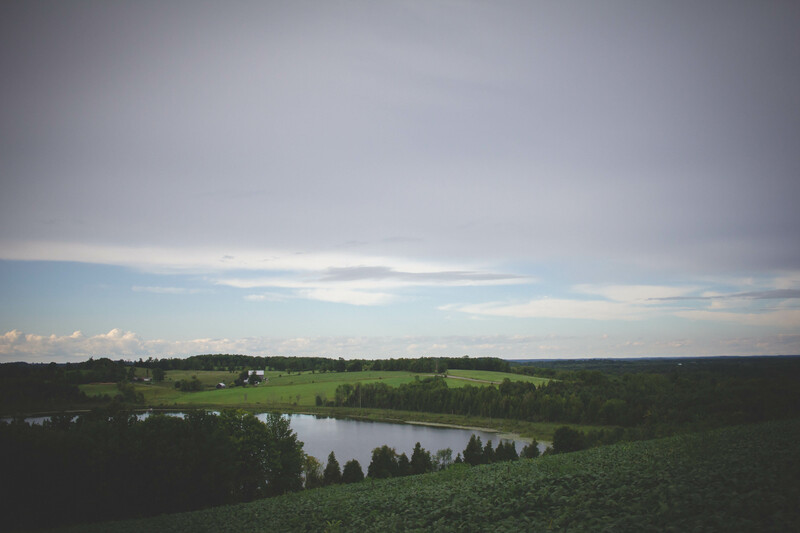 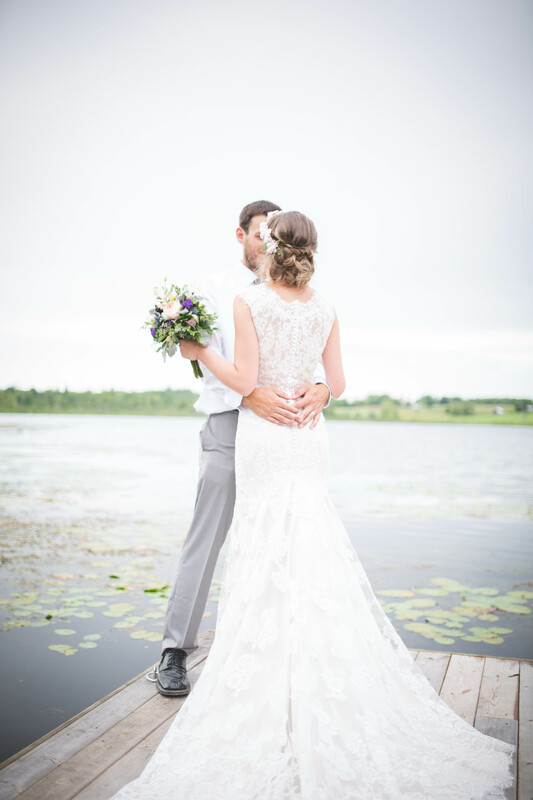 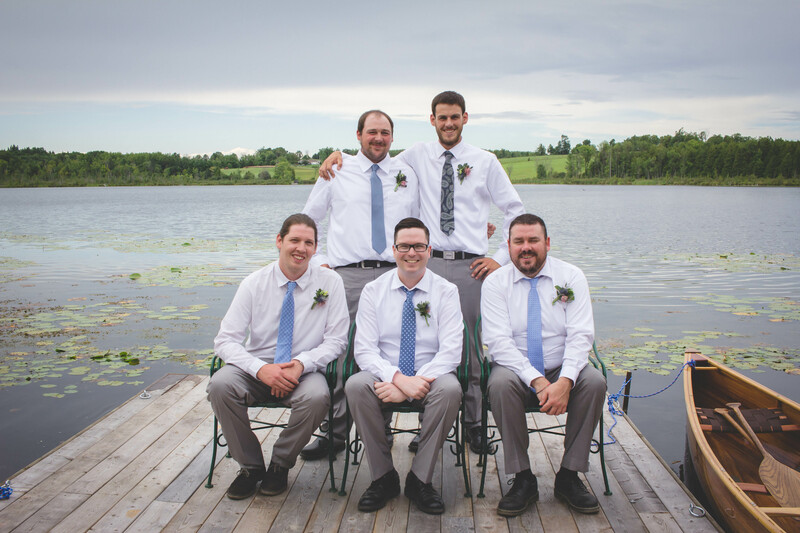 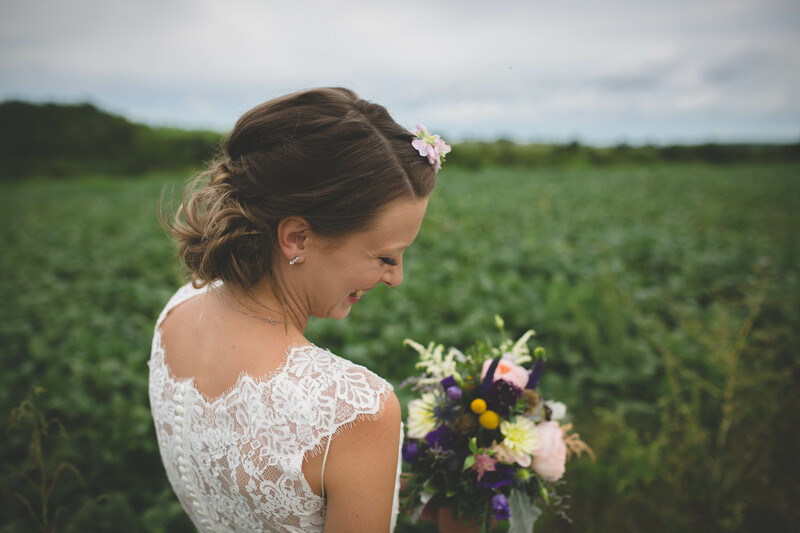 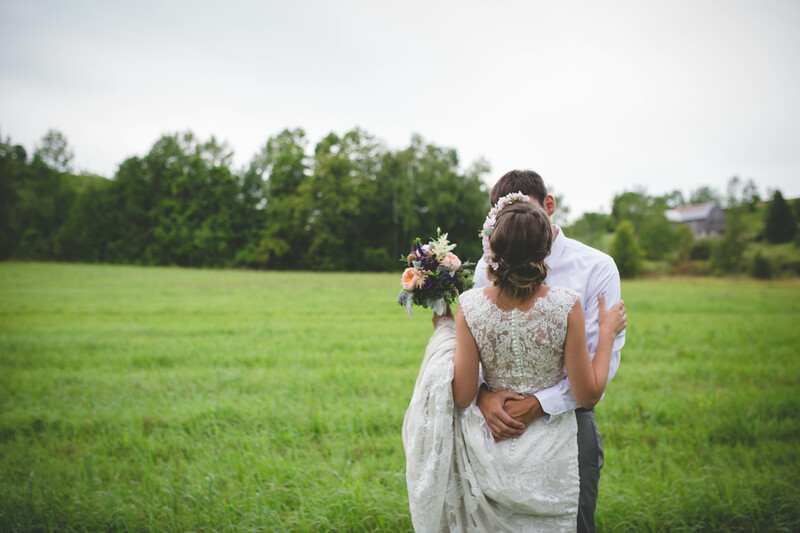 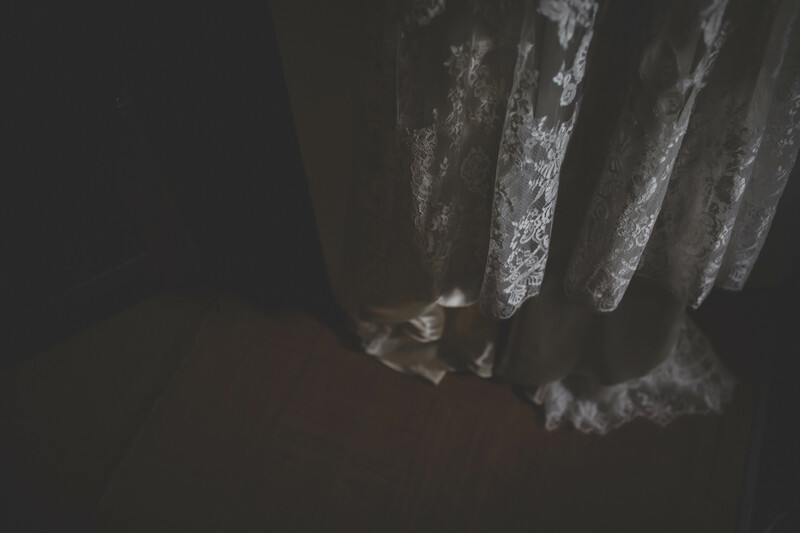 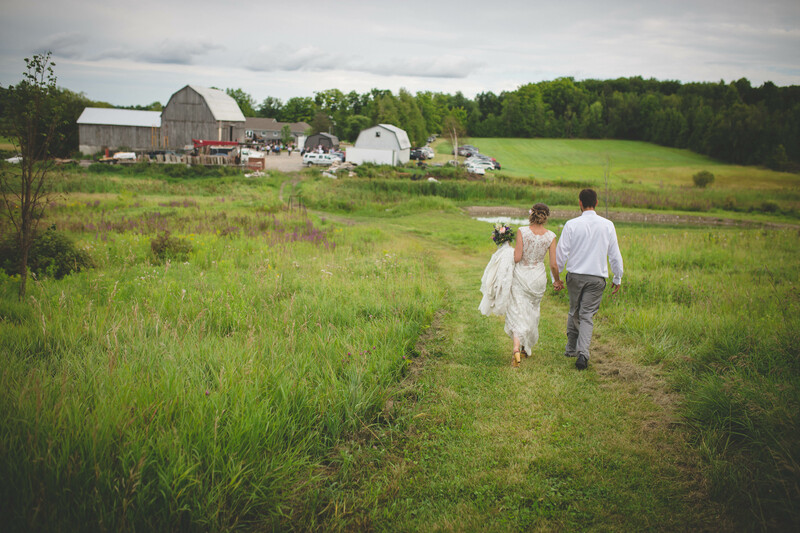 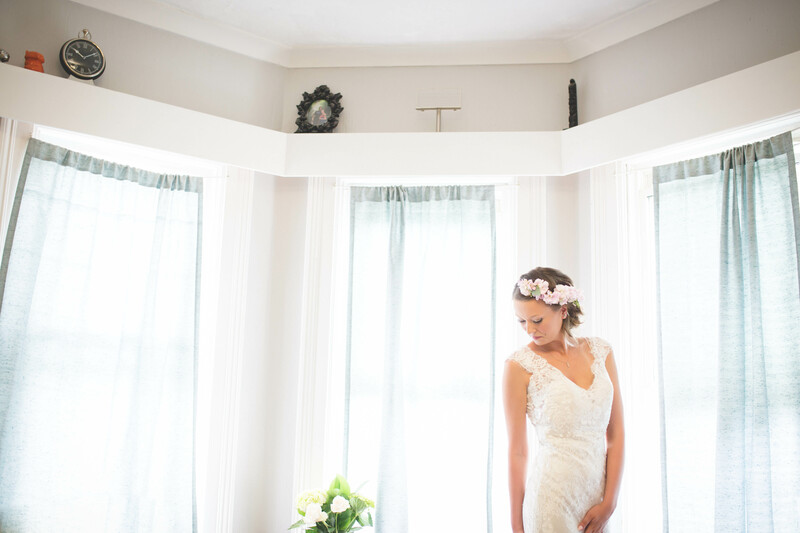 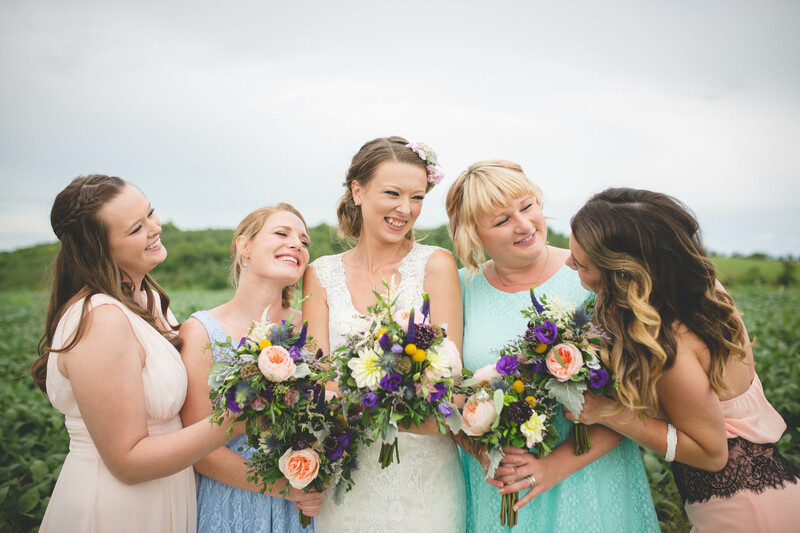 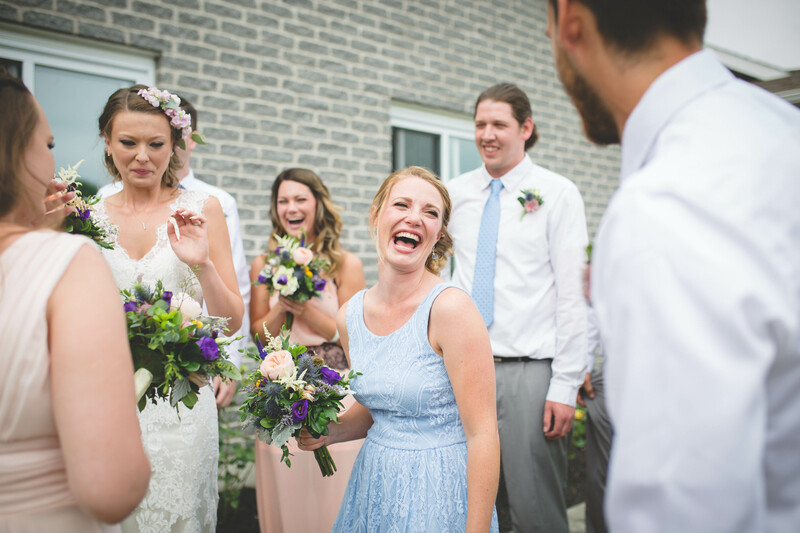 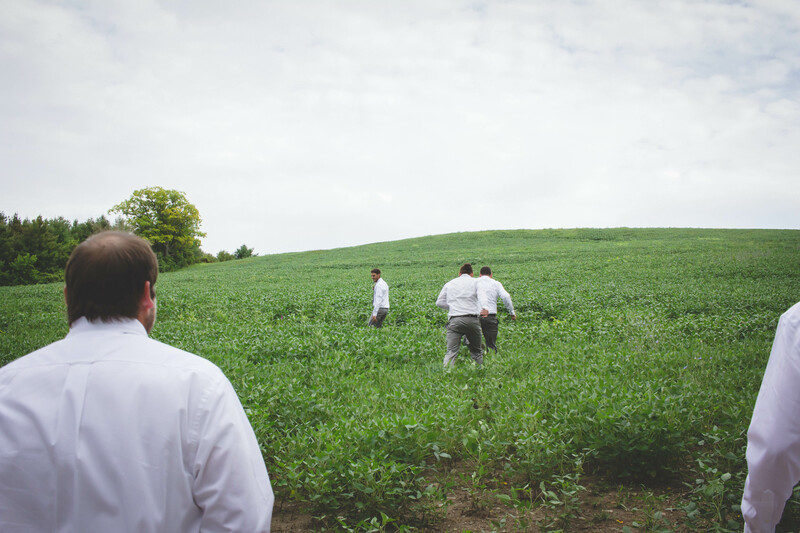 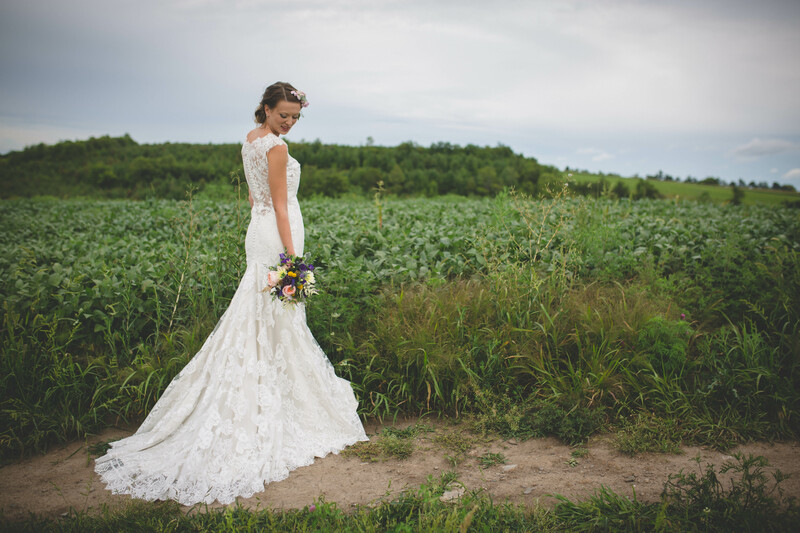 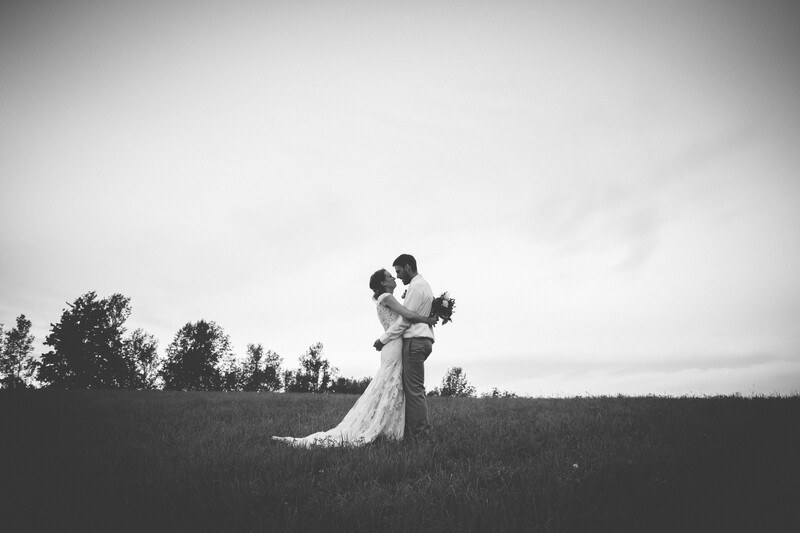 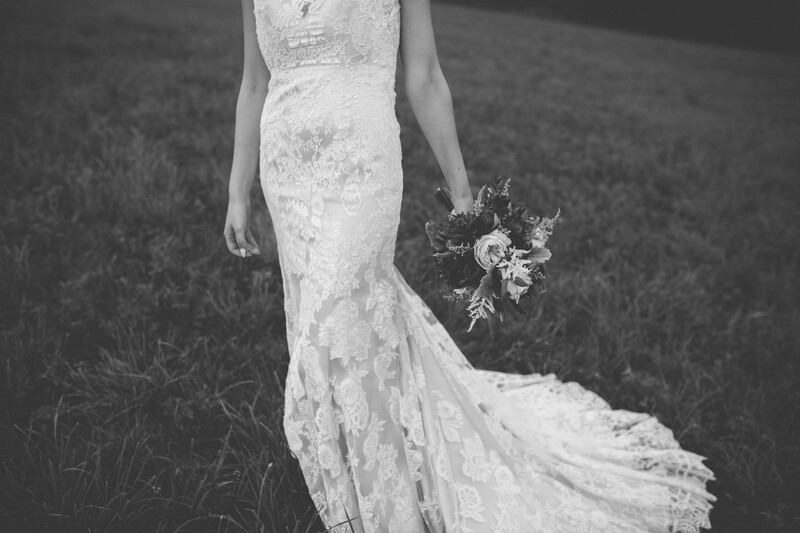 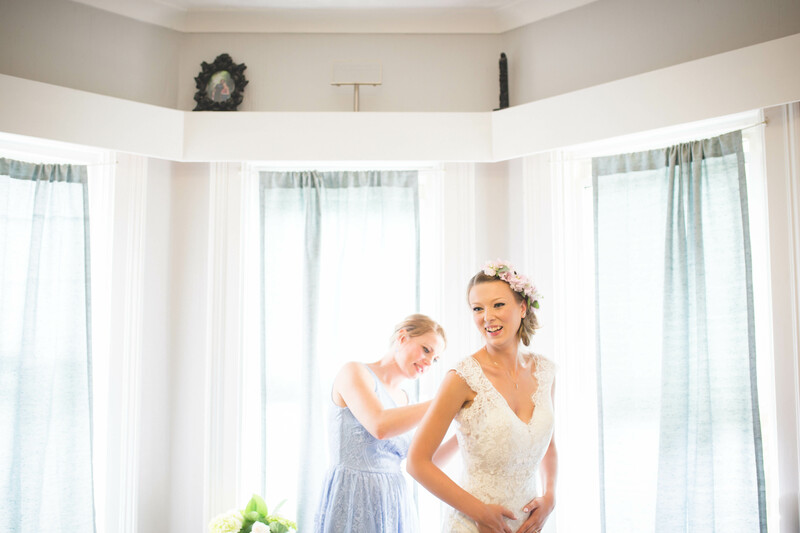 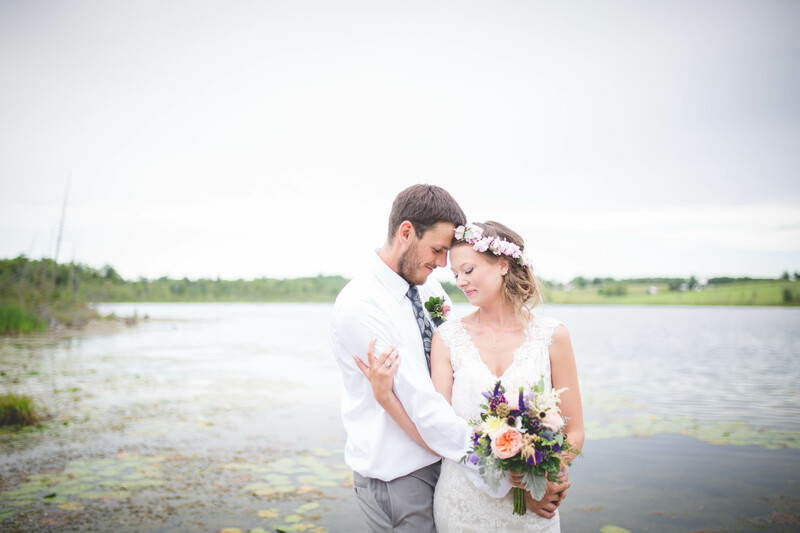 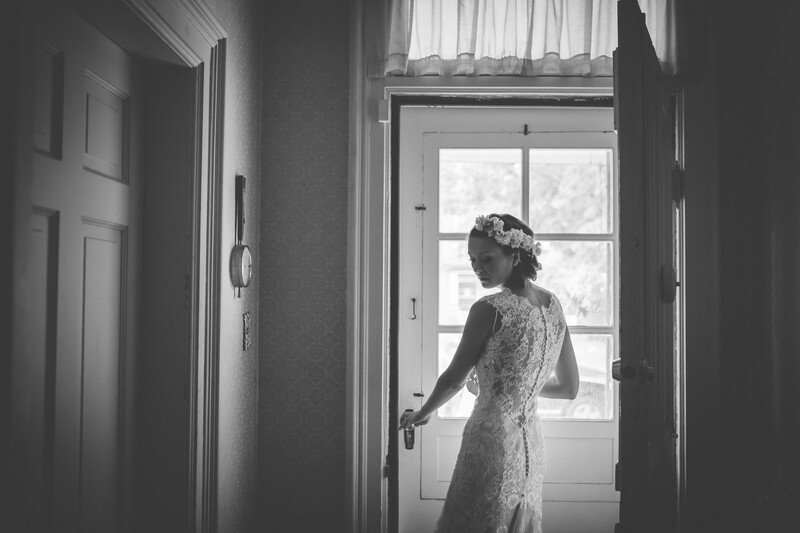 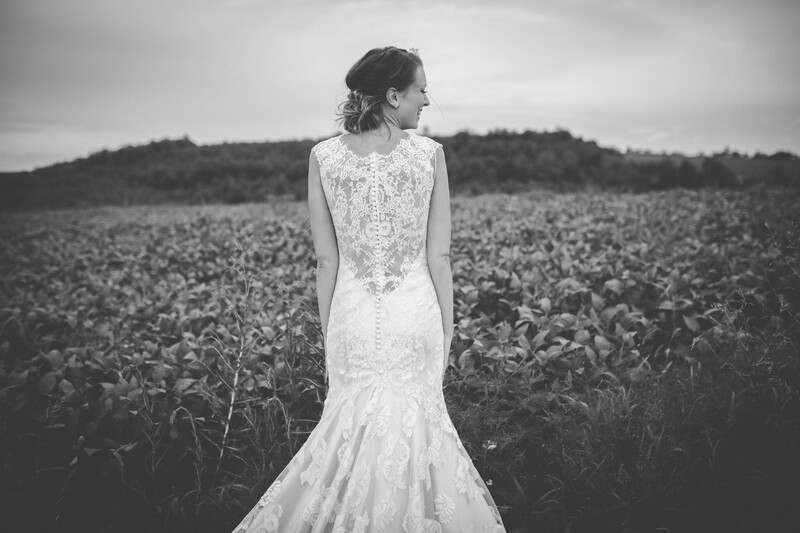 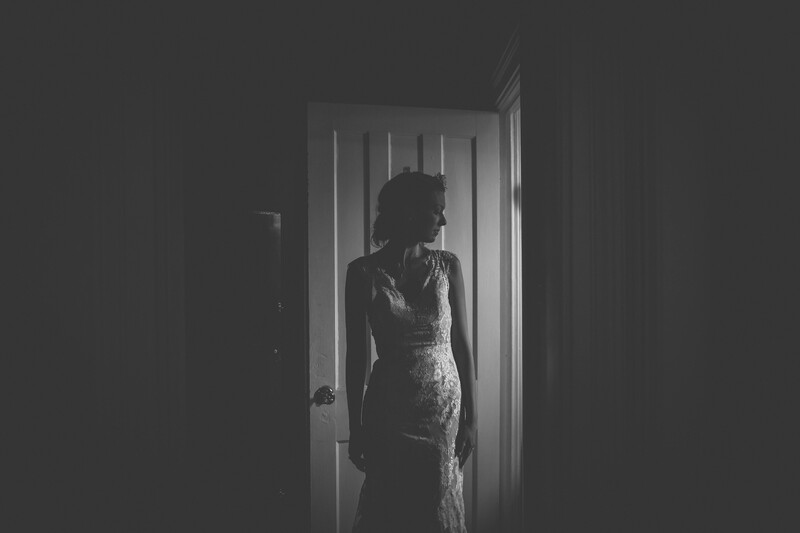 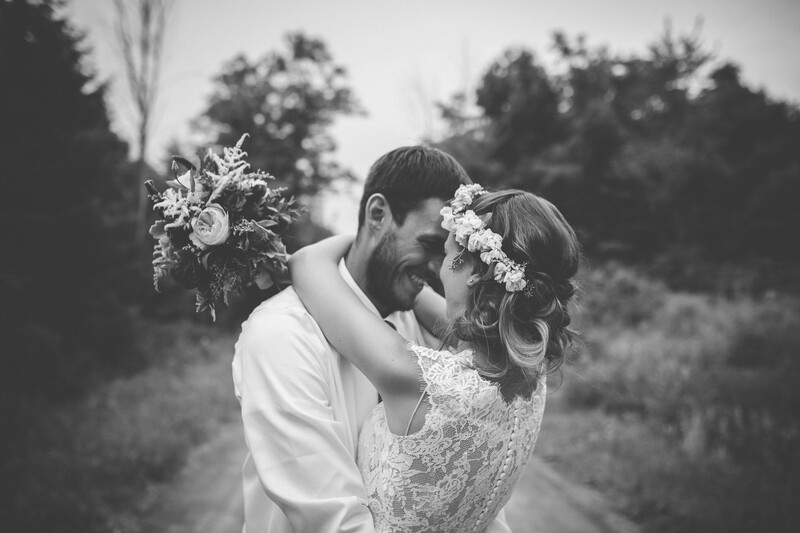 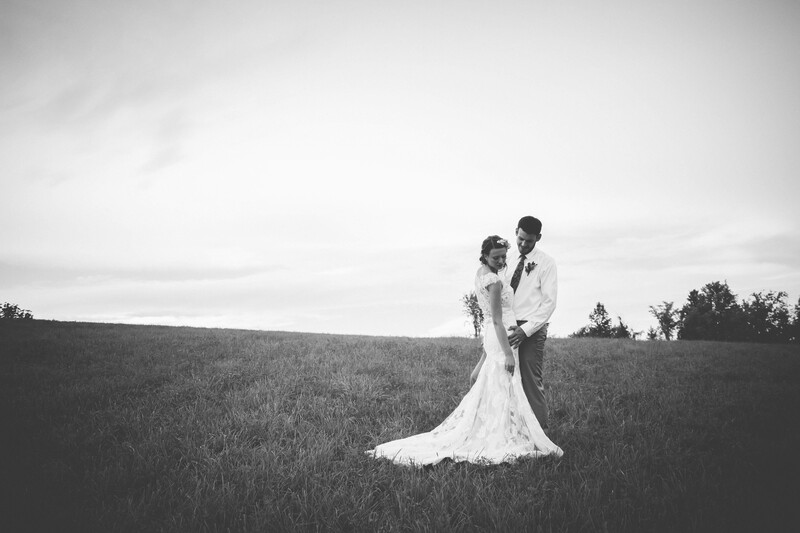 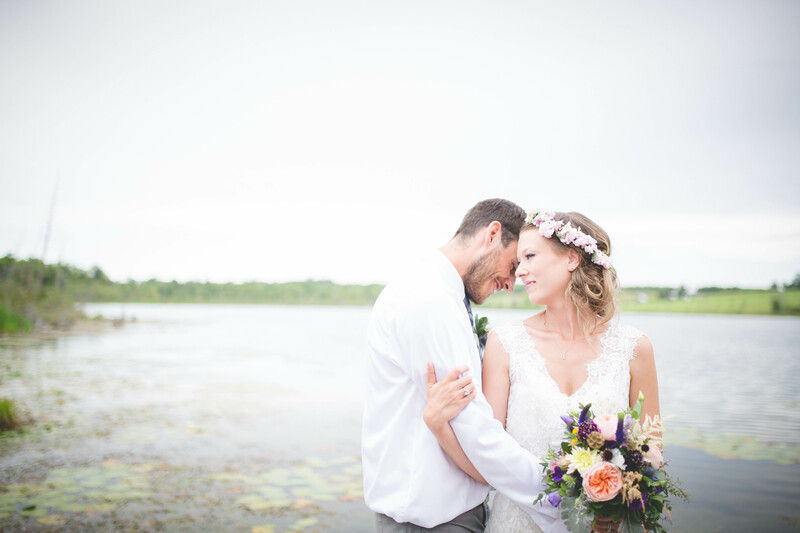 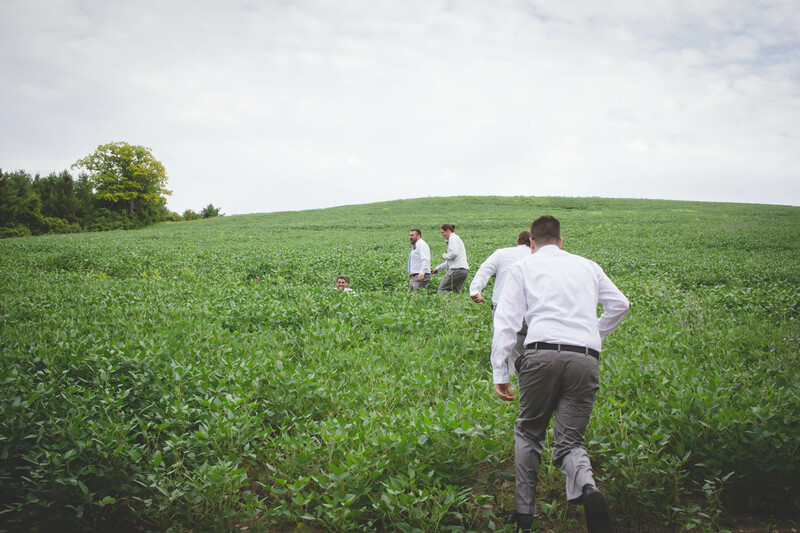 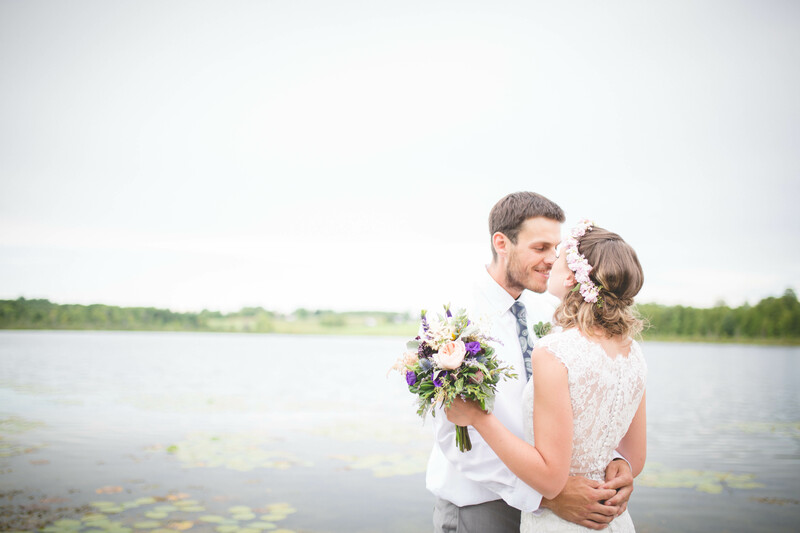 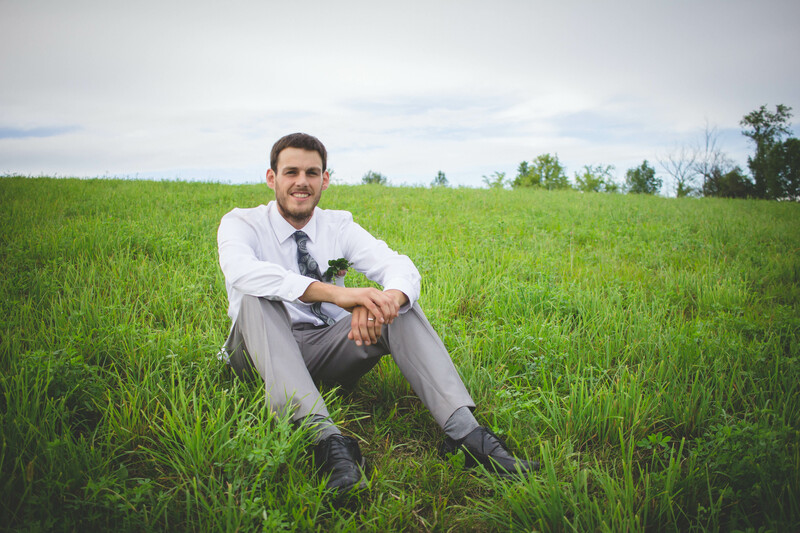 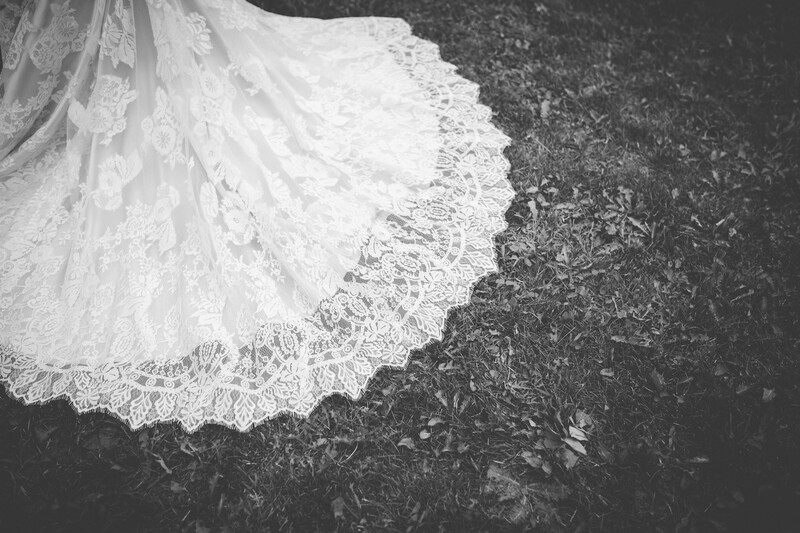 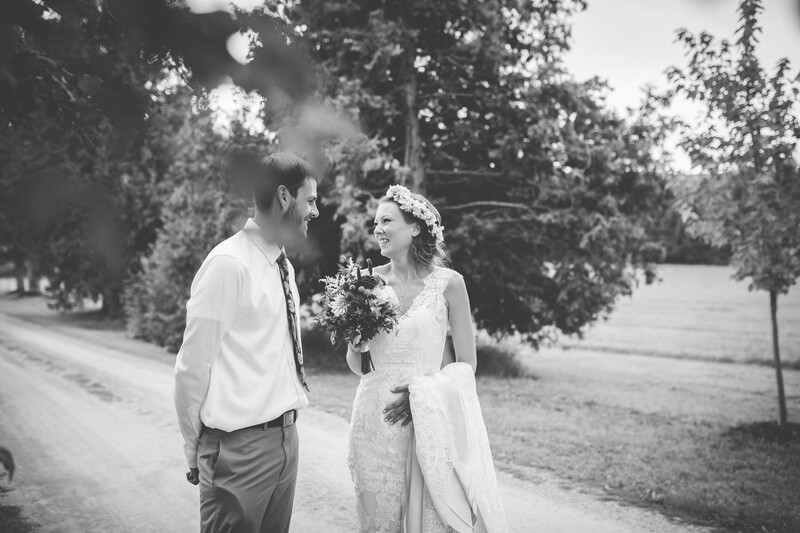 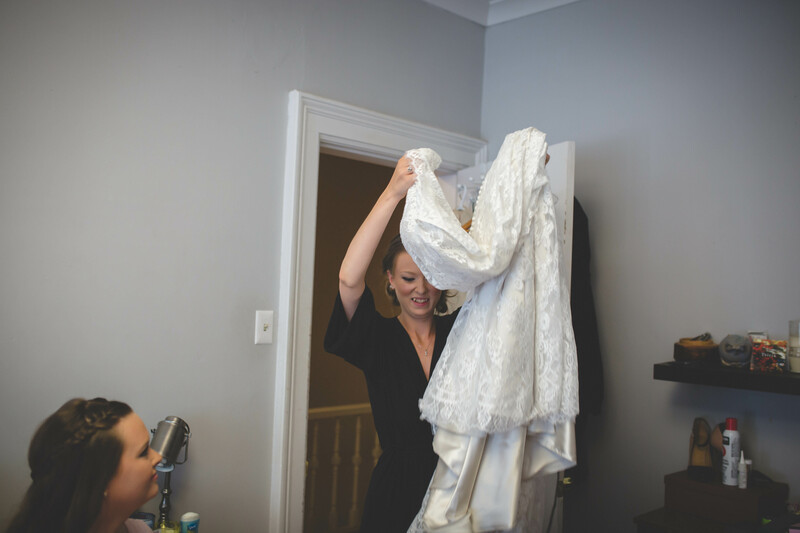 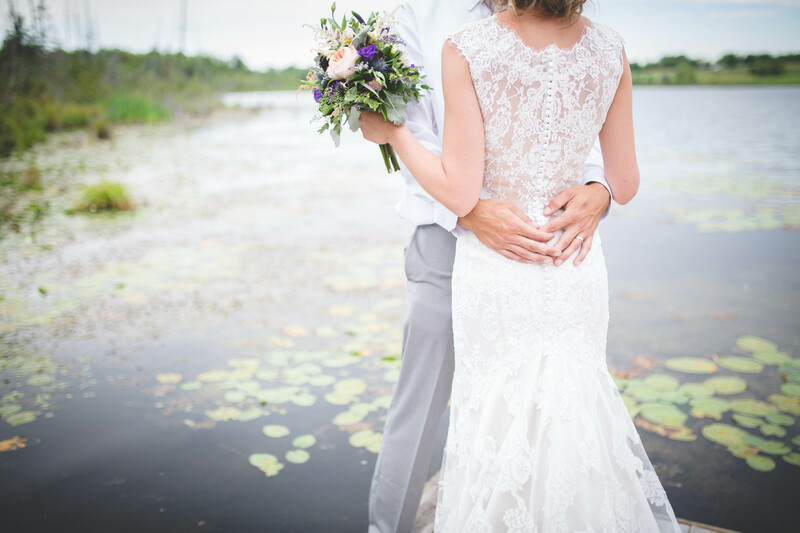 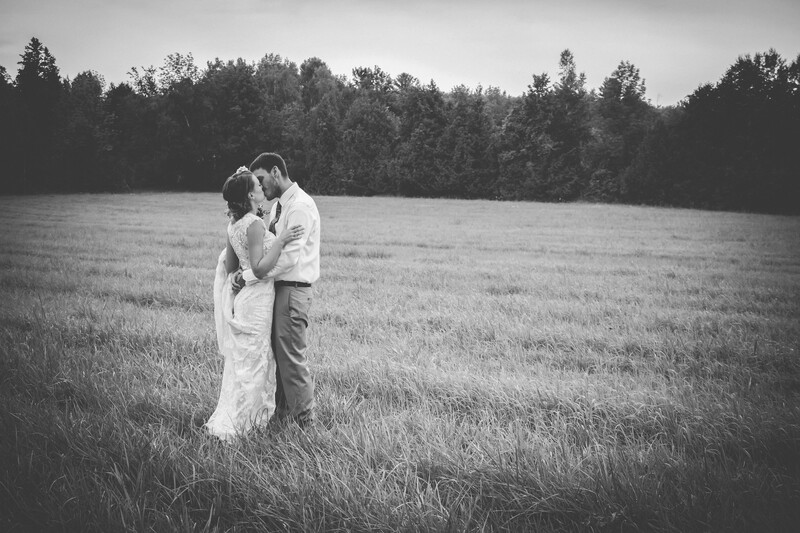 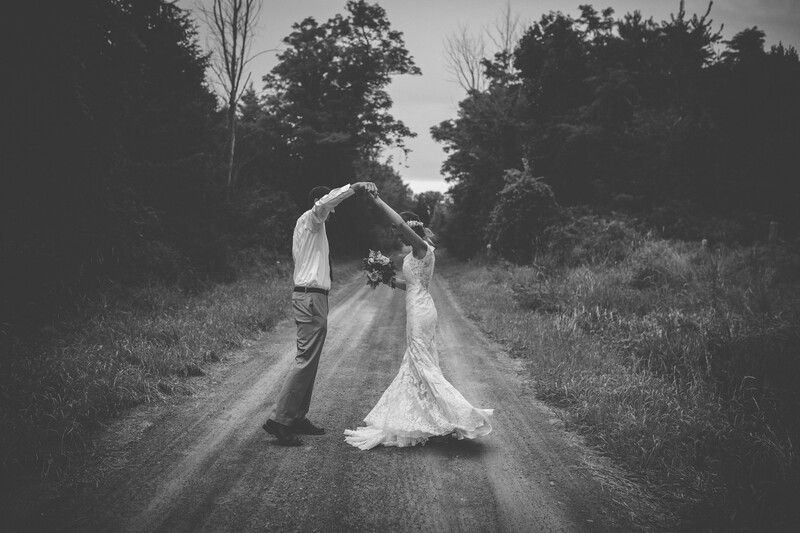 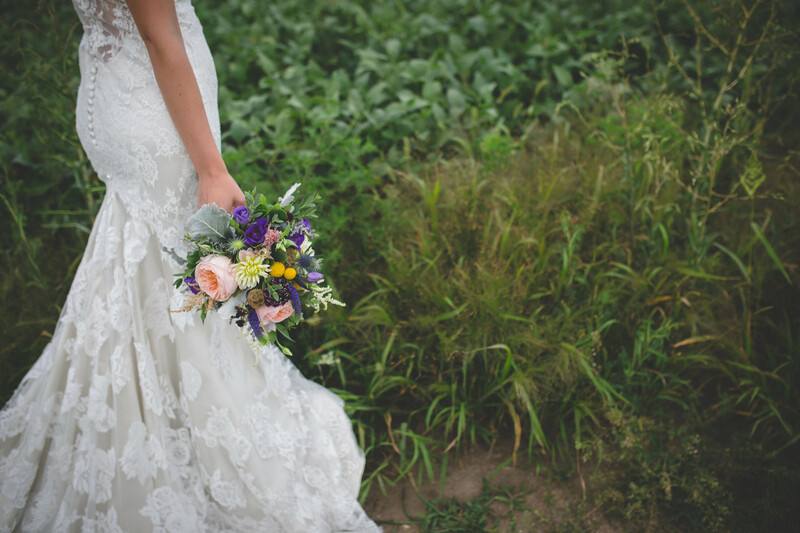 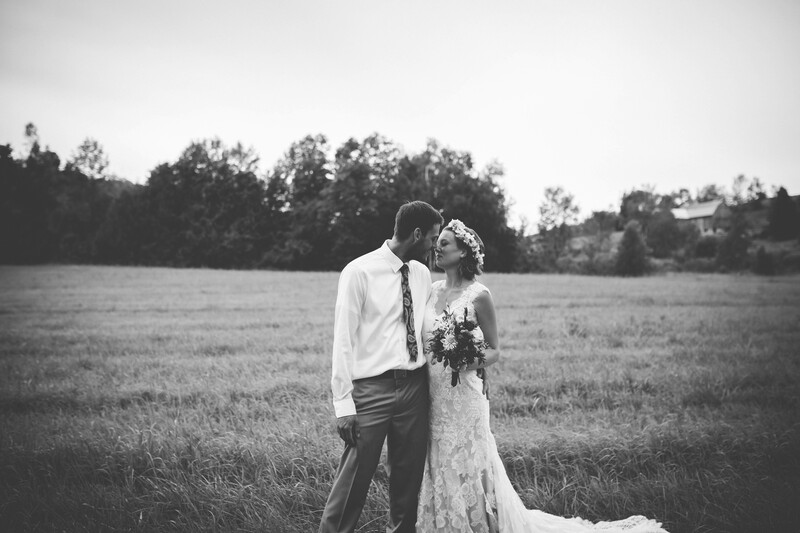 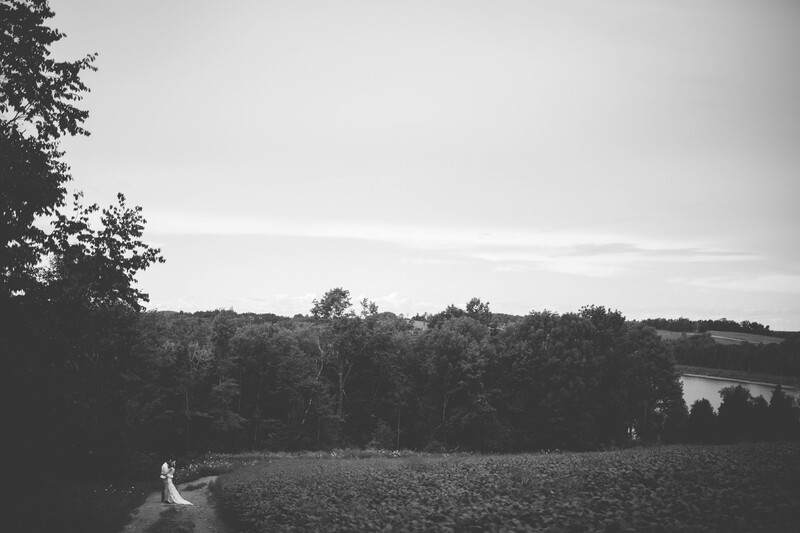 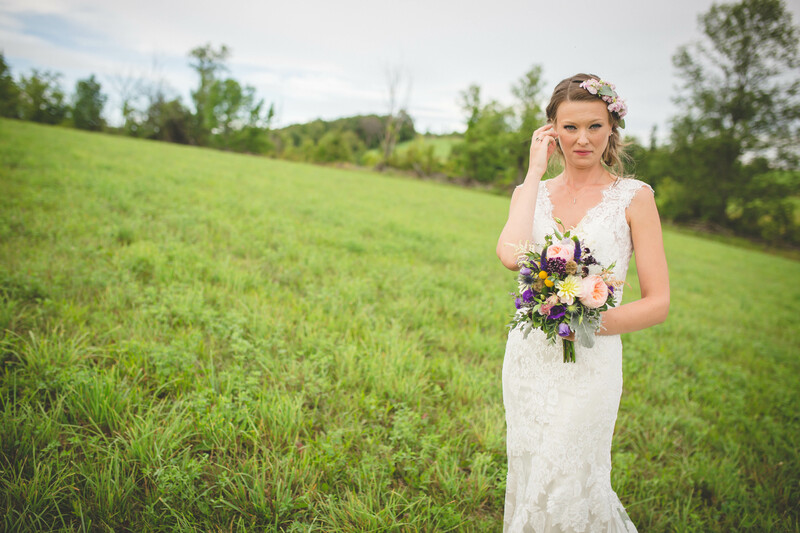 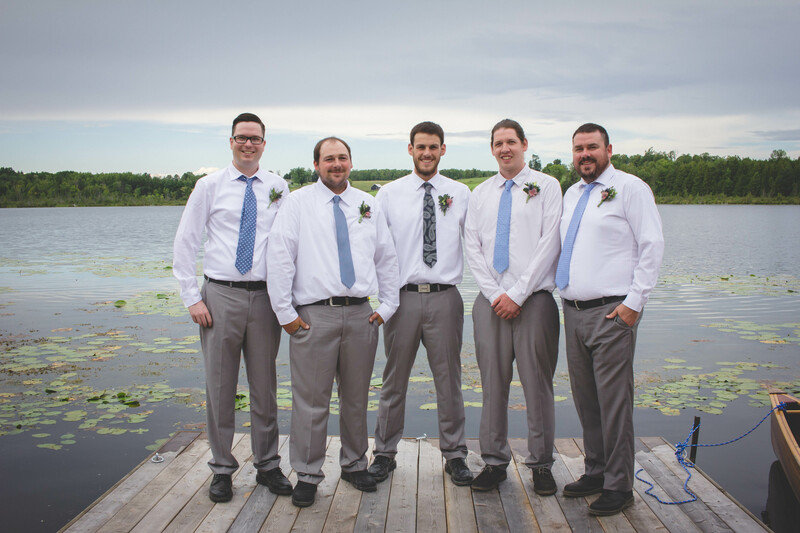 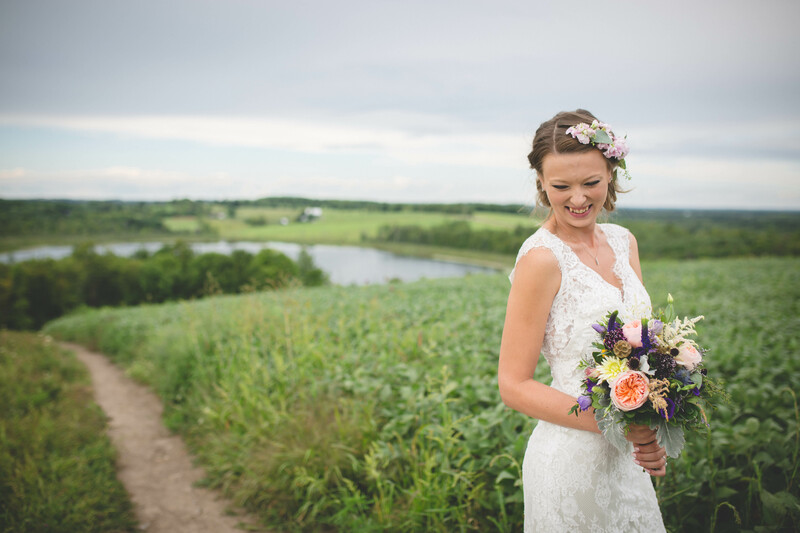 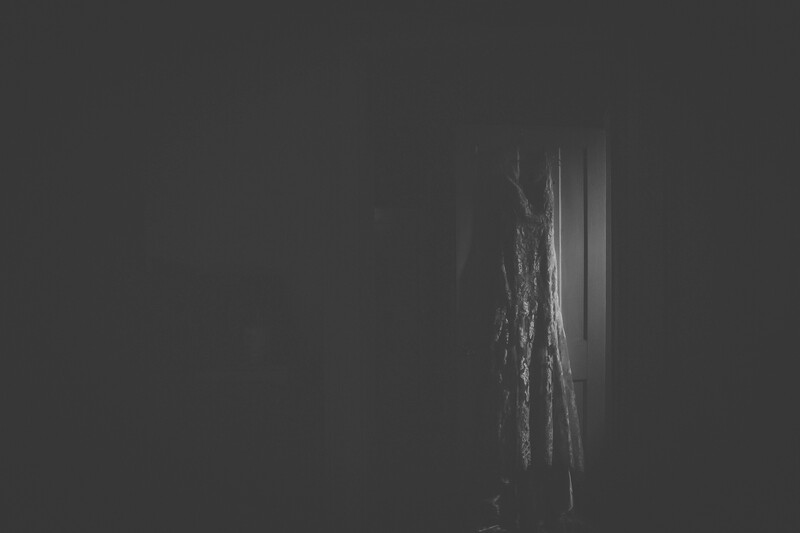 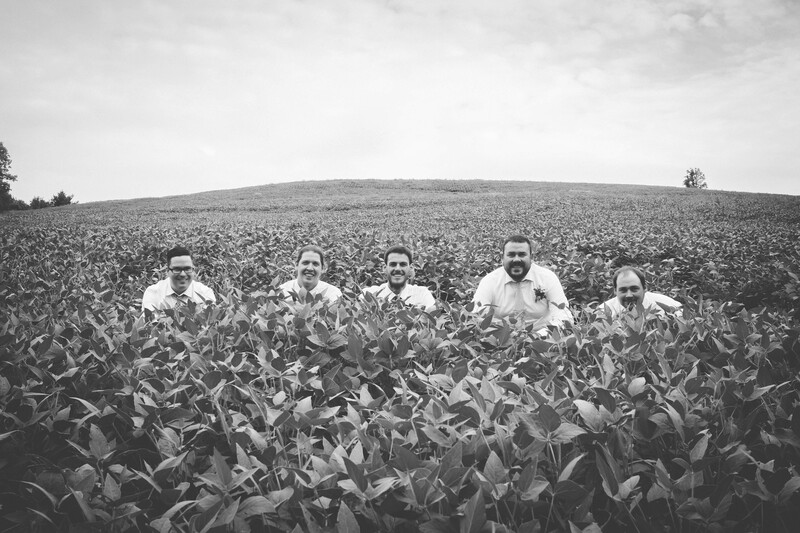 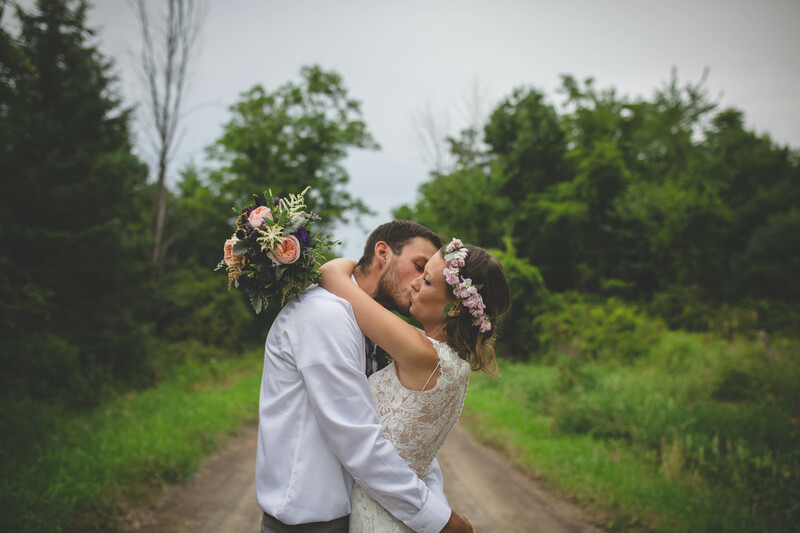 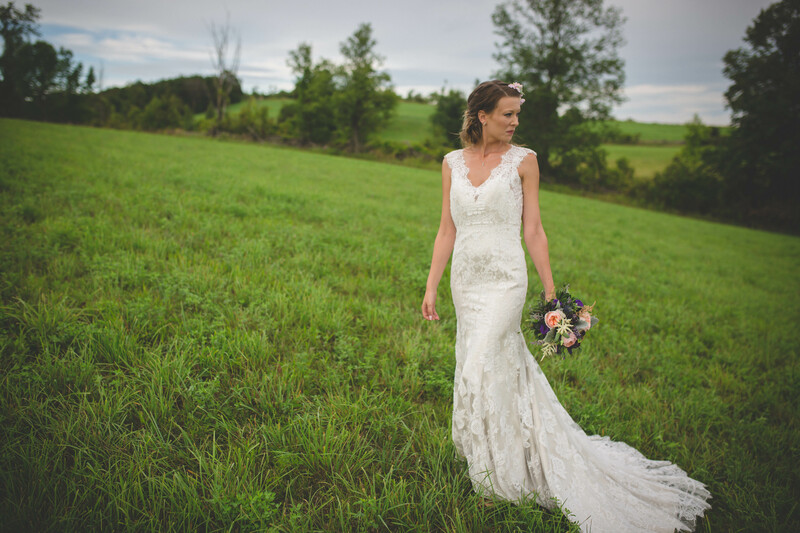 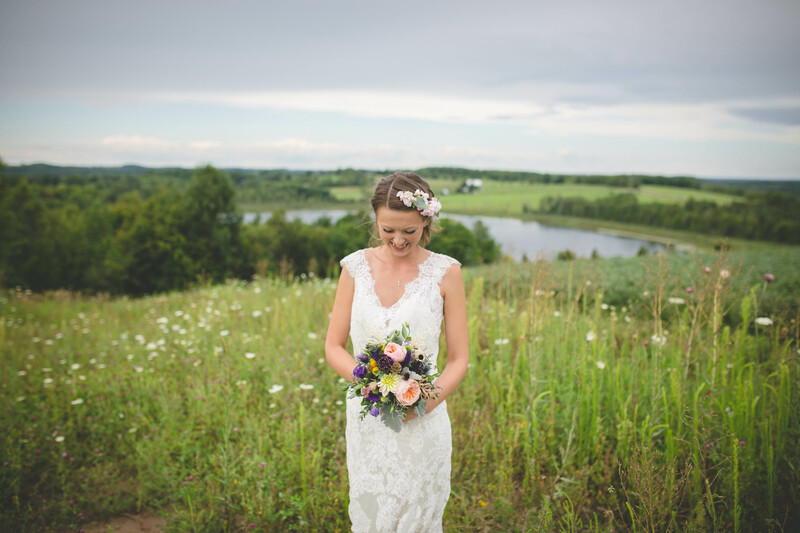 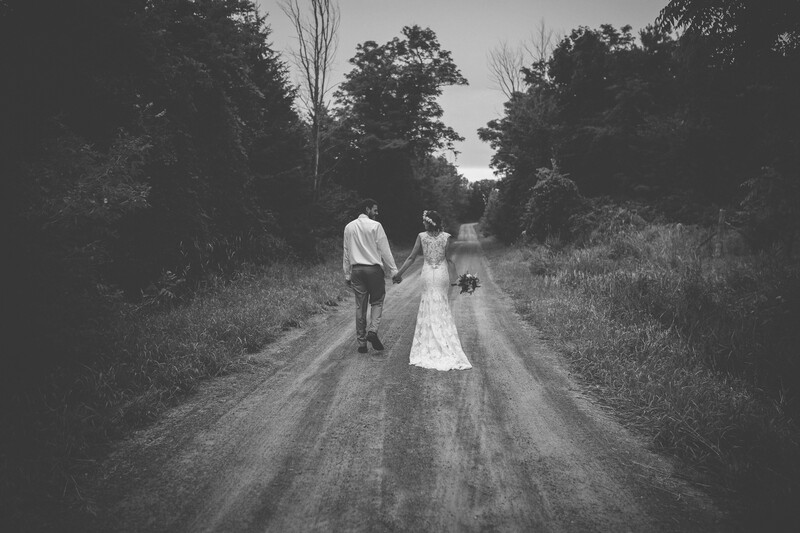 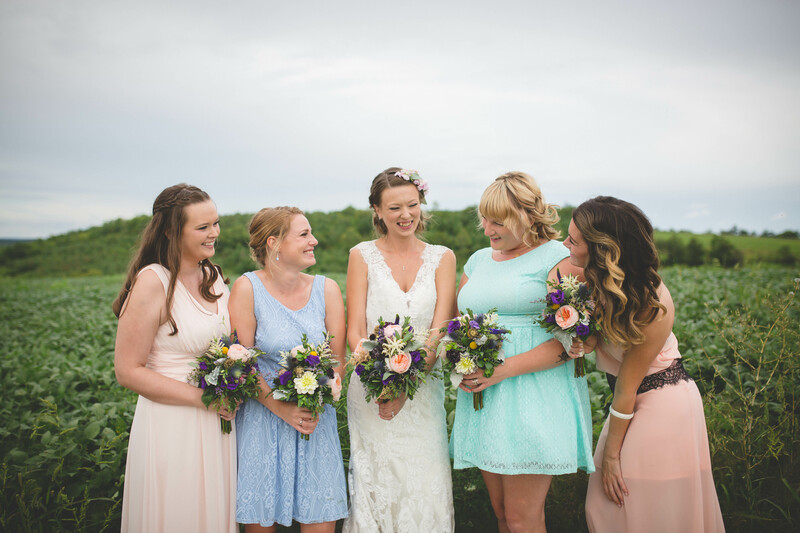 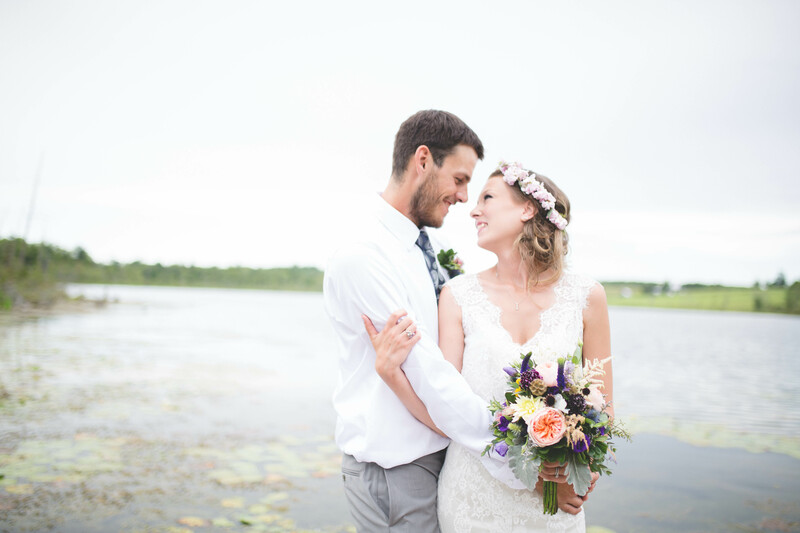 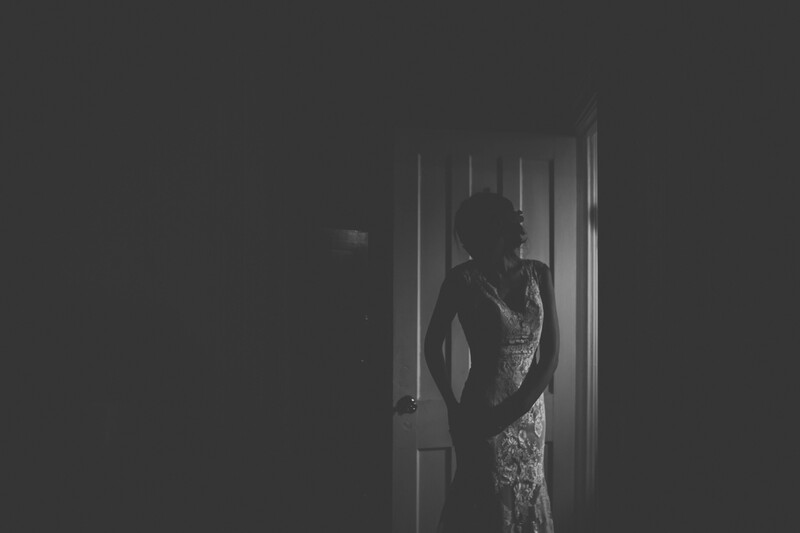 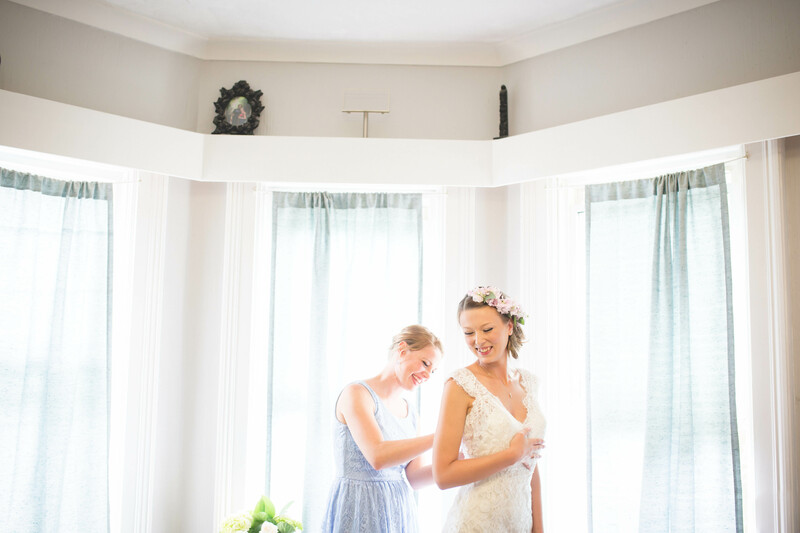 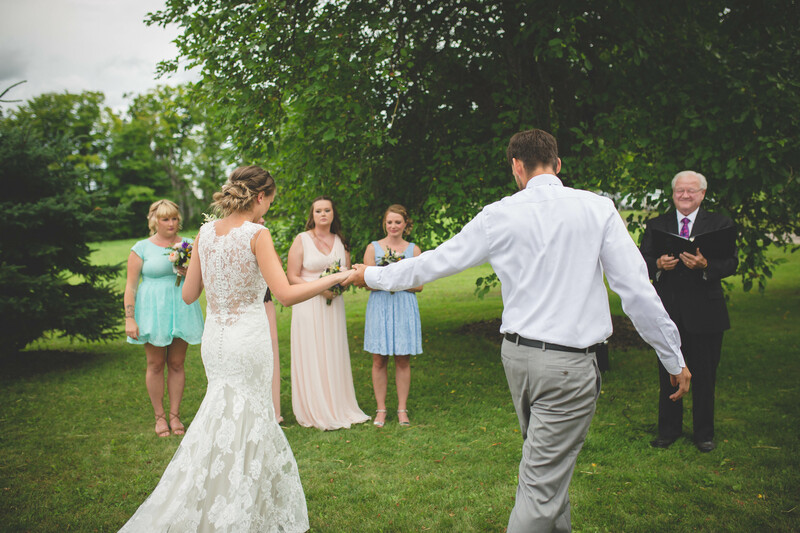 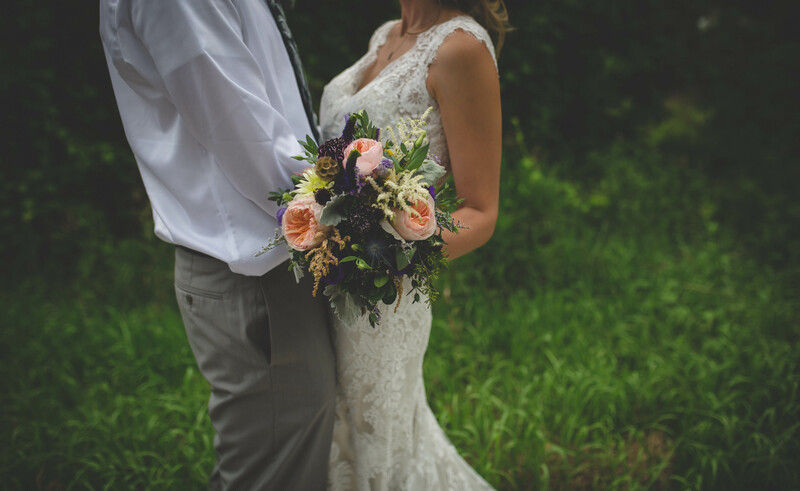 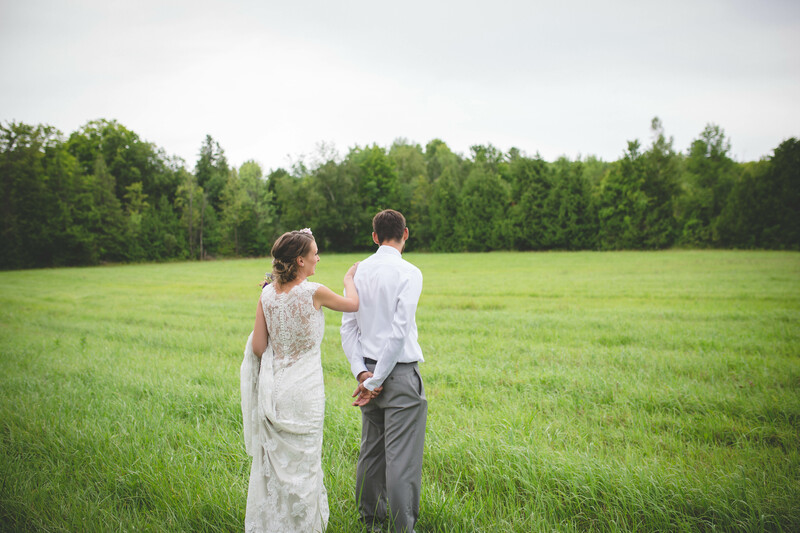 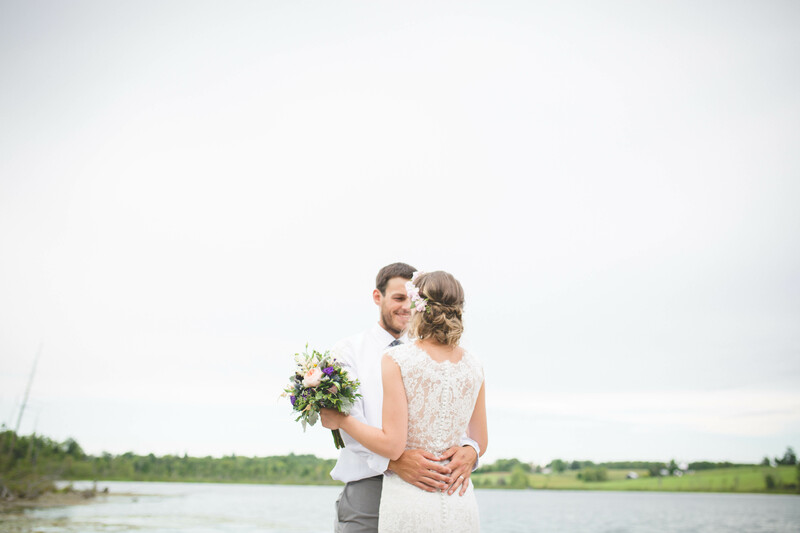 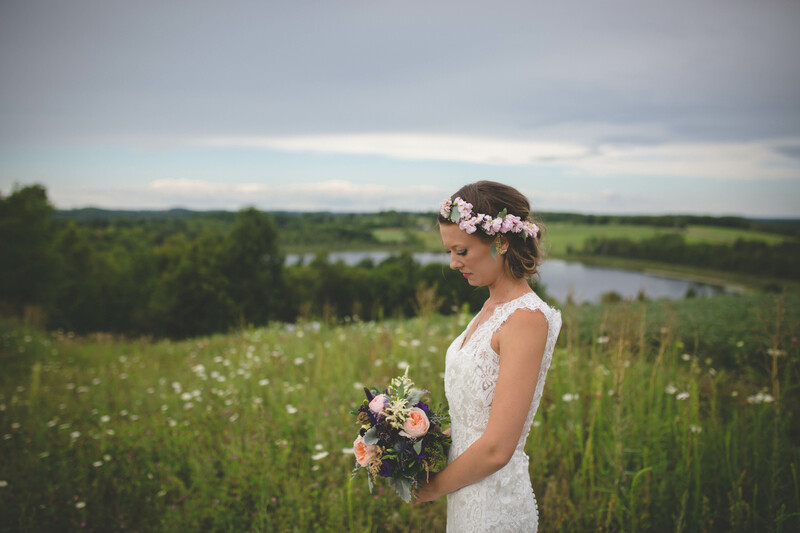 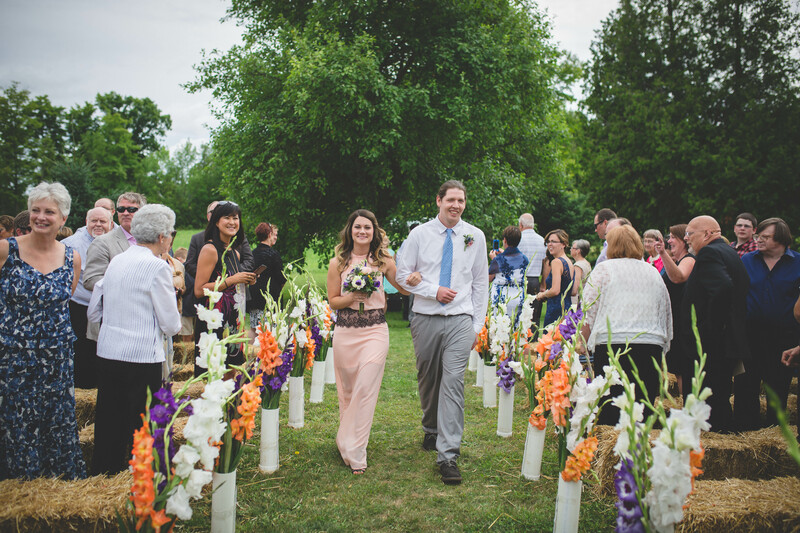 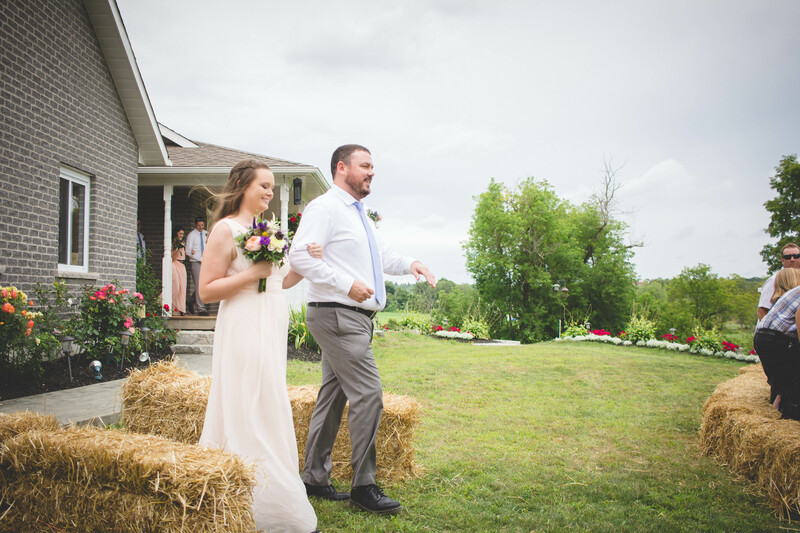 They started their day with a first look Tricia revealing herself in her beautiful wedding gown to Adam in a field at his lovely family home in Hastings, Ontario. 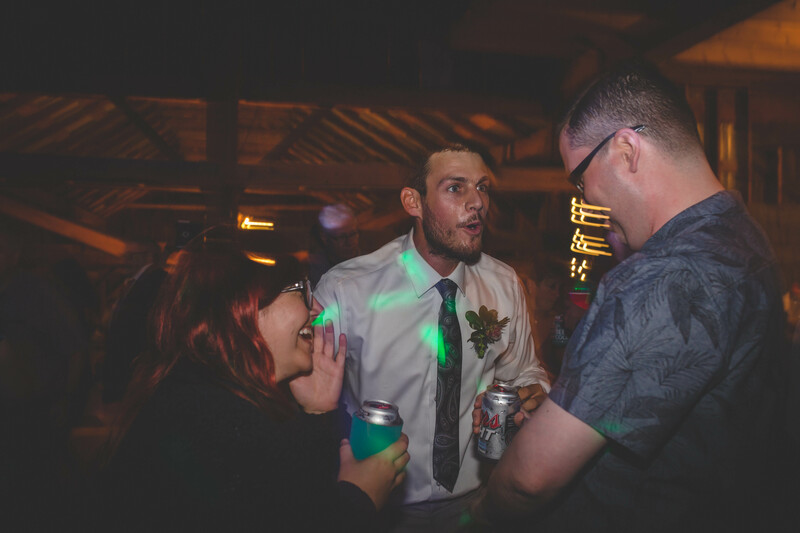 Adam’s reaction to seeing Tricia was priceless and completely evident of his adoration and love for her. 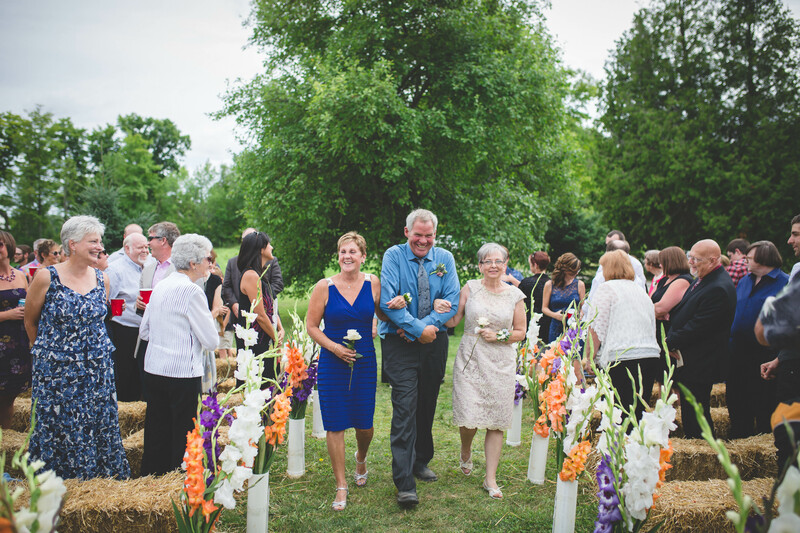 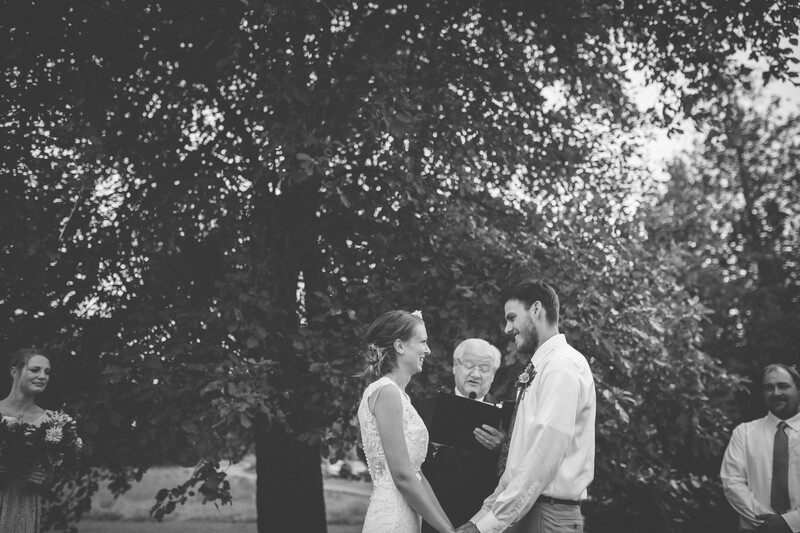 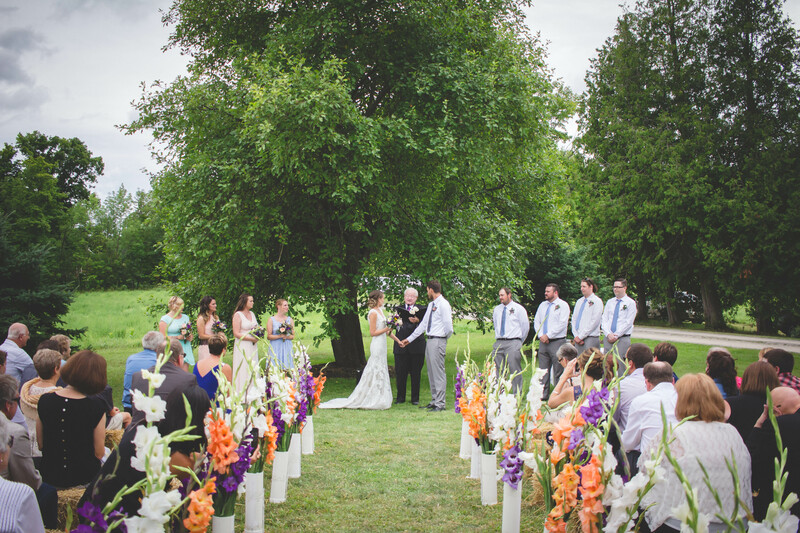 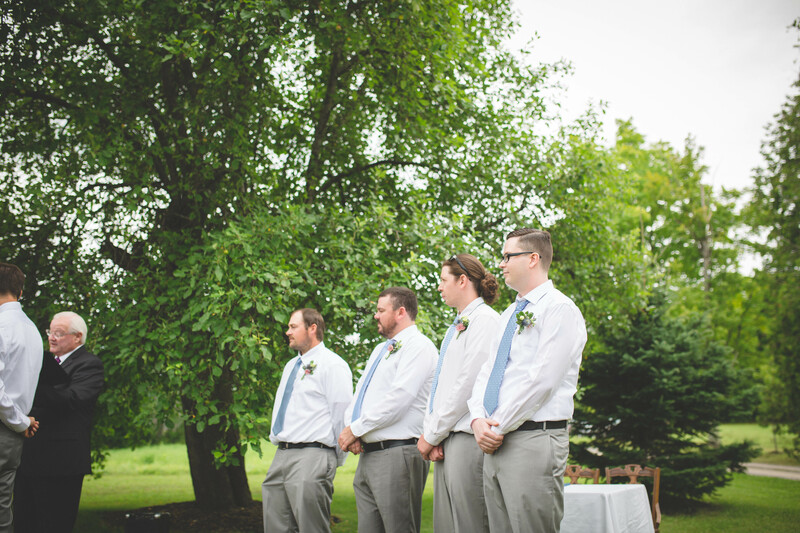 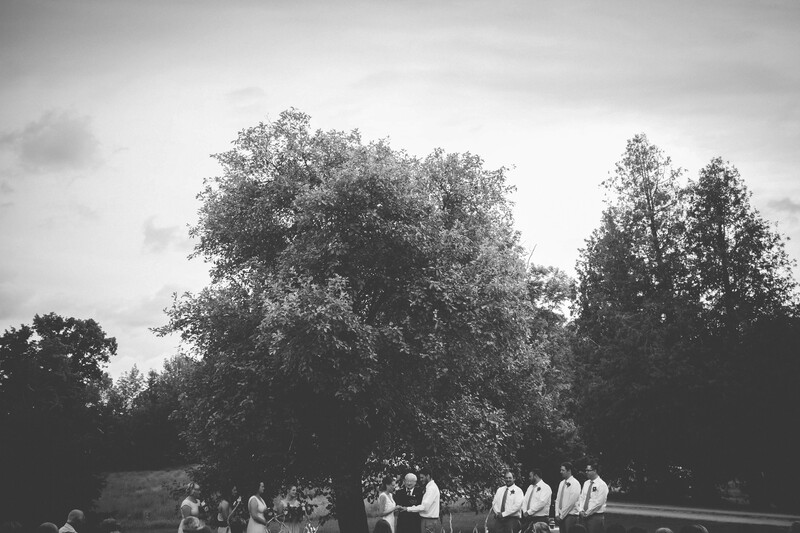 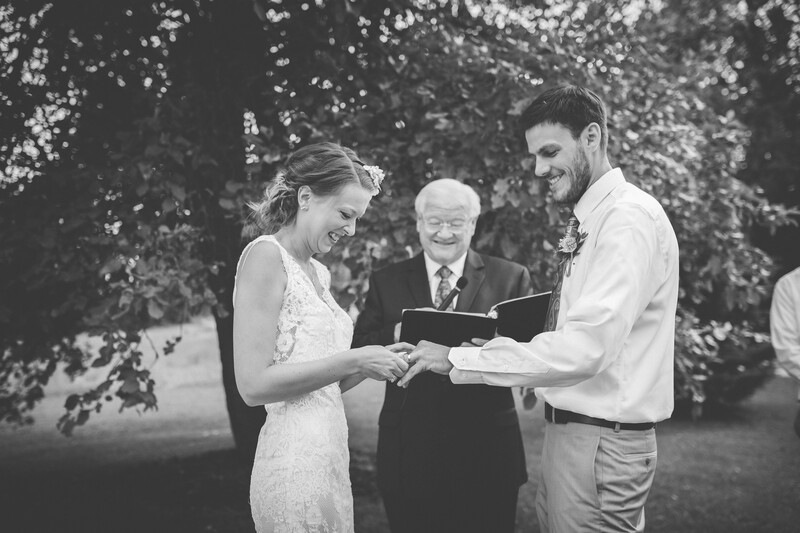 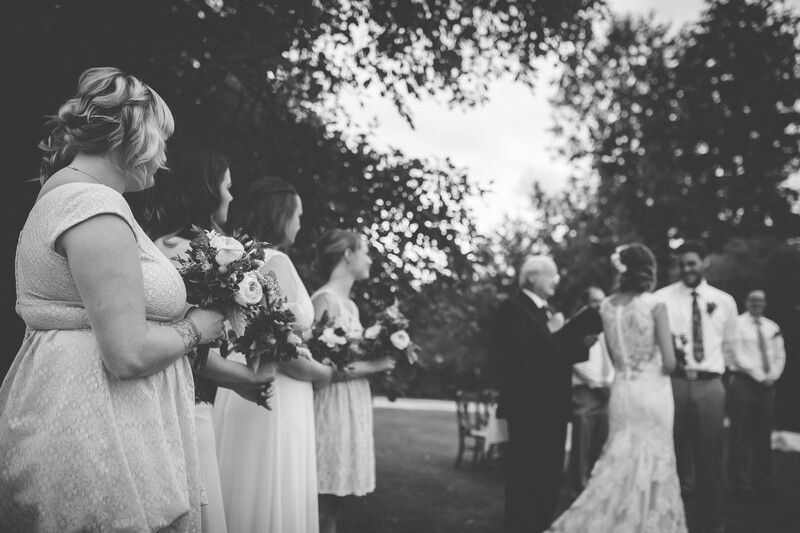 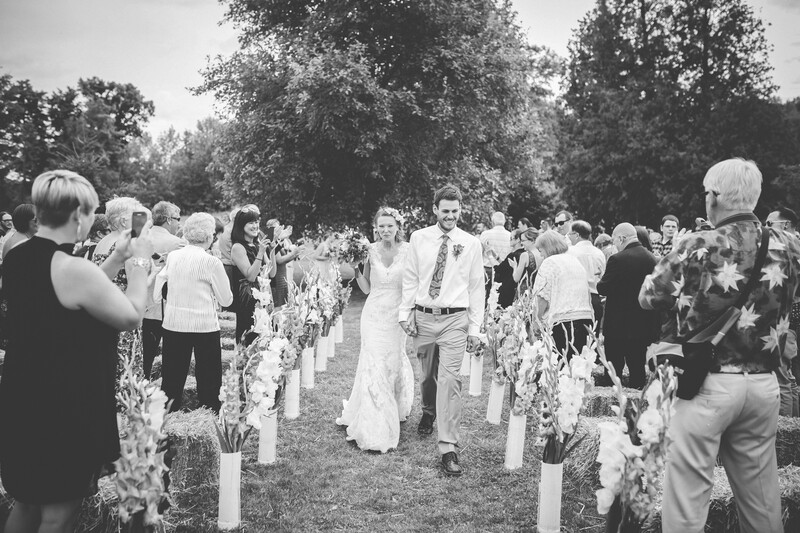 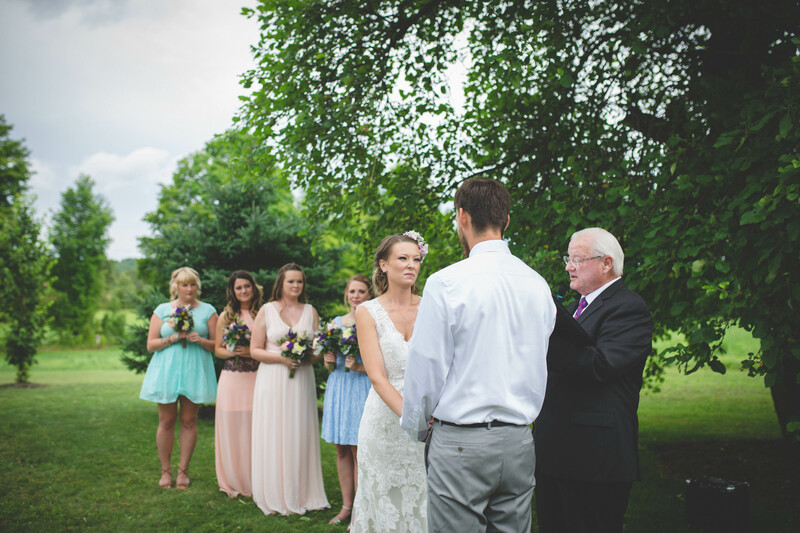 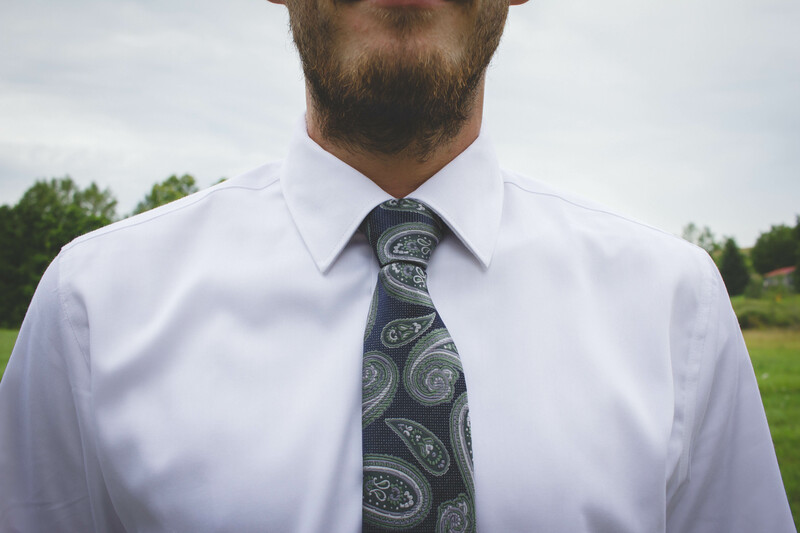 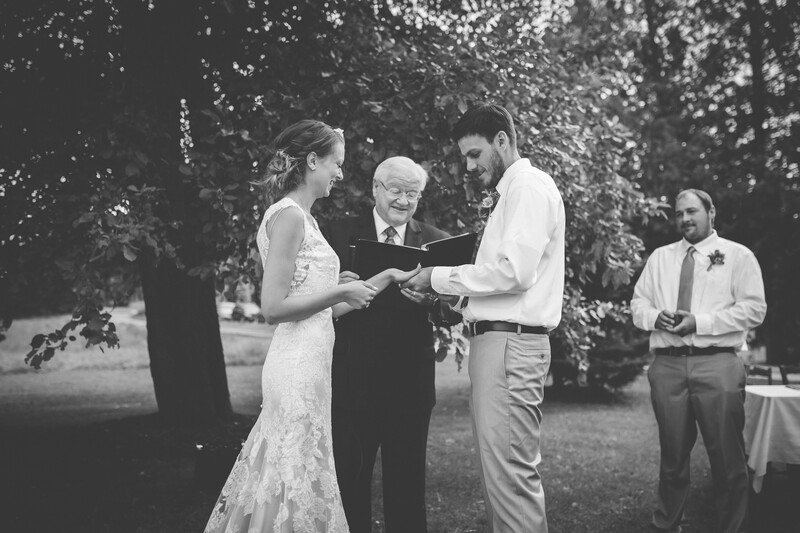 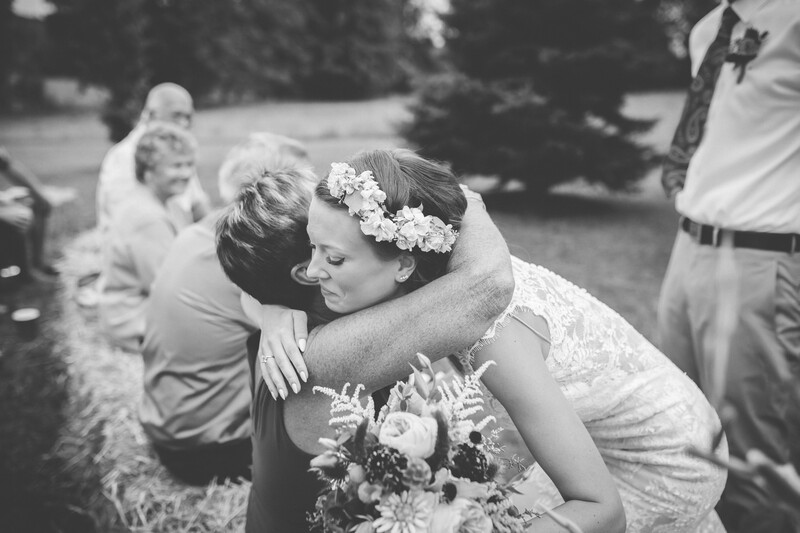 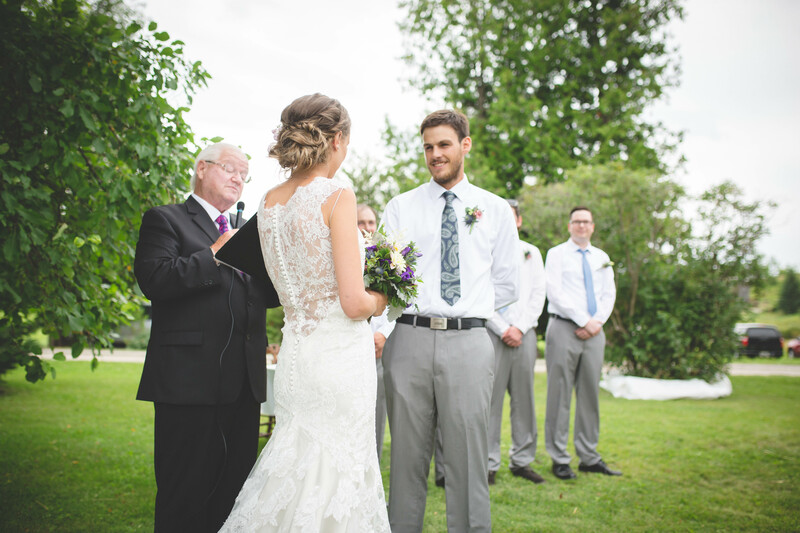 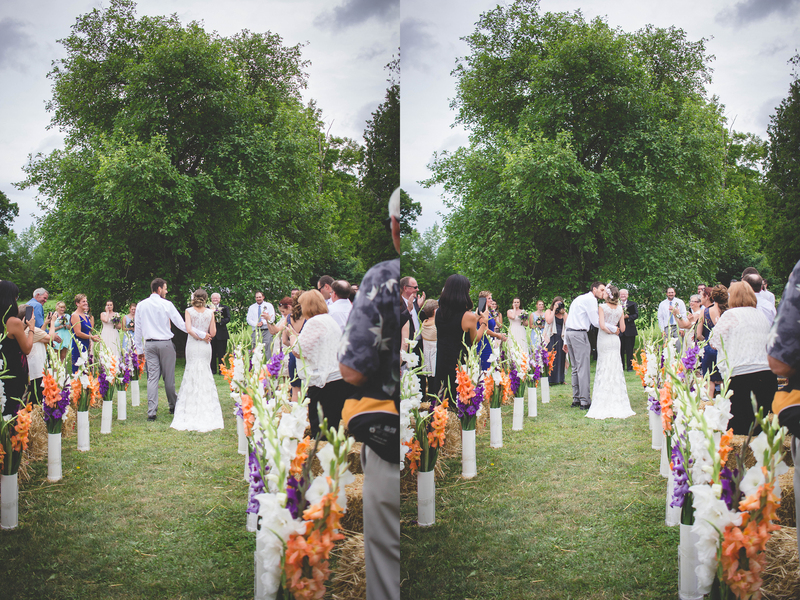 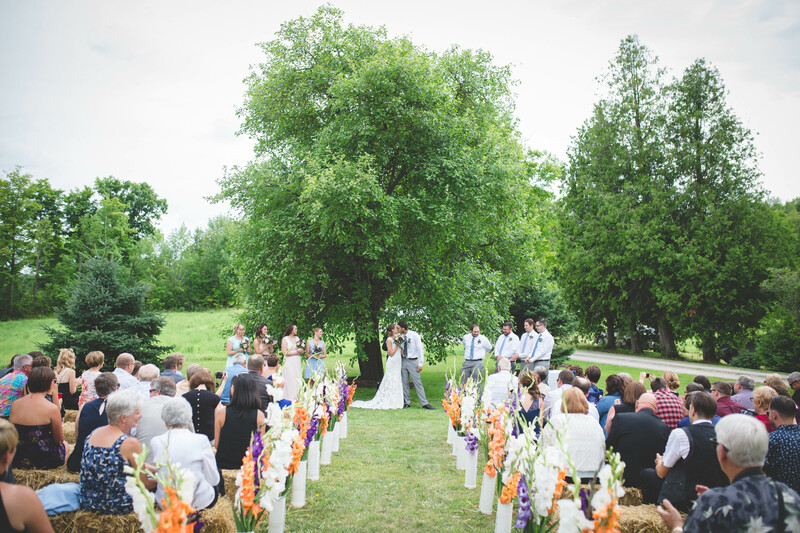 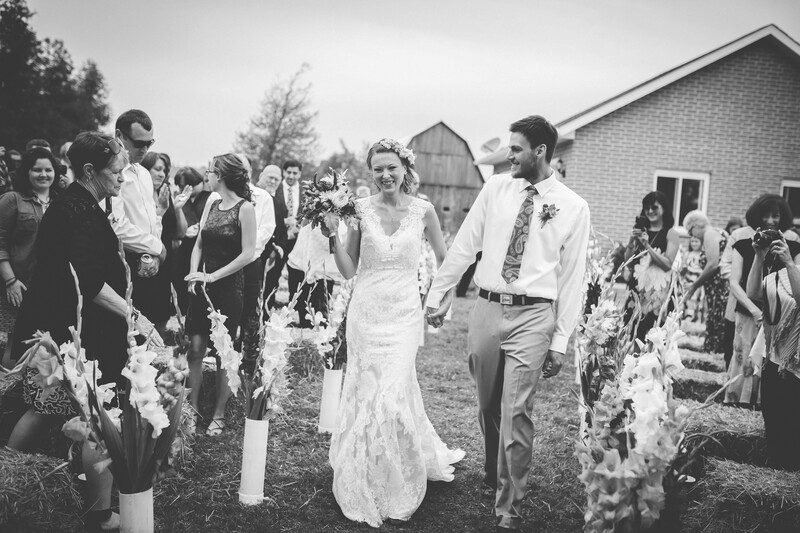 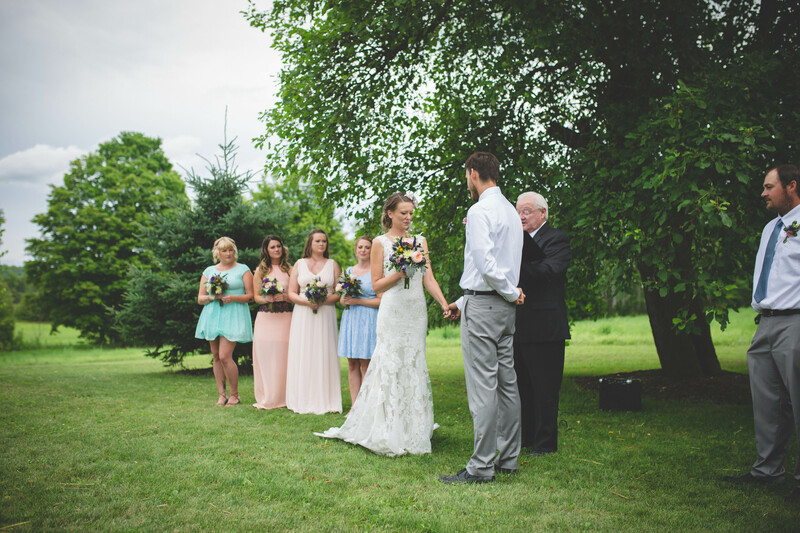 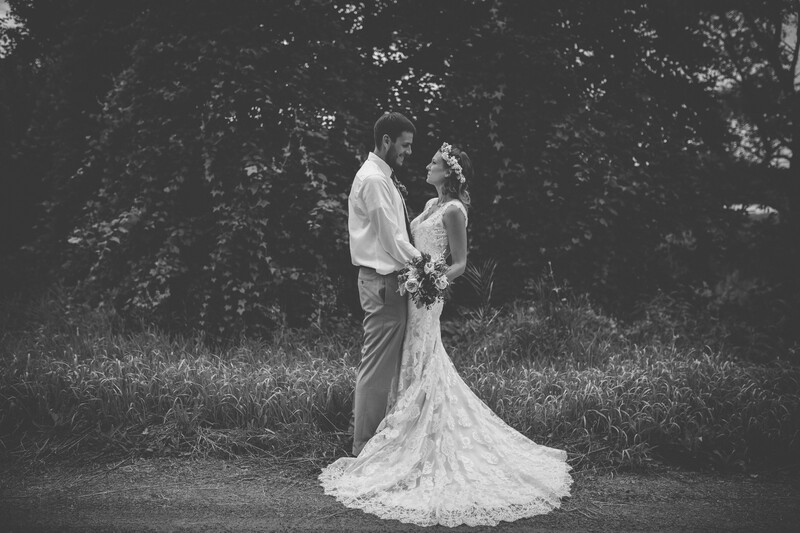 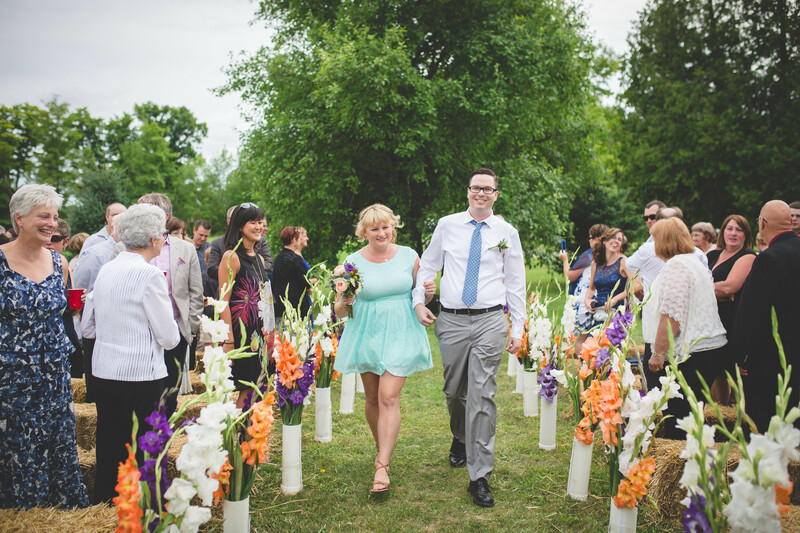 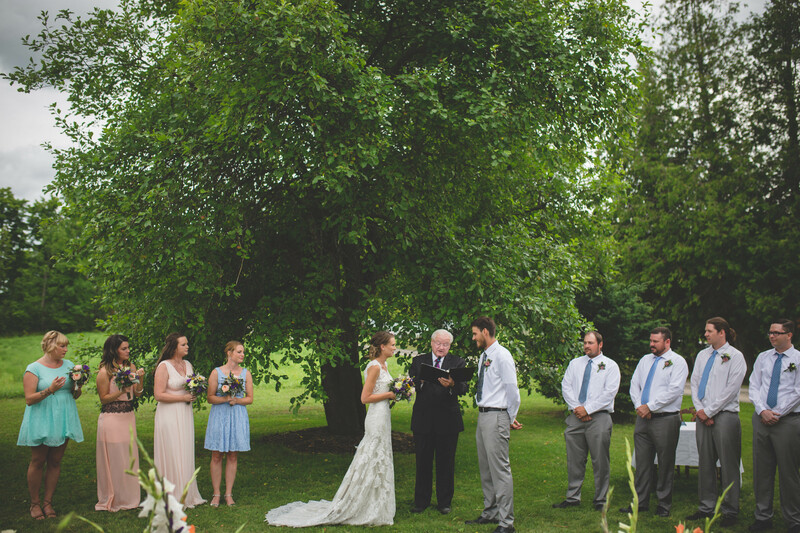 Their ceremony was held on the Barry’s front yard under an old tree that acted as their alter. 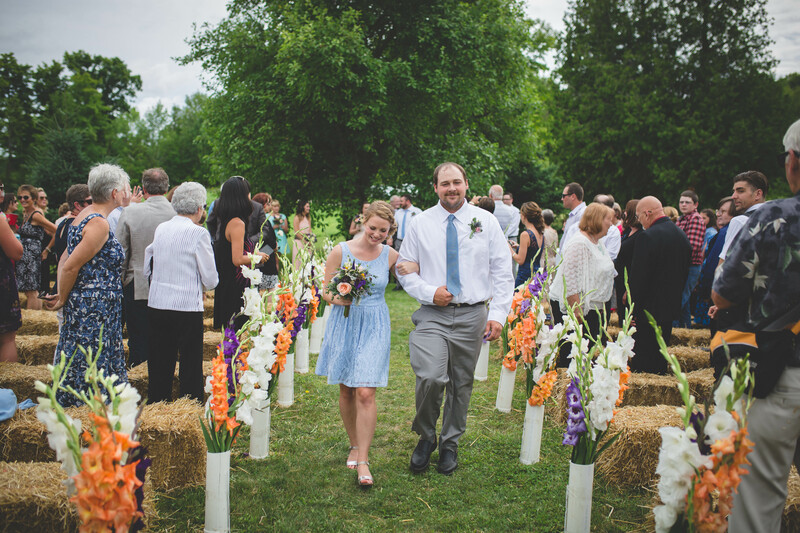 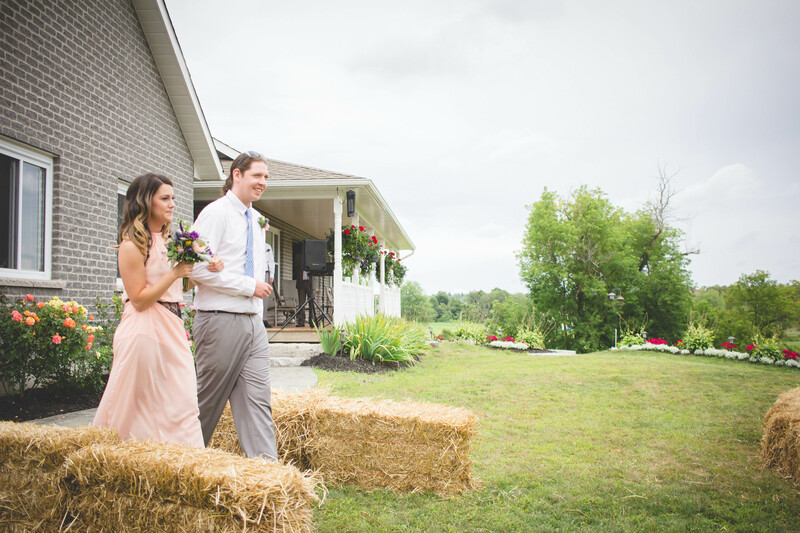 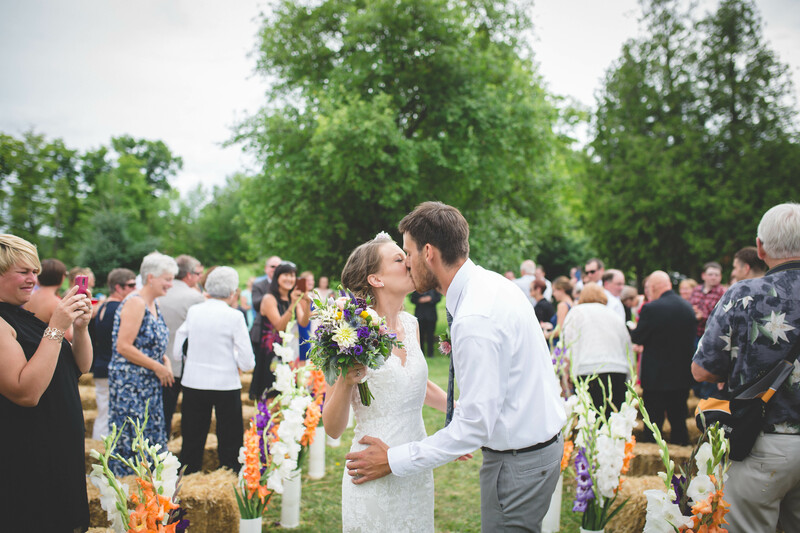 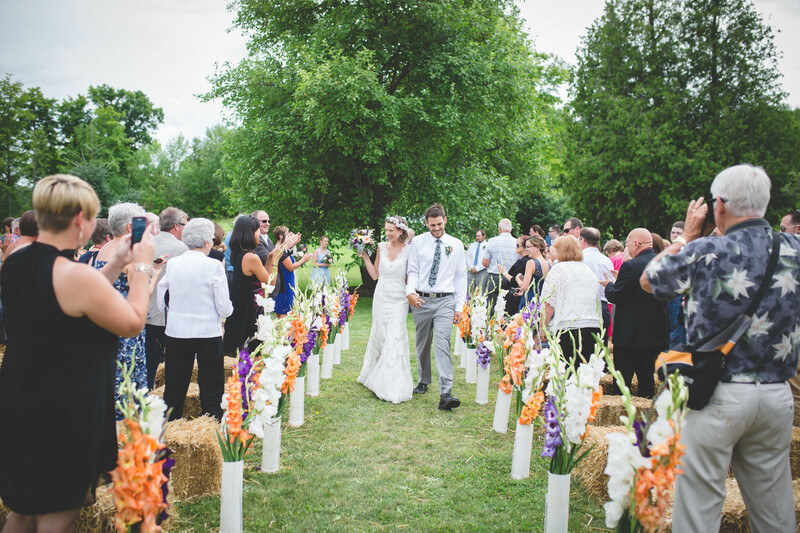 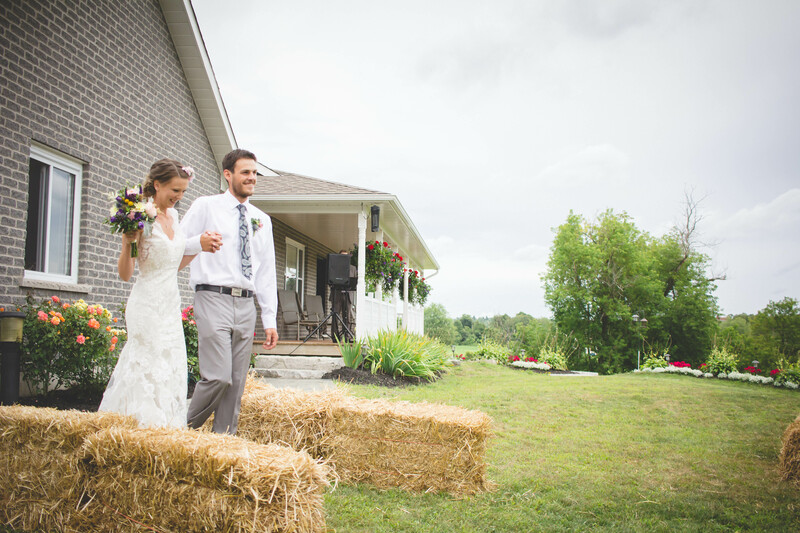 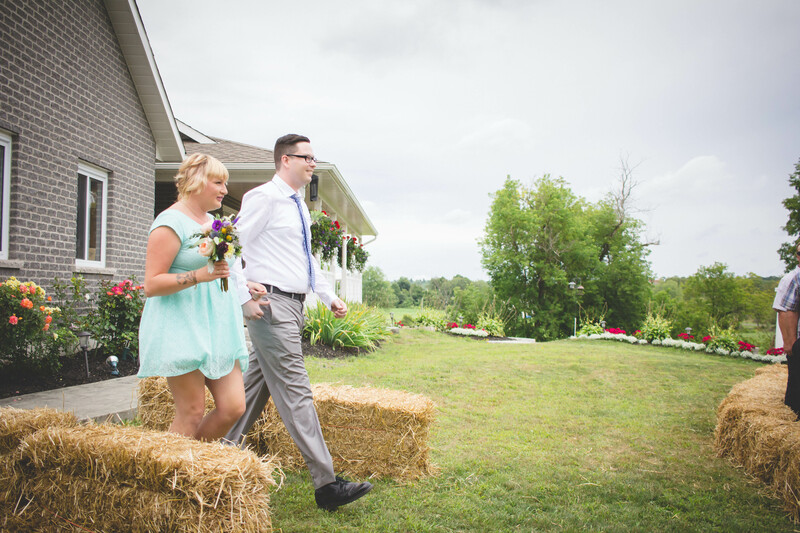 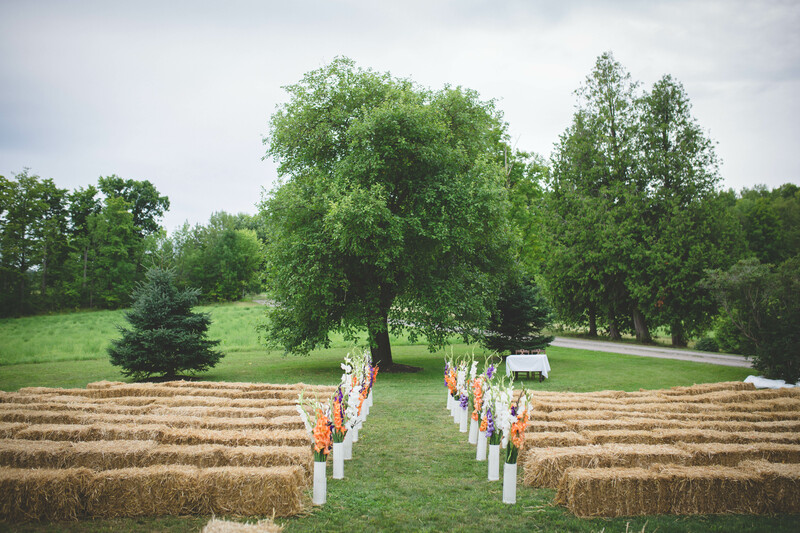 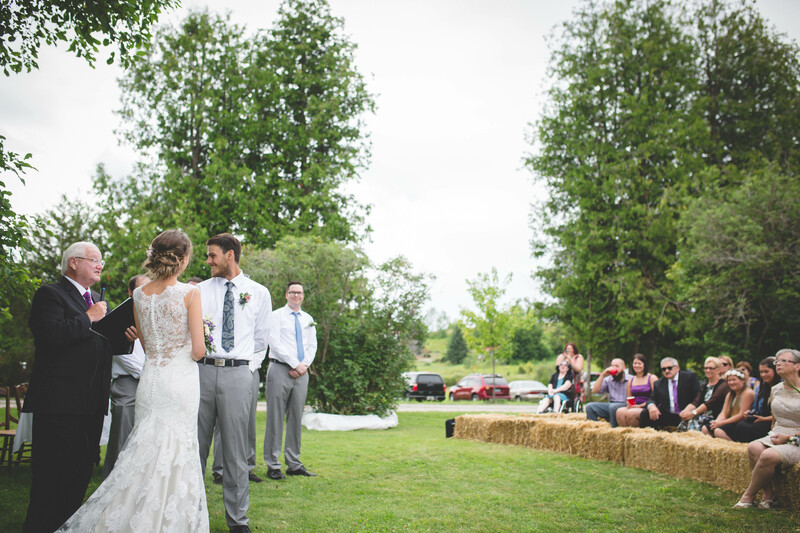 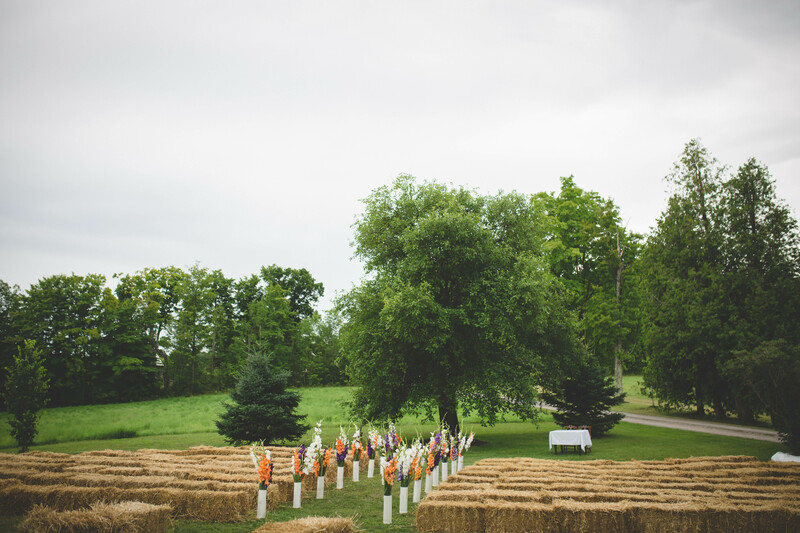 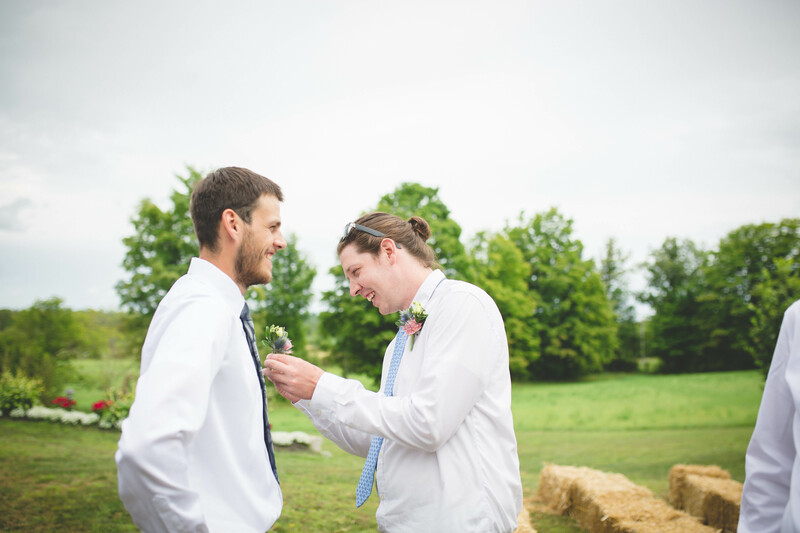 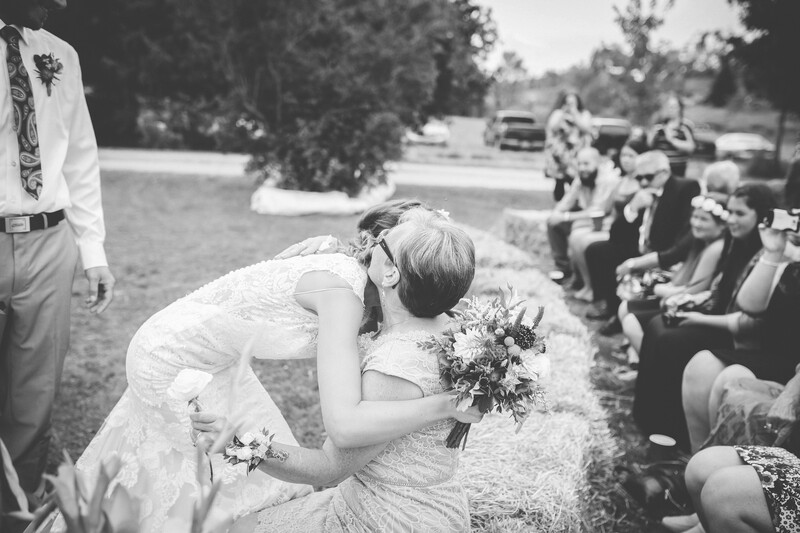 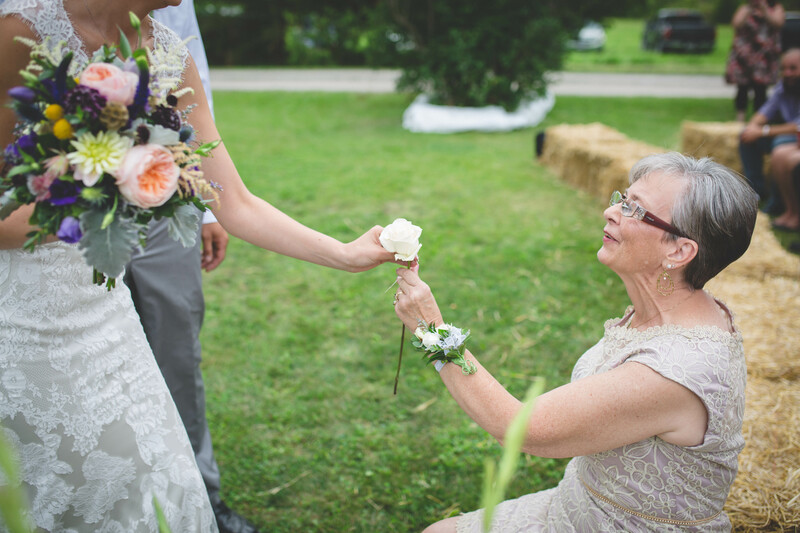 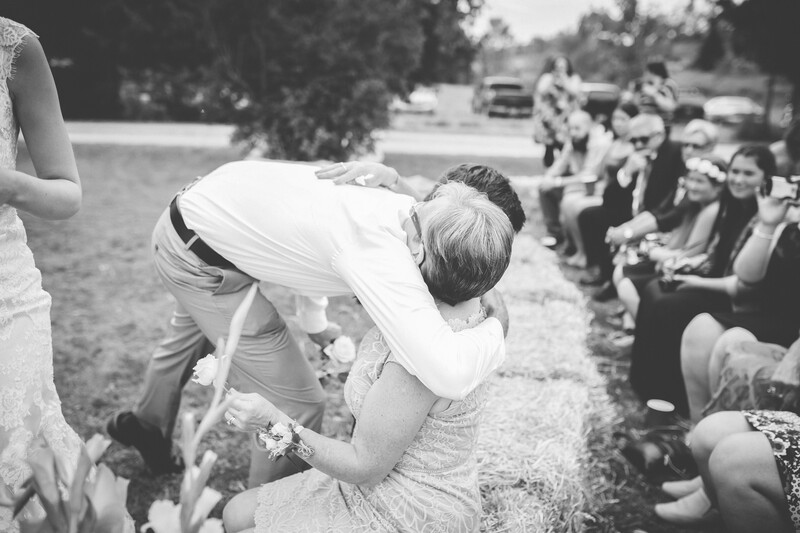 Guests sat on bails of hay and watched the couple as they spoke of their love and affection for one another. 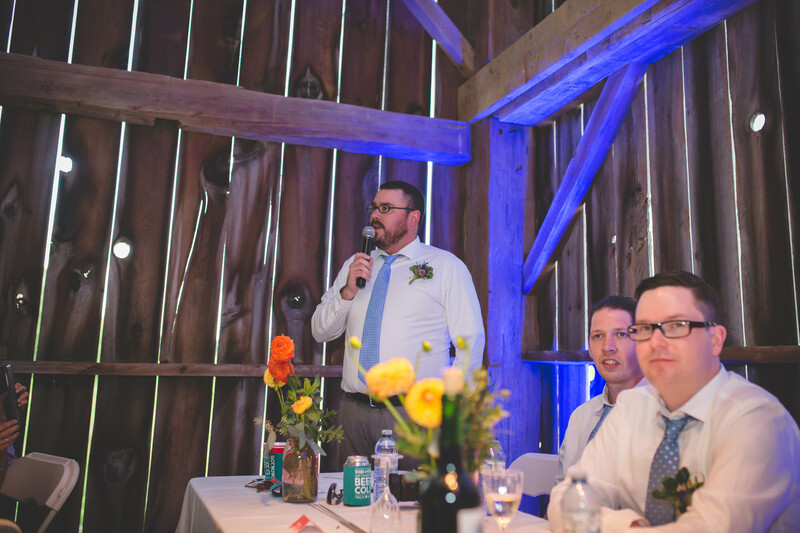 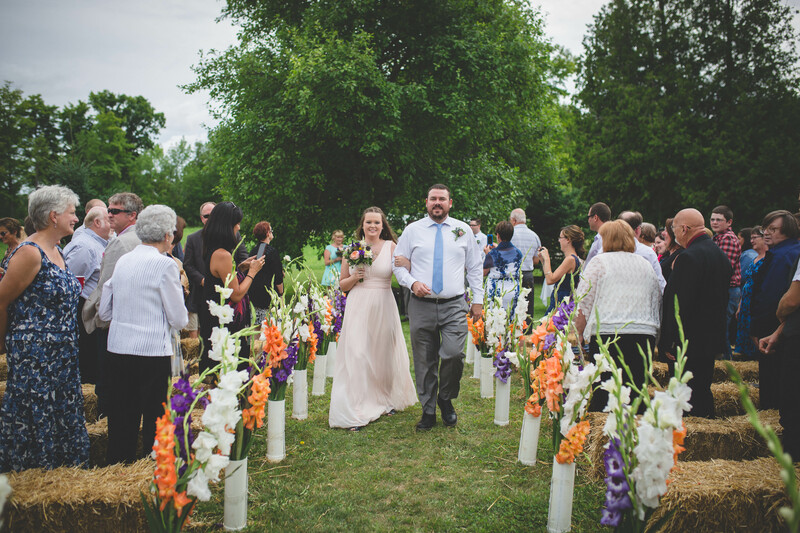 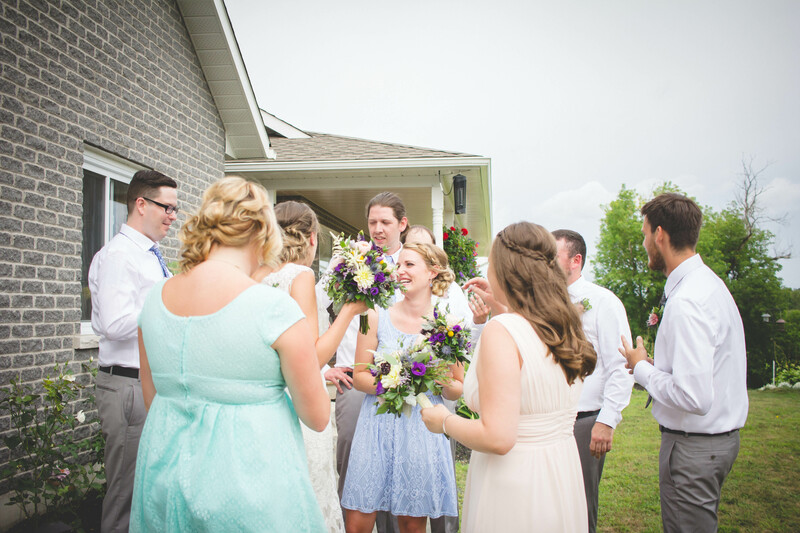 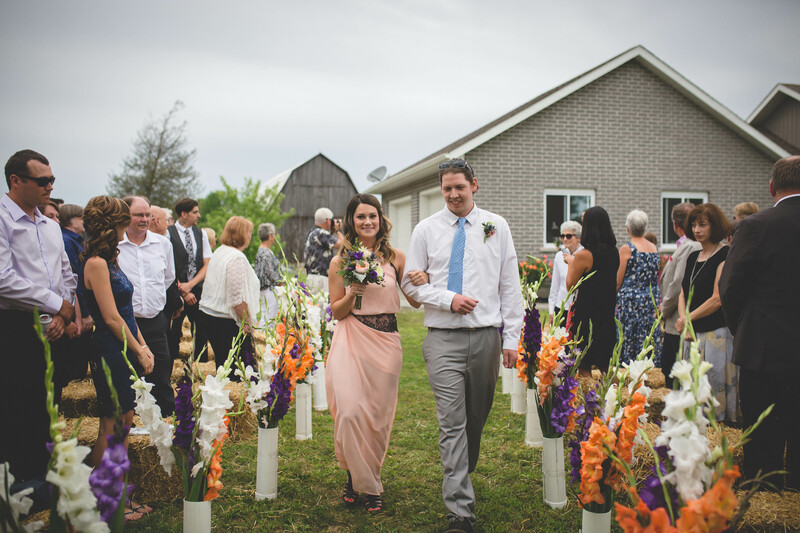 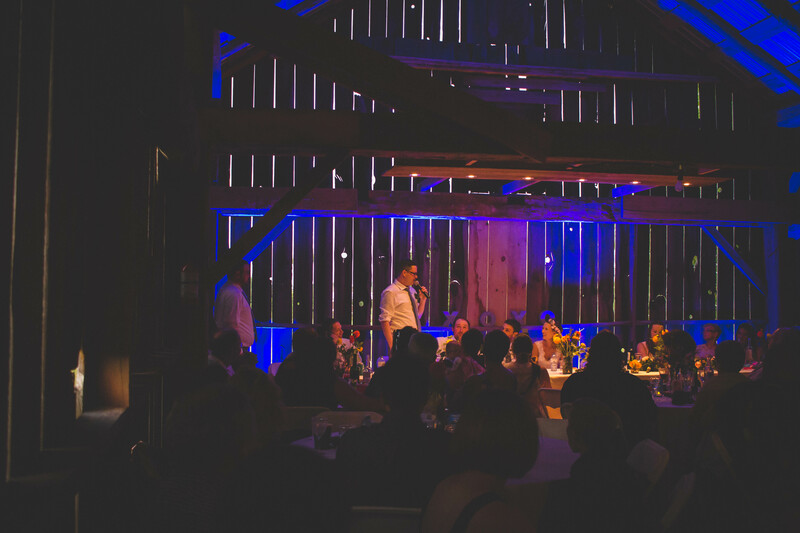 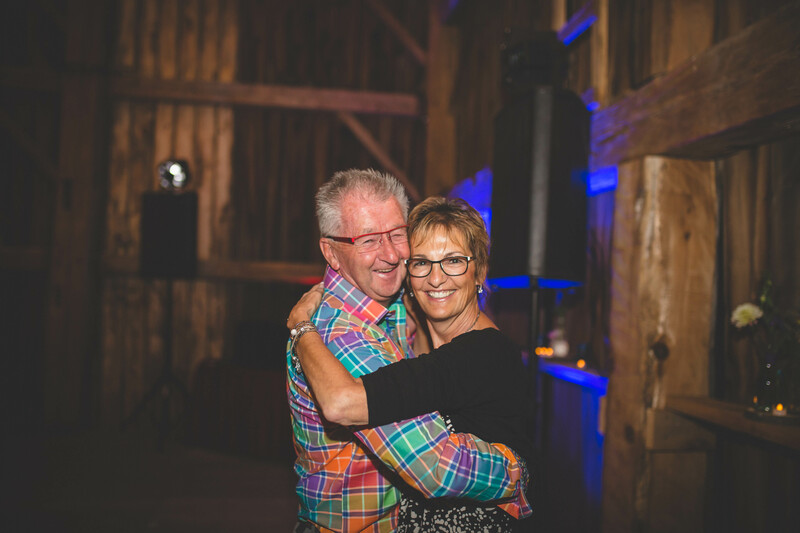 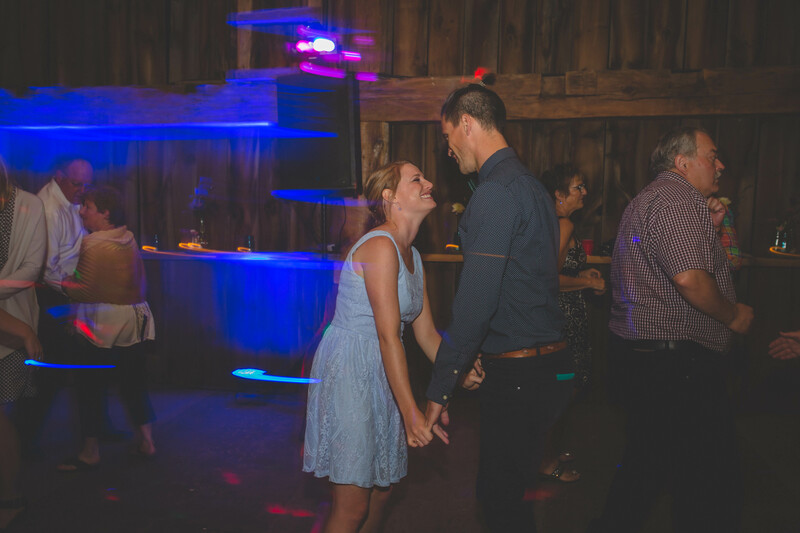 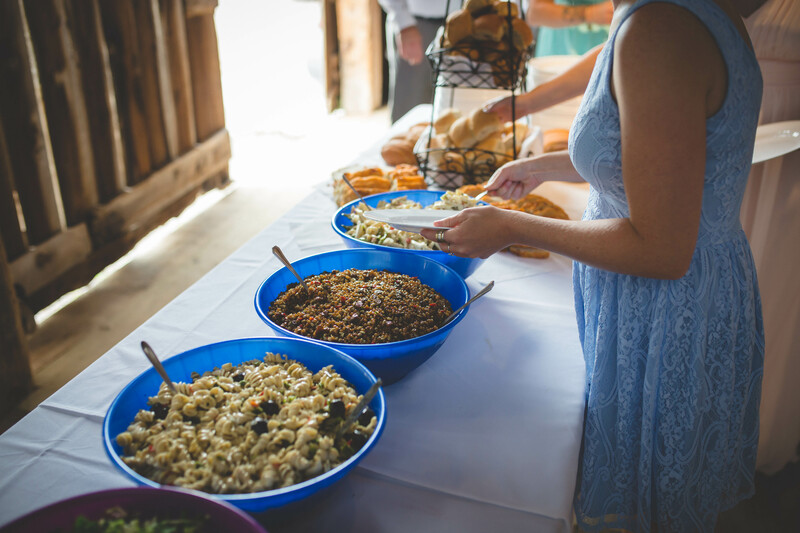 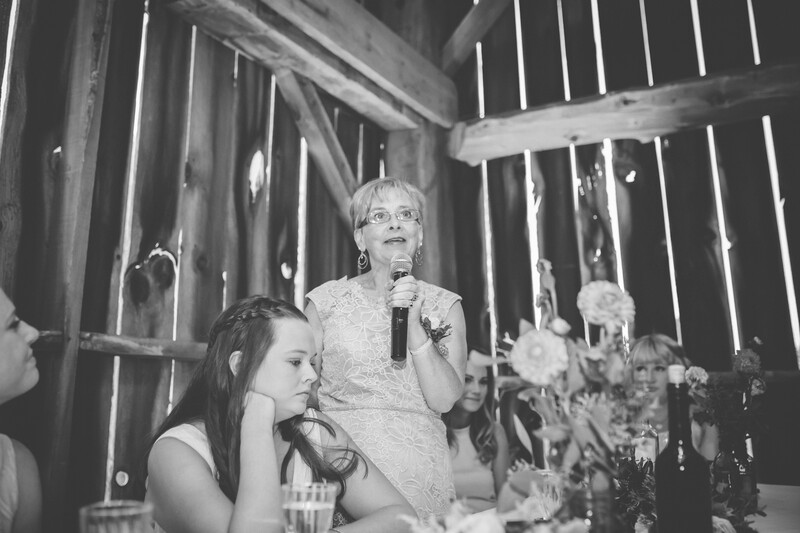 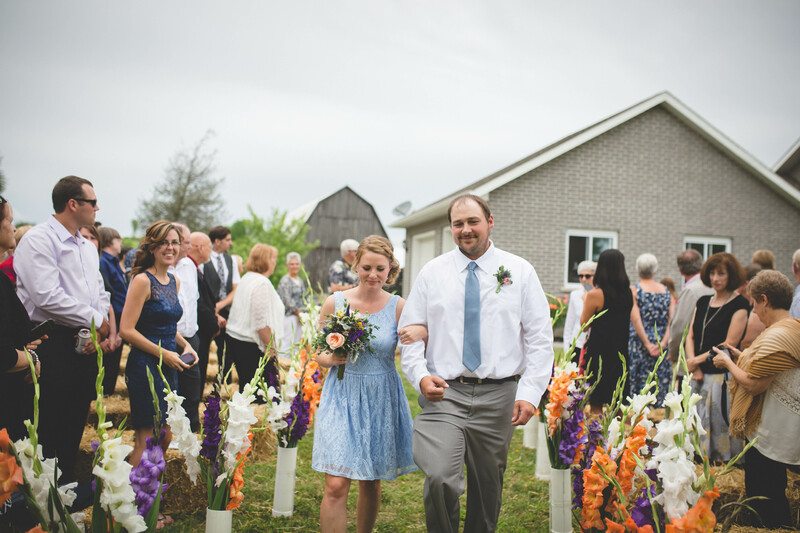 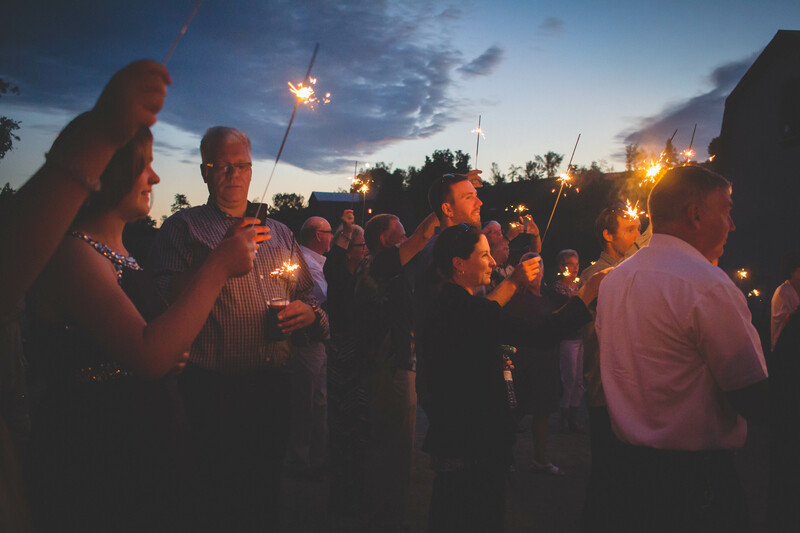 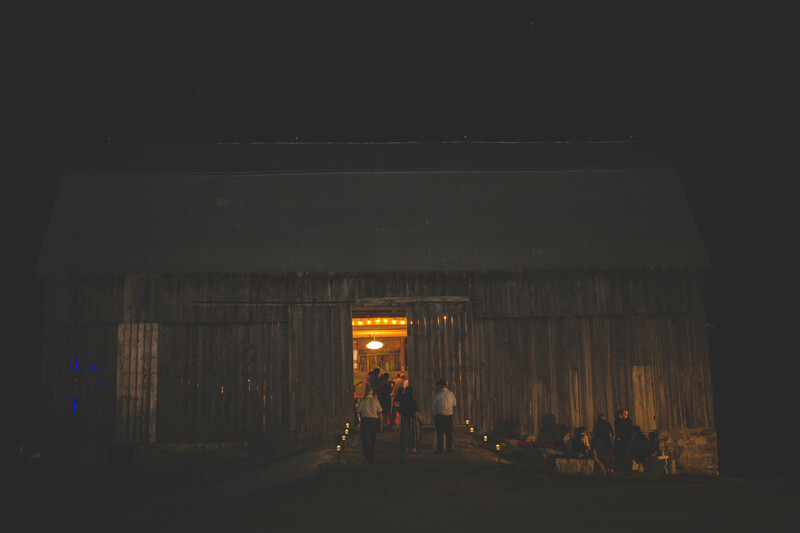 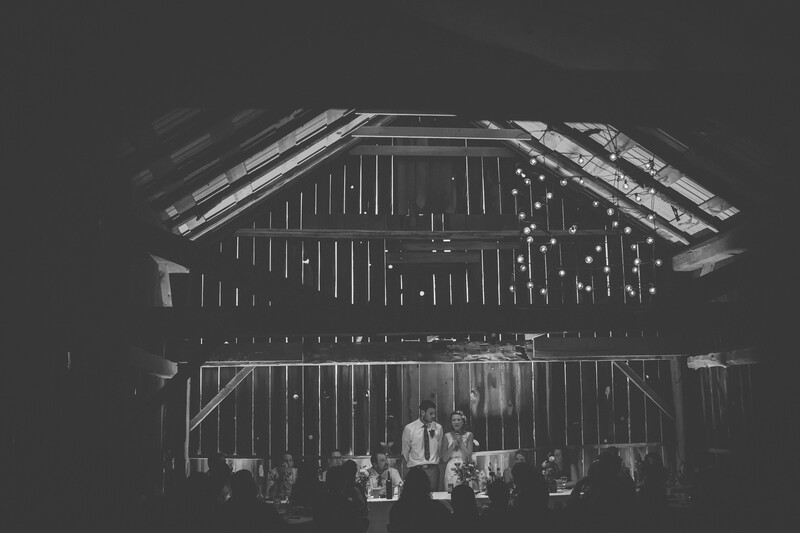 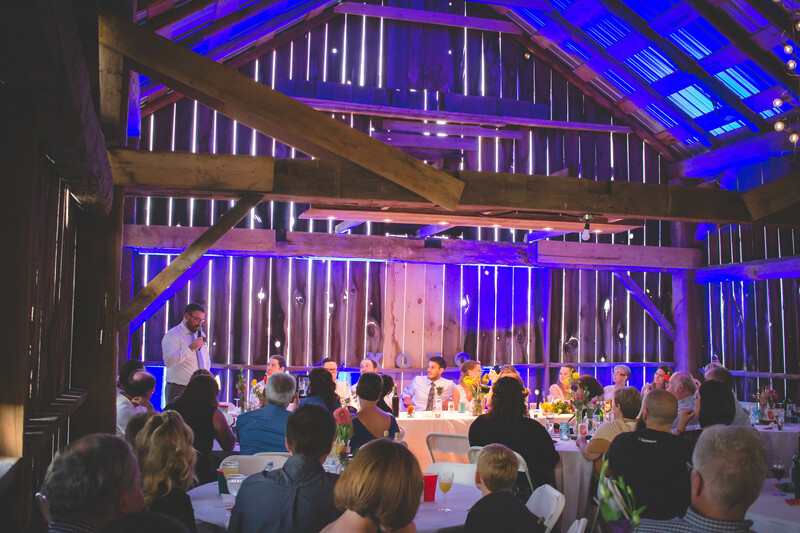 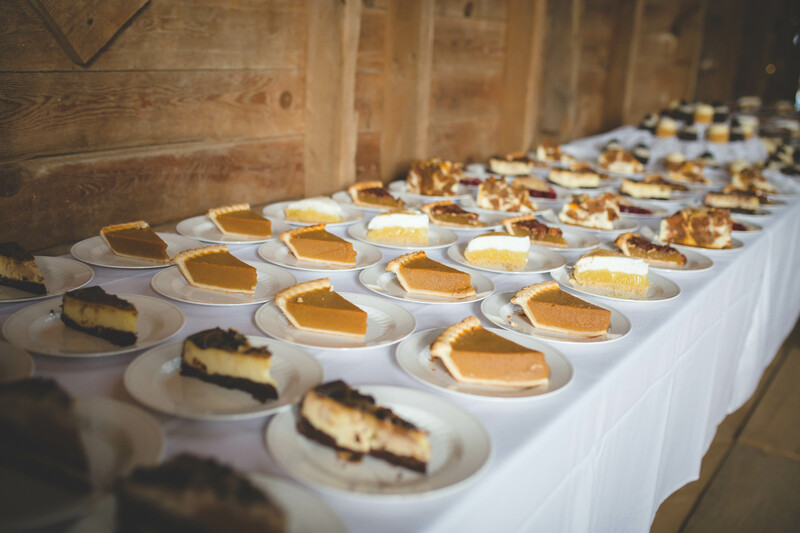 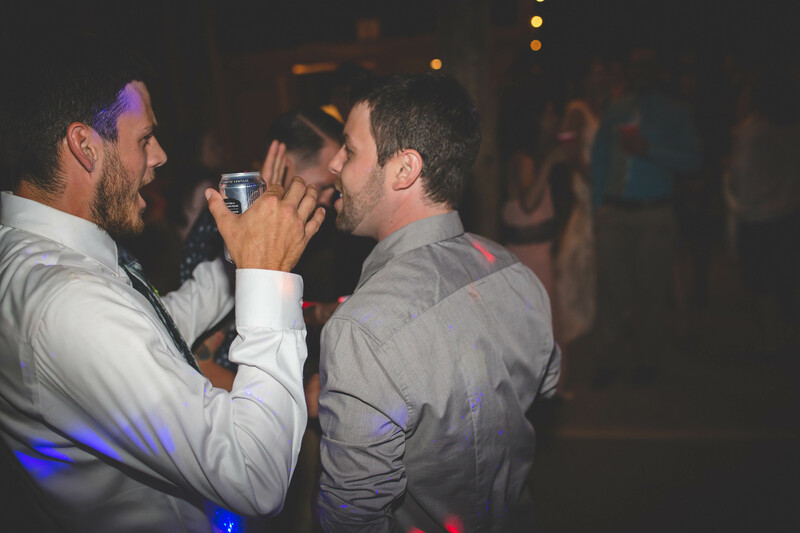 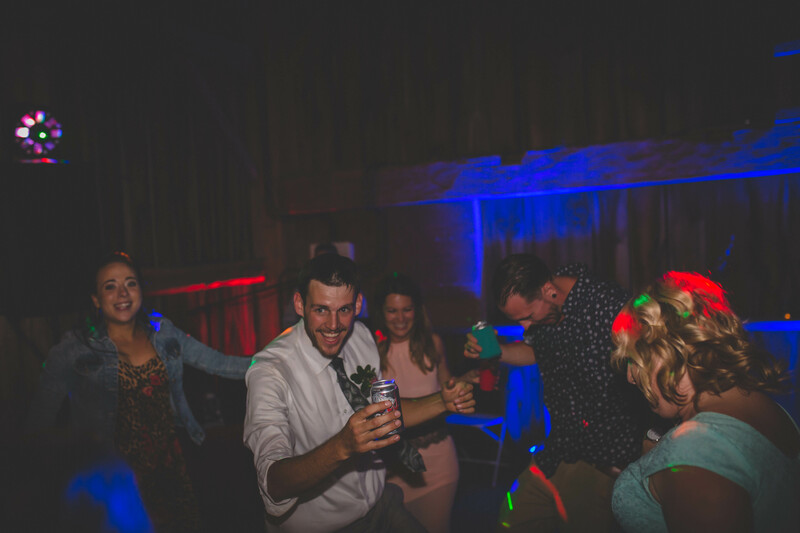 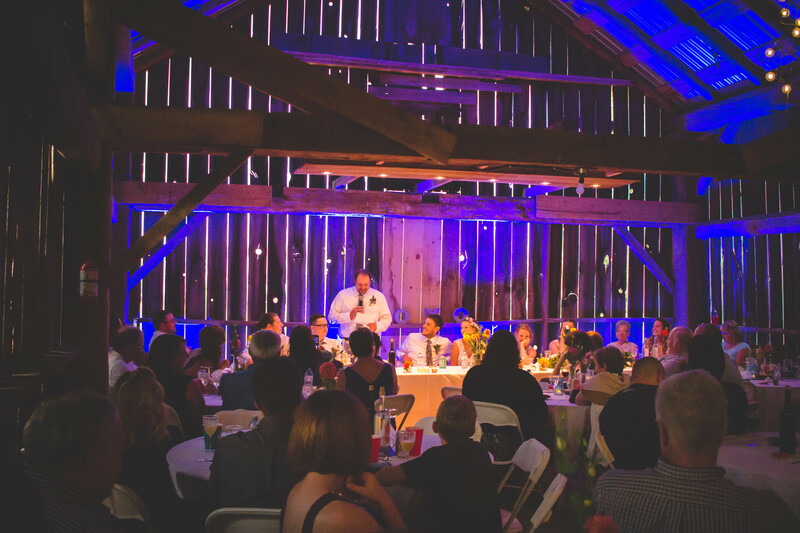 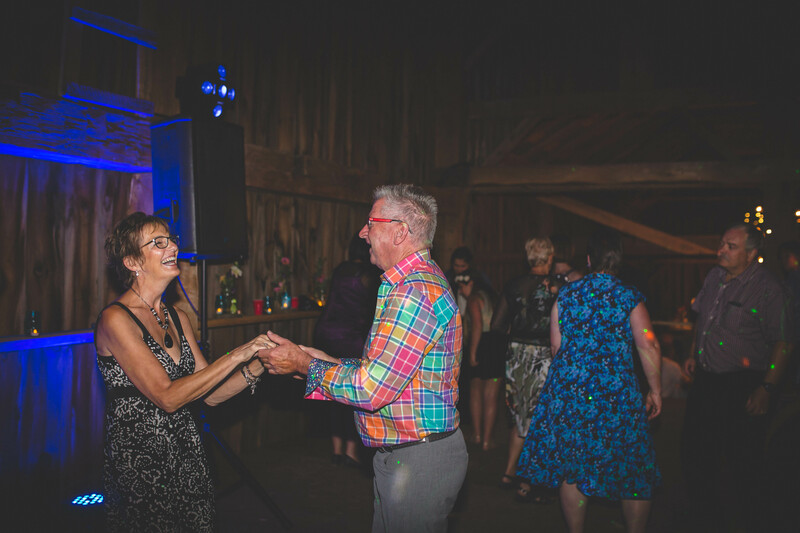 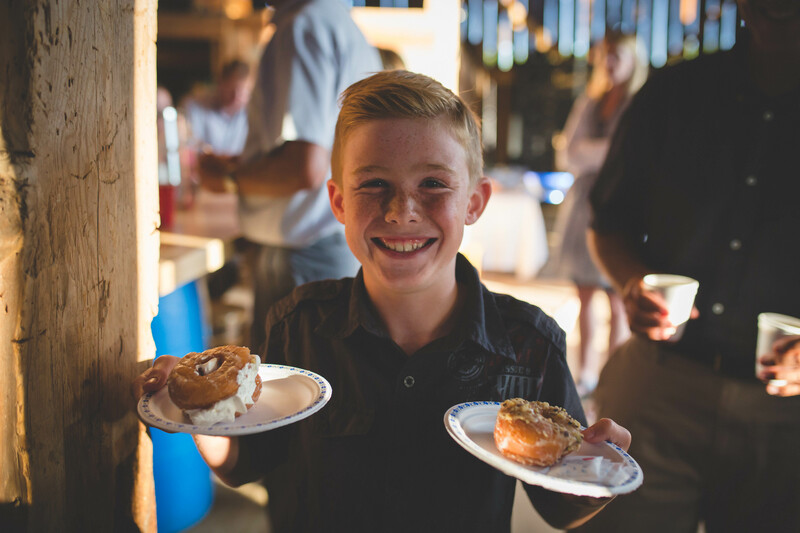 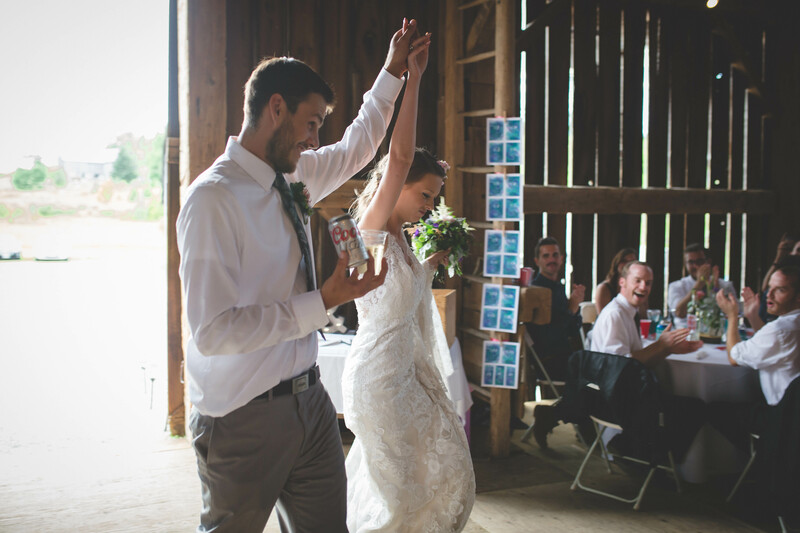 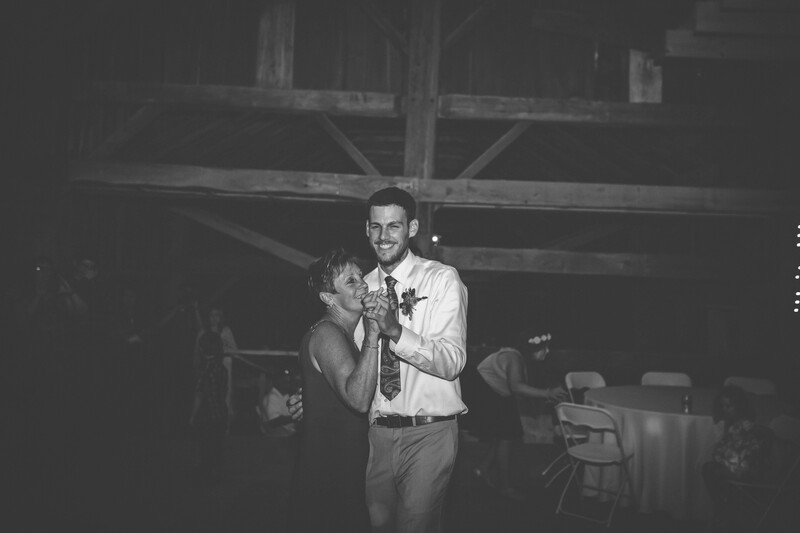 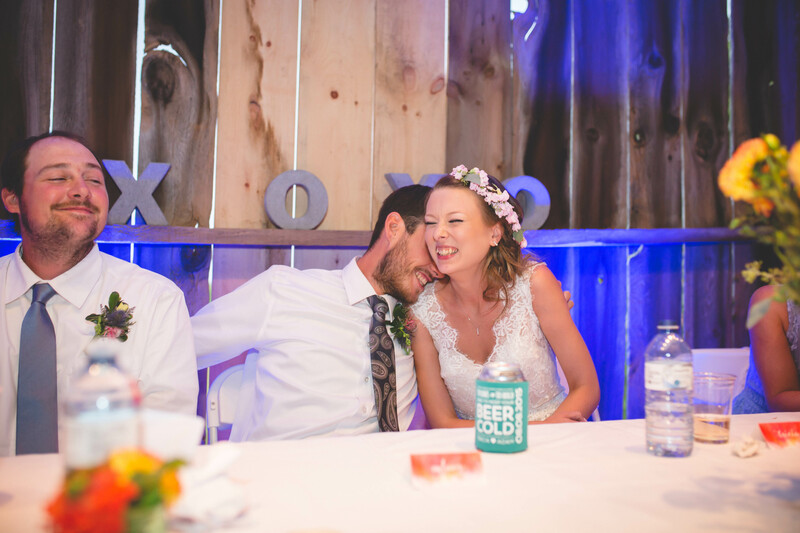 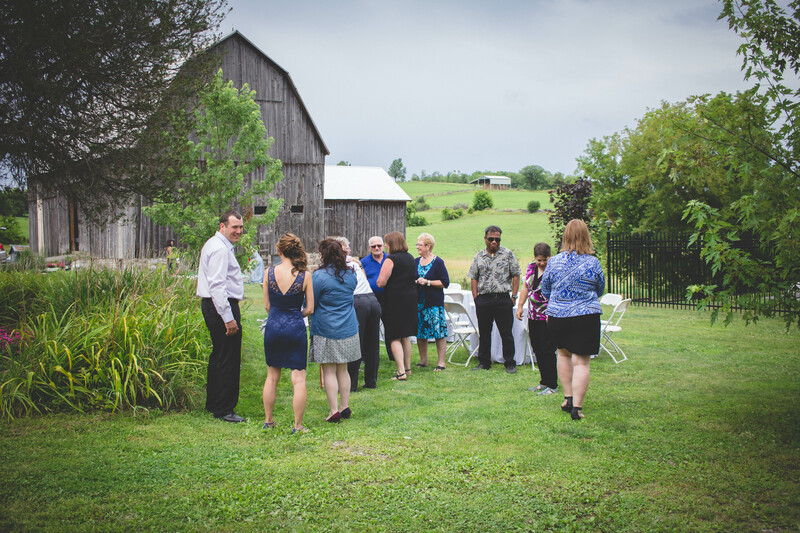 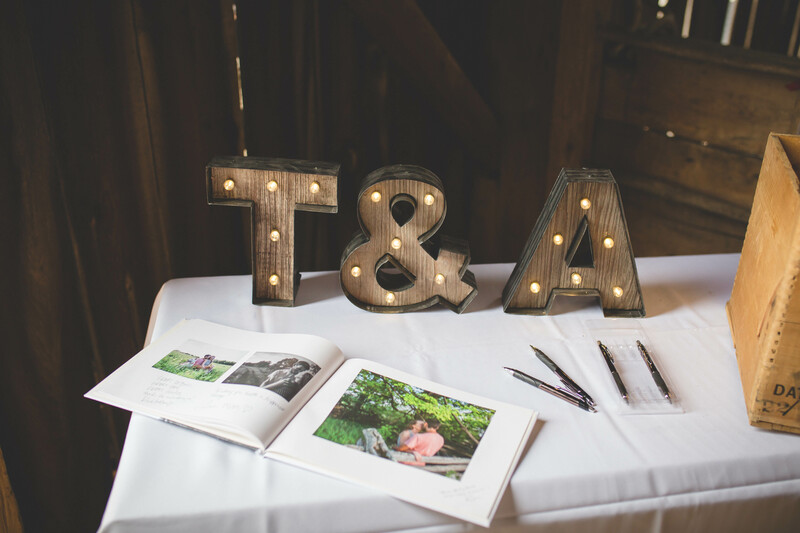 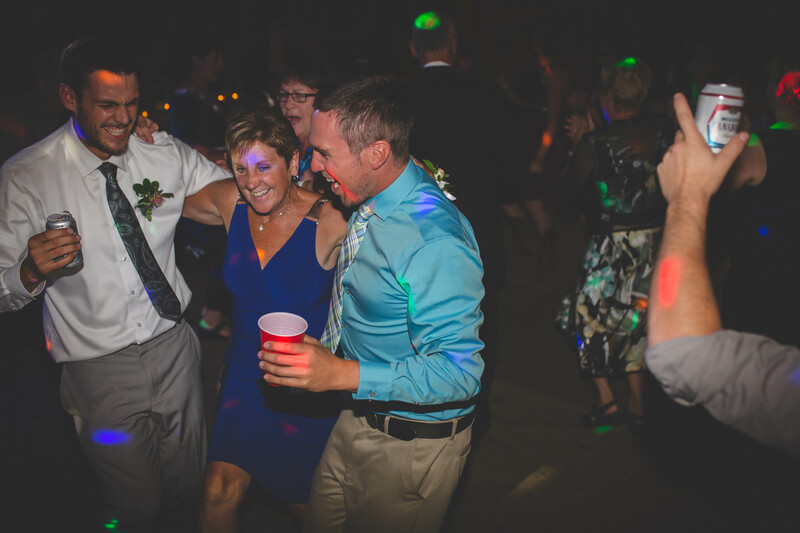 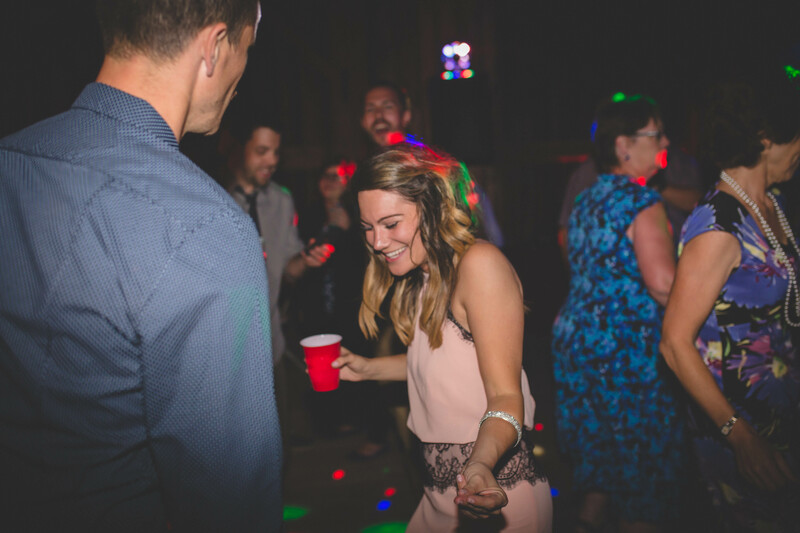 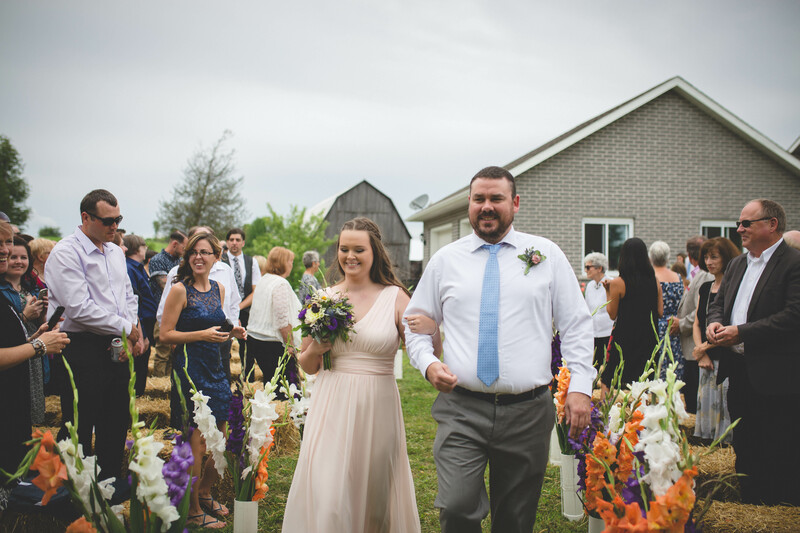 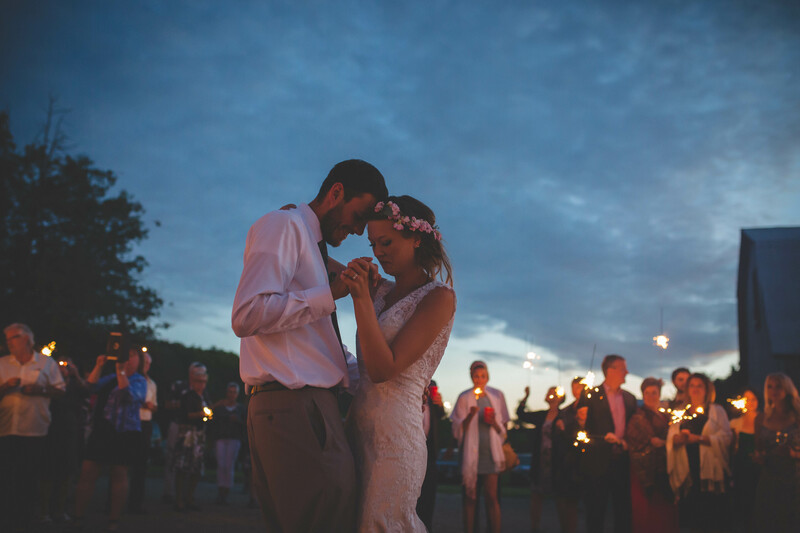 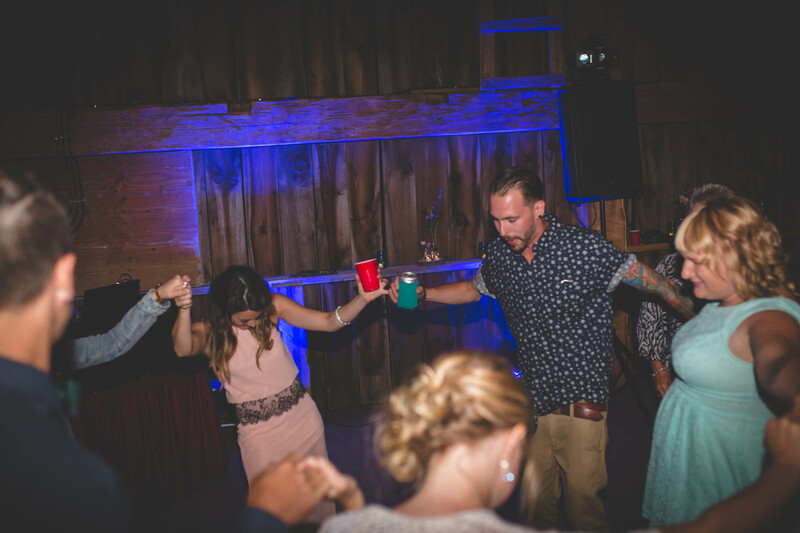 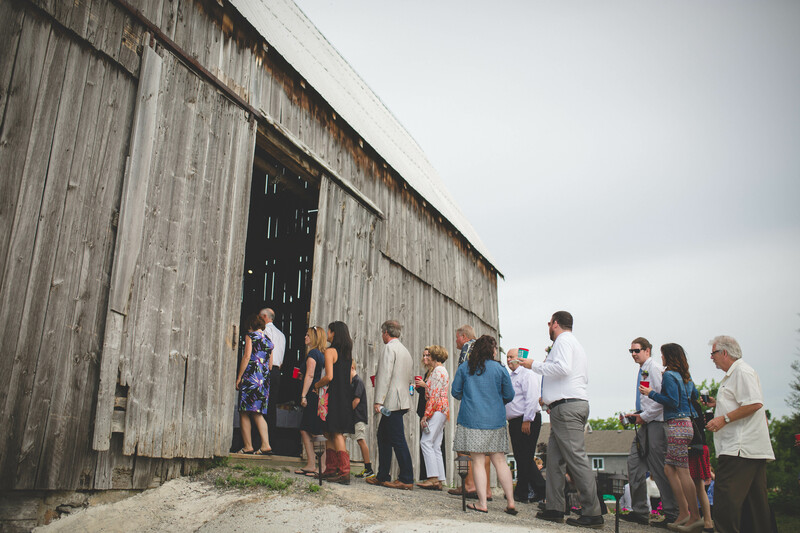 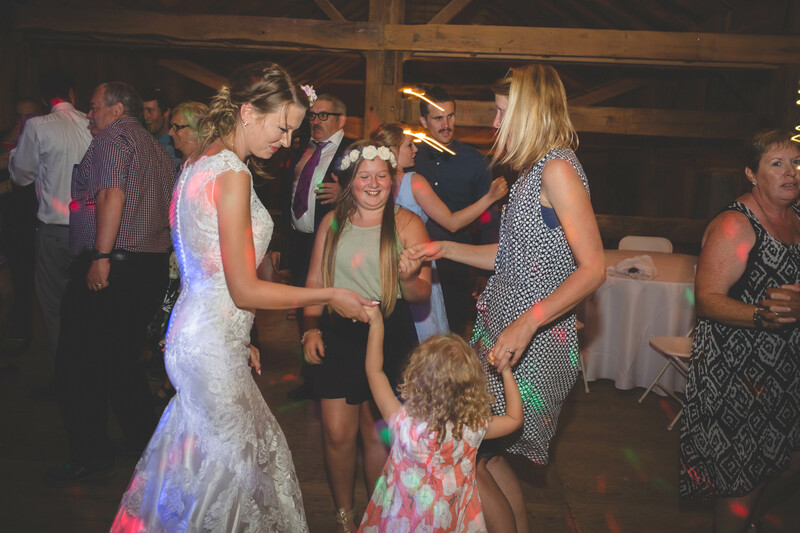 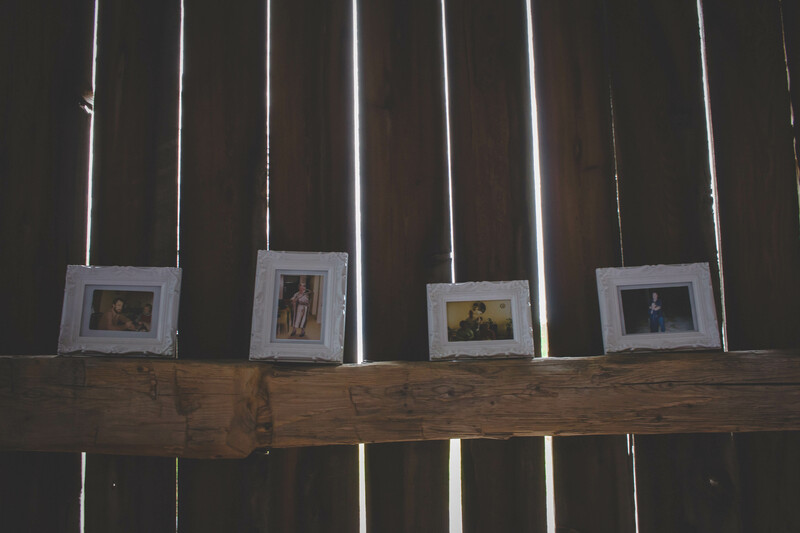 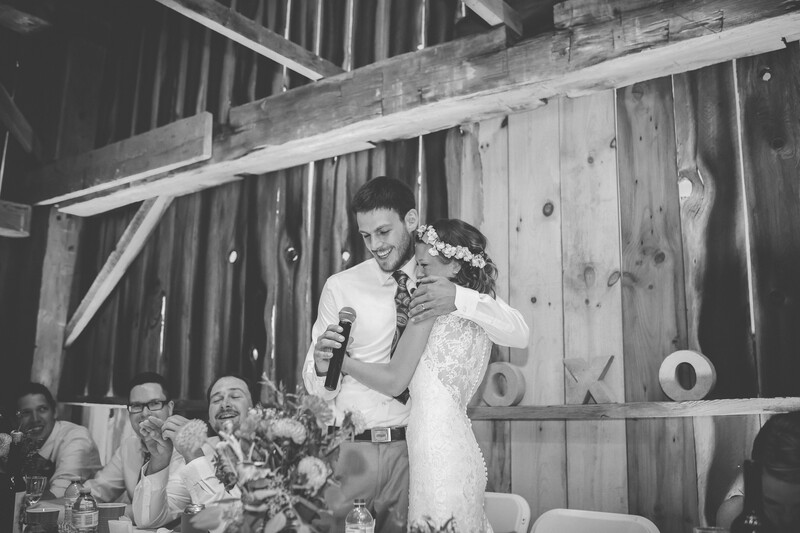 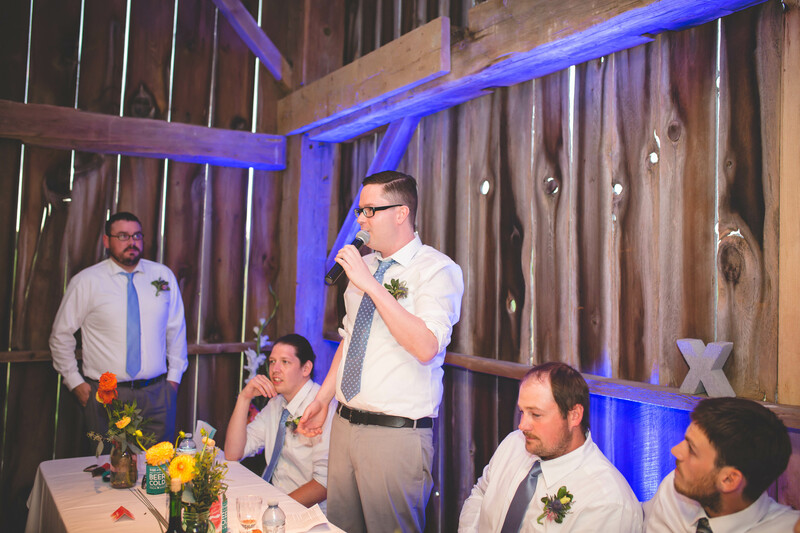 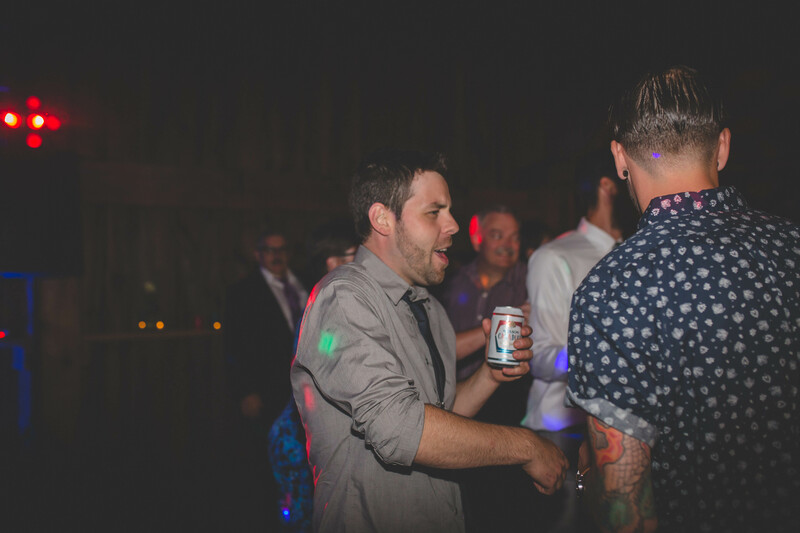 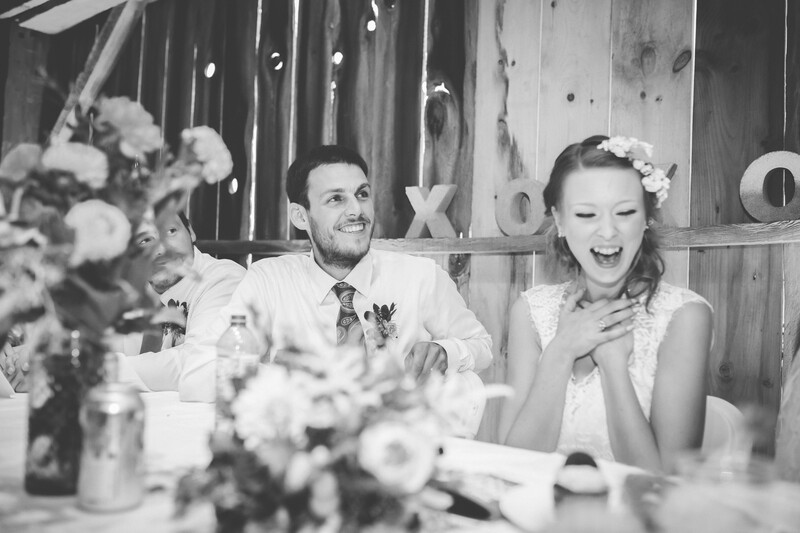 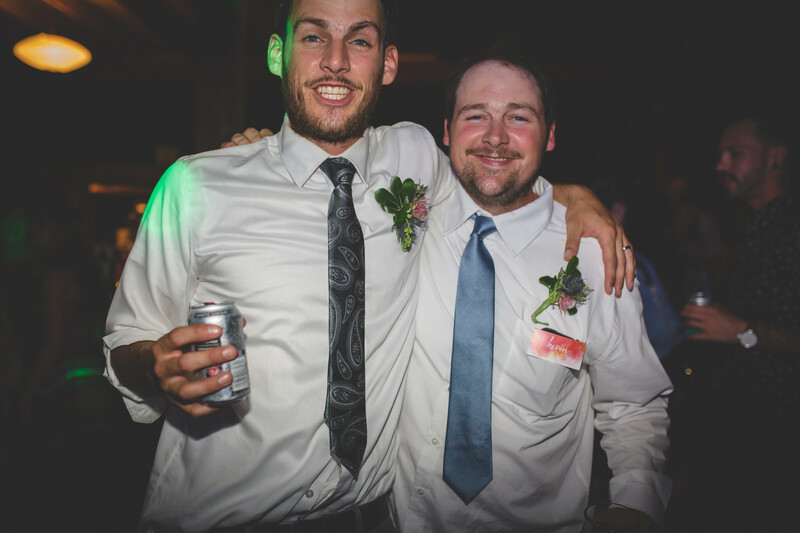 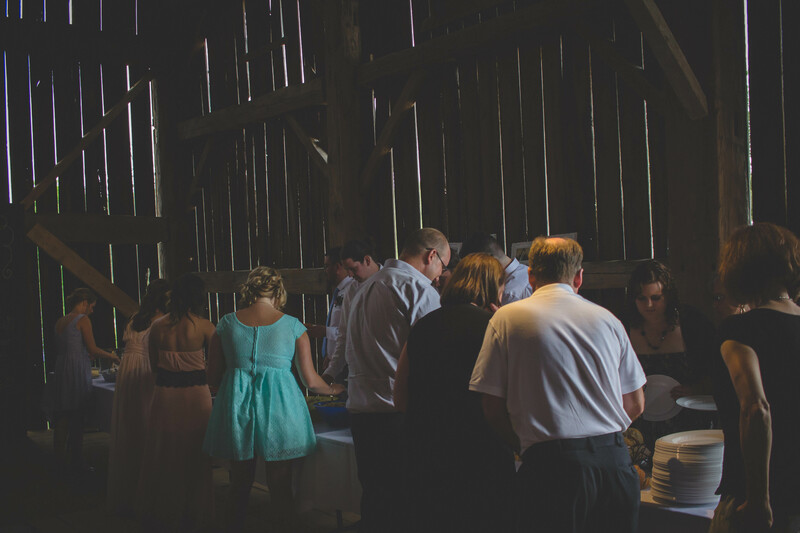 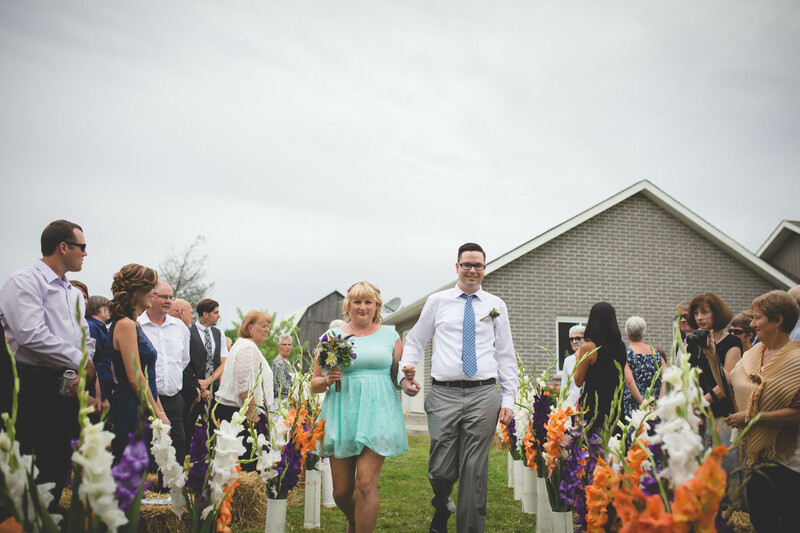 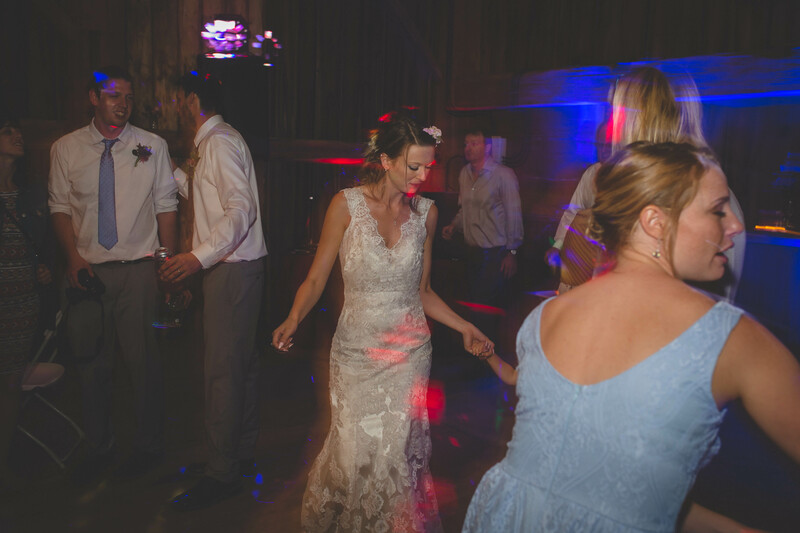 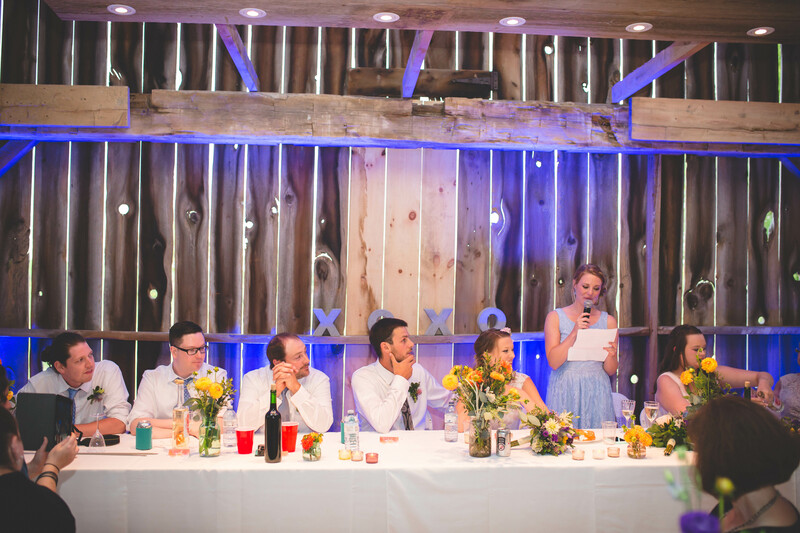 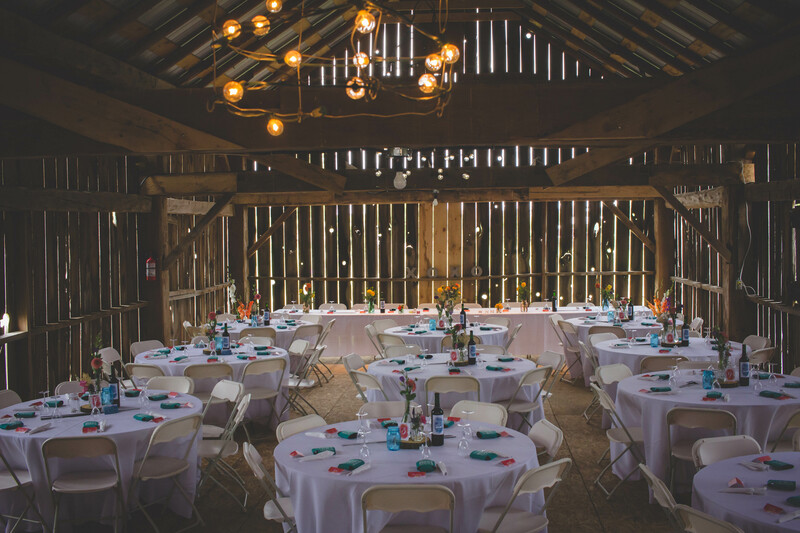 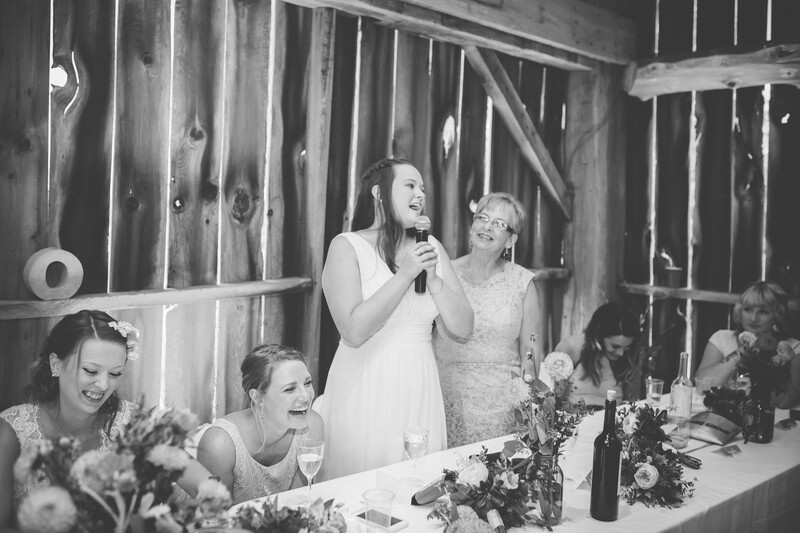 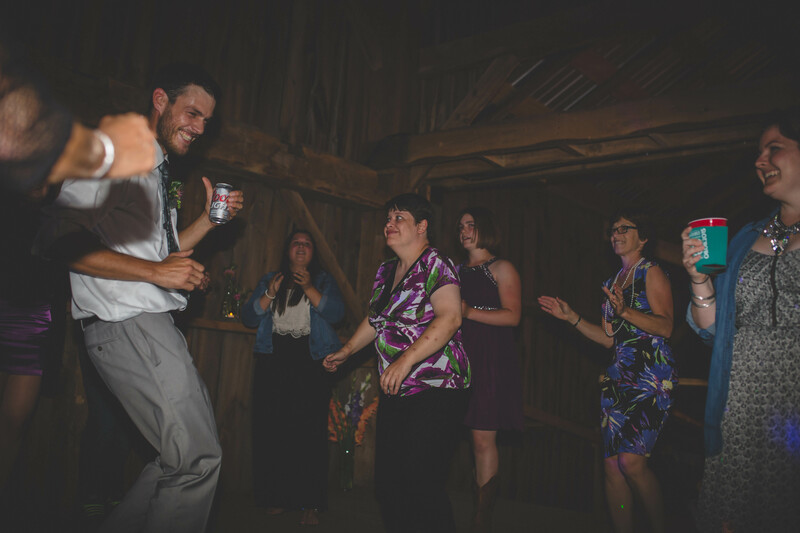 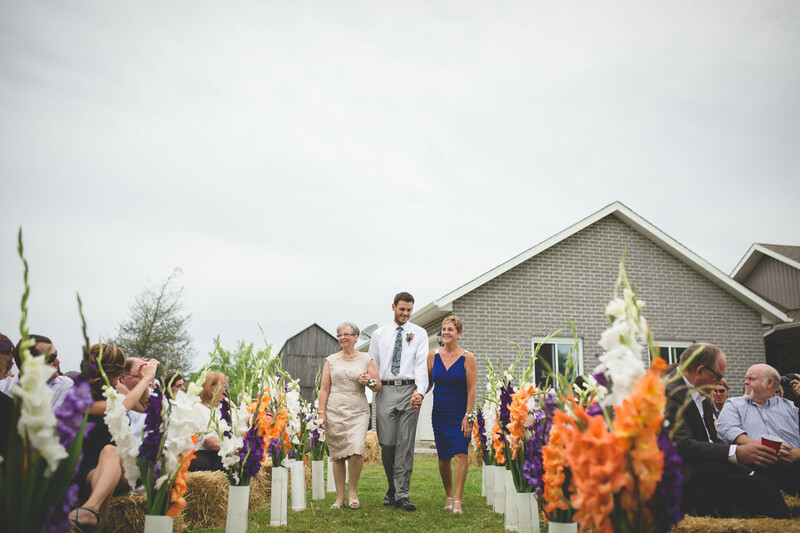 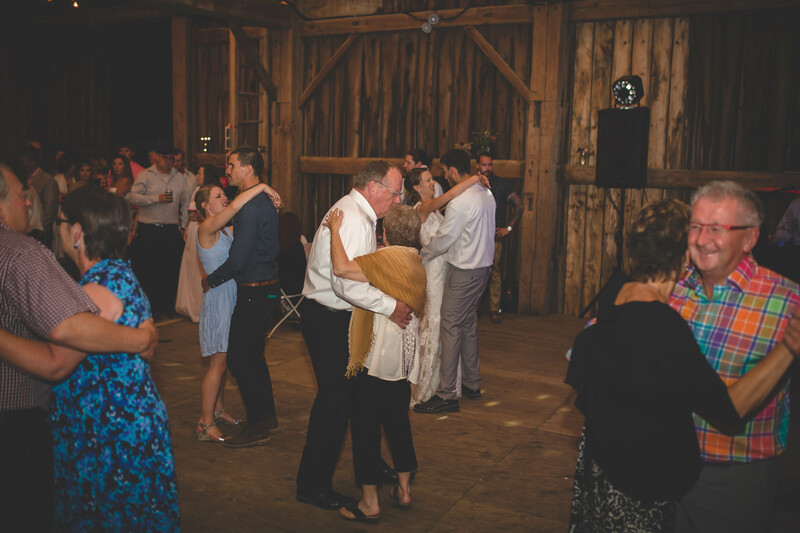 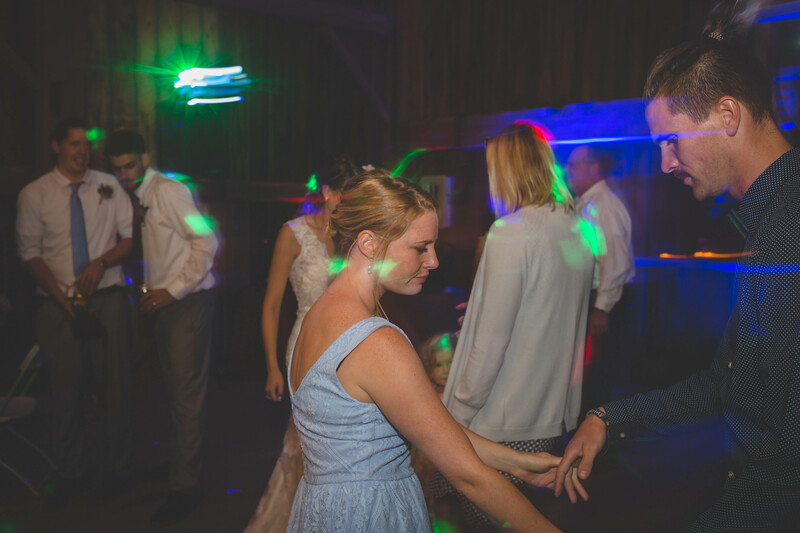 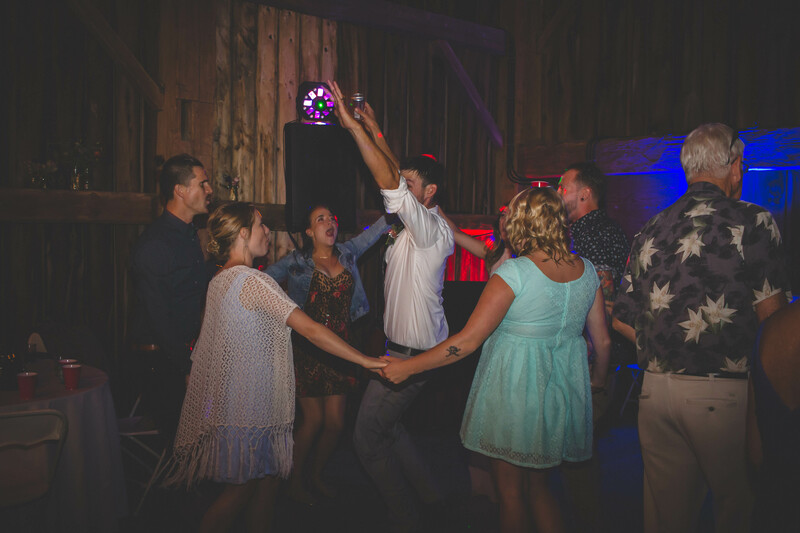 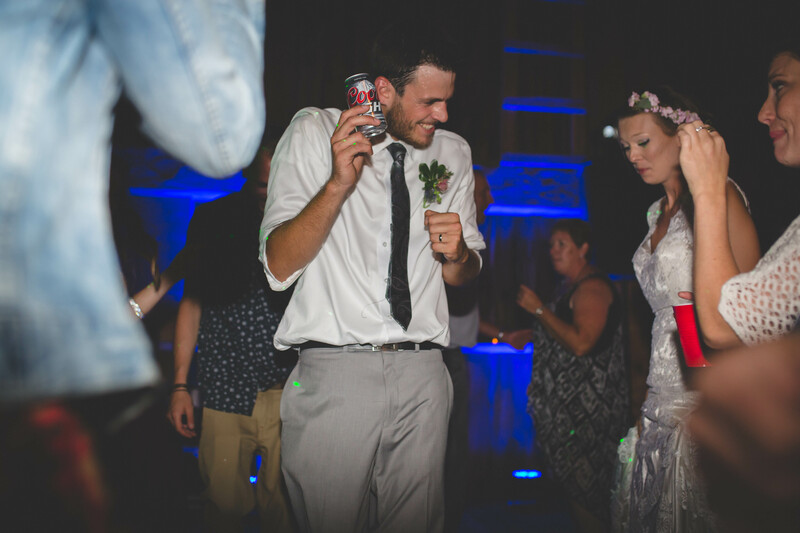 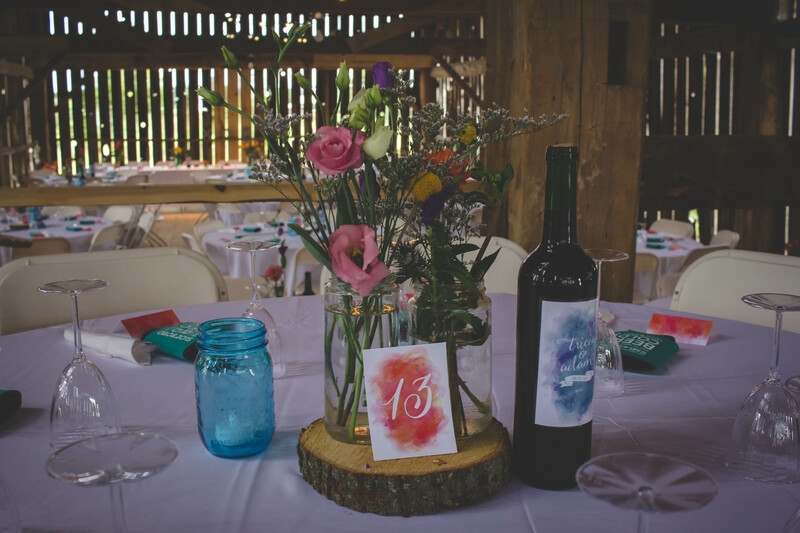 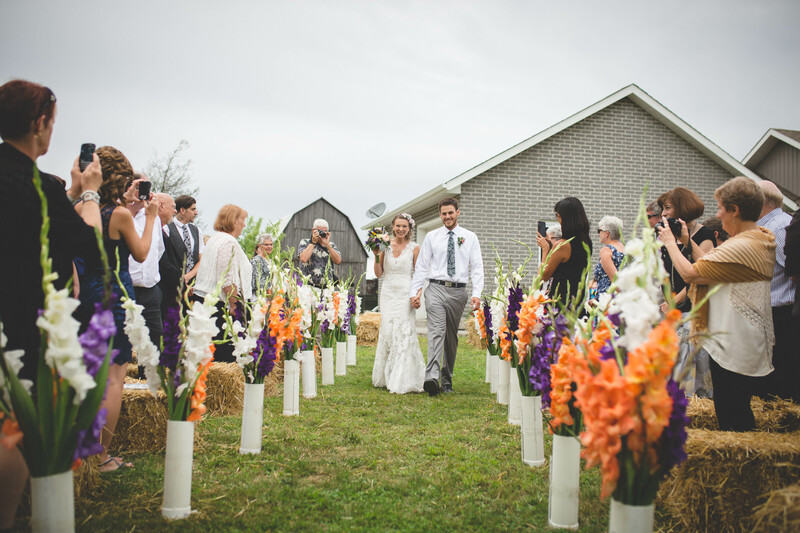 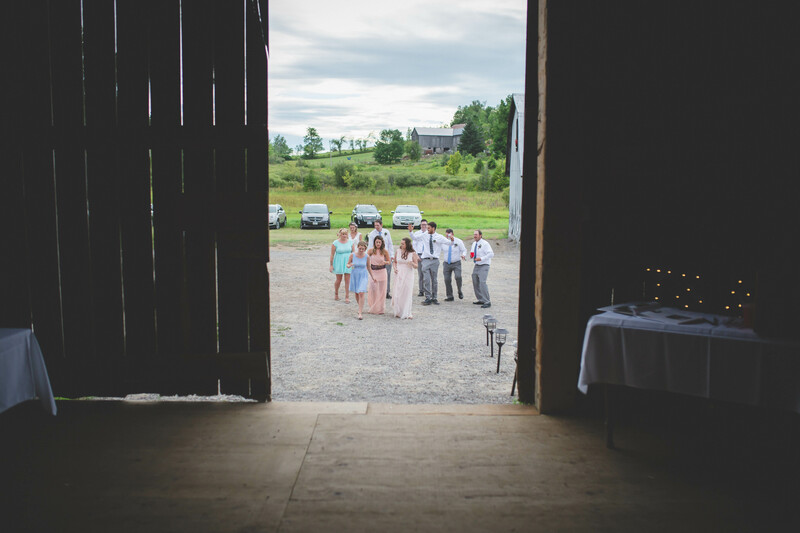 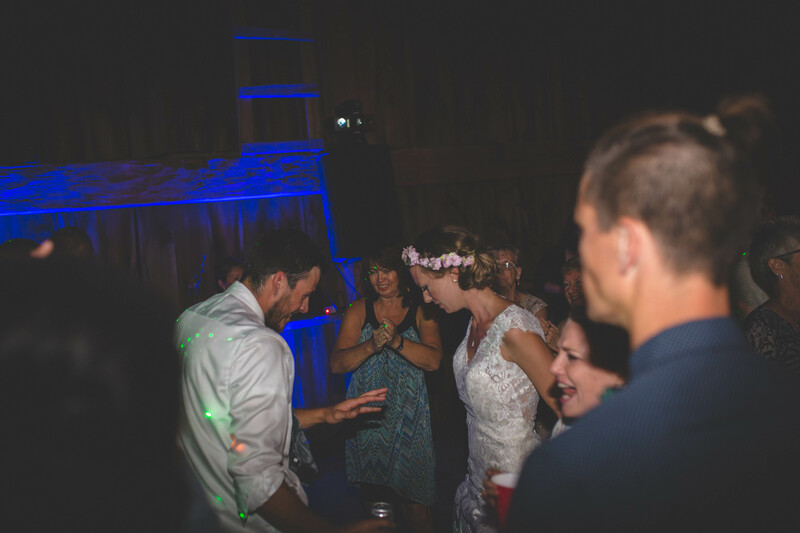 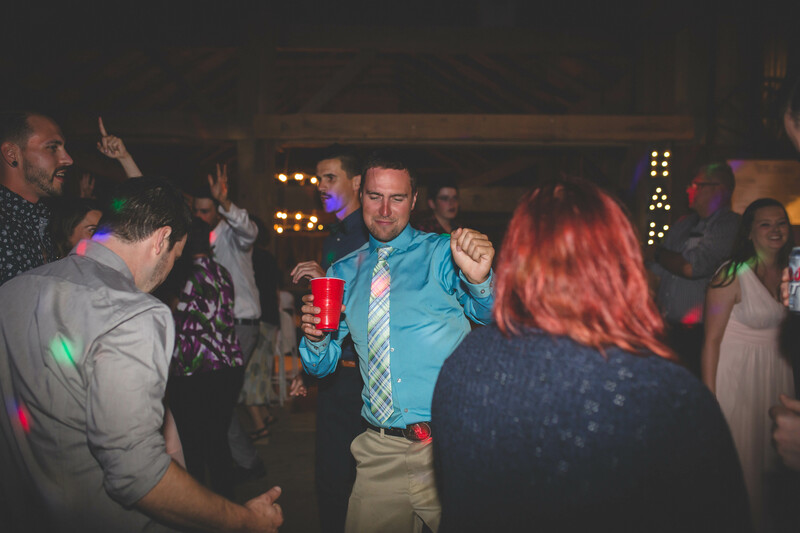 The reception was held in the Barry barn one that only a few months before was not ready to hold such an occasion, but with all the help from family and friends became a place for their dinner and dance. 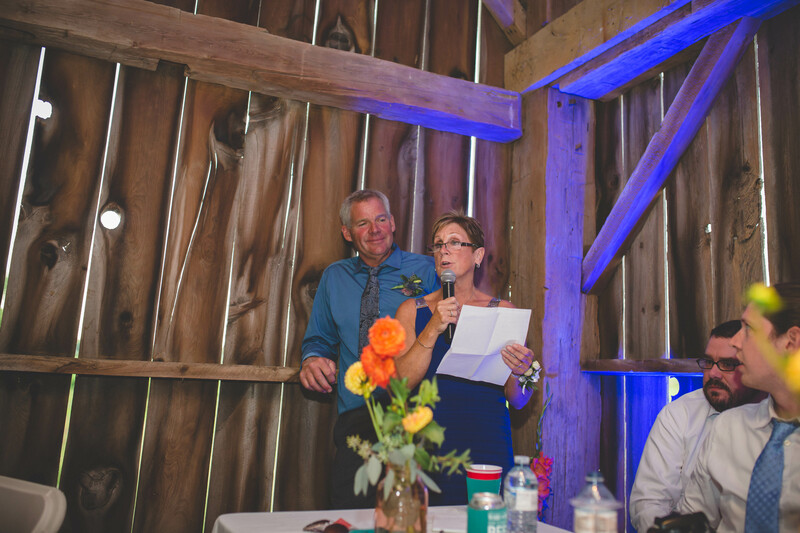 Speeches from family and loved ones were beautiful and love-filled there wasn’t one guest without a smile on their face. 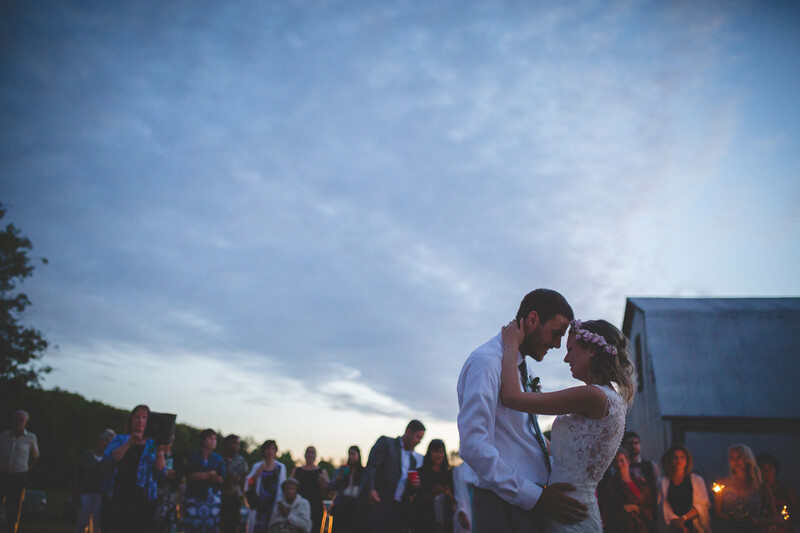 Under the sunset and many many sparkles held by their guests Tricia and Adam shared their first dance kick starting their epic dance. 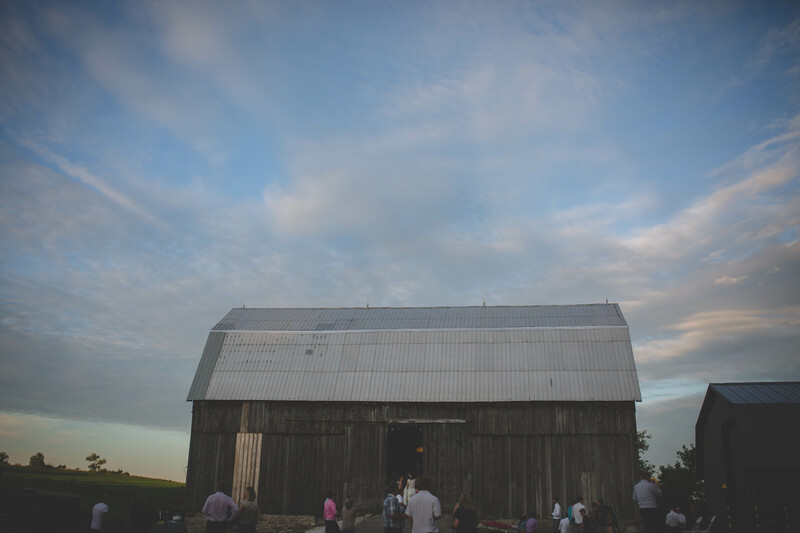 The Barry farm not only became a stunning back drop for photos of the bridal party, the couples portraits and their gorgeous wedding, but is one of the most important places to Tricia and Adam as it is where they love to spend all their free time together and now it will forever be a place where they created wonderful memories together and a place to create many many more. 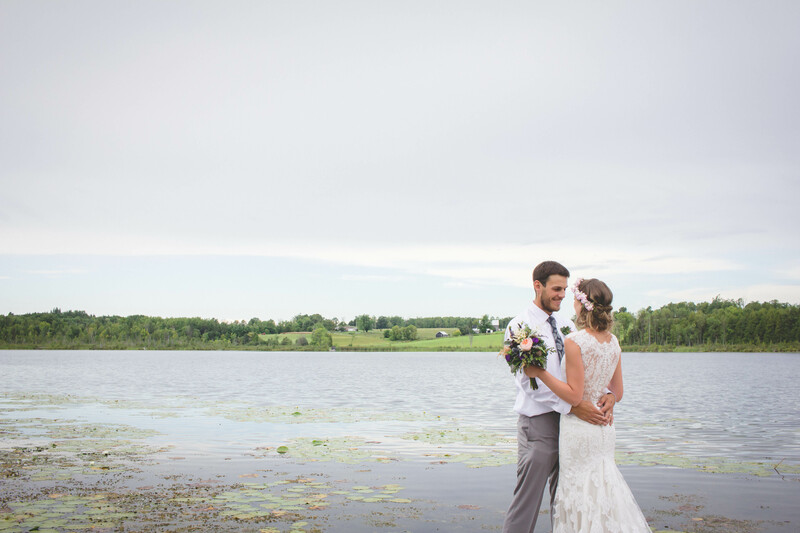 Such an amazing day! 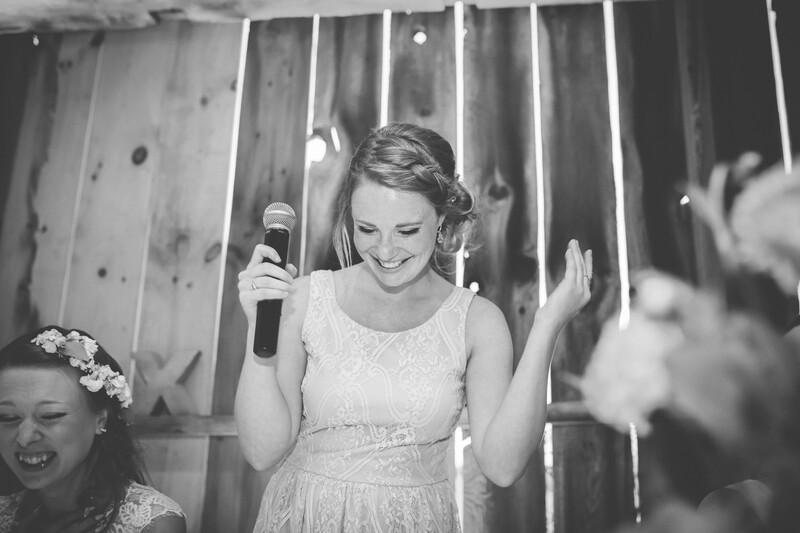 Thank you Thank you for having me be a part of it! 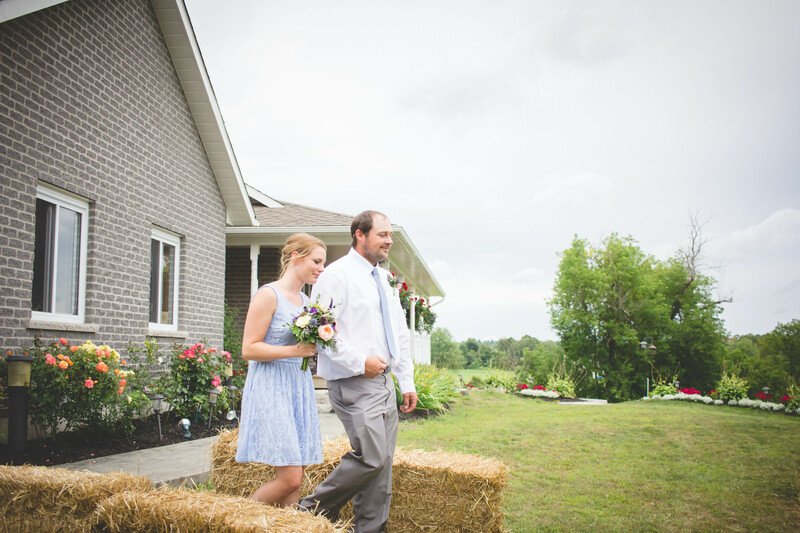 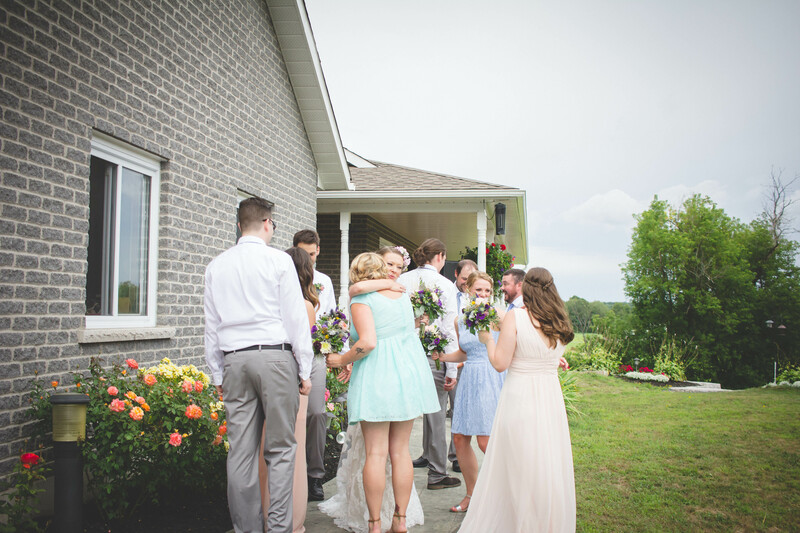 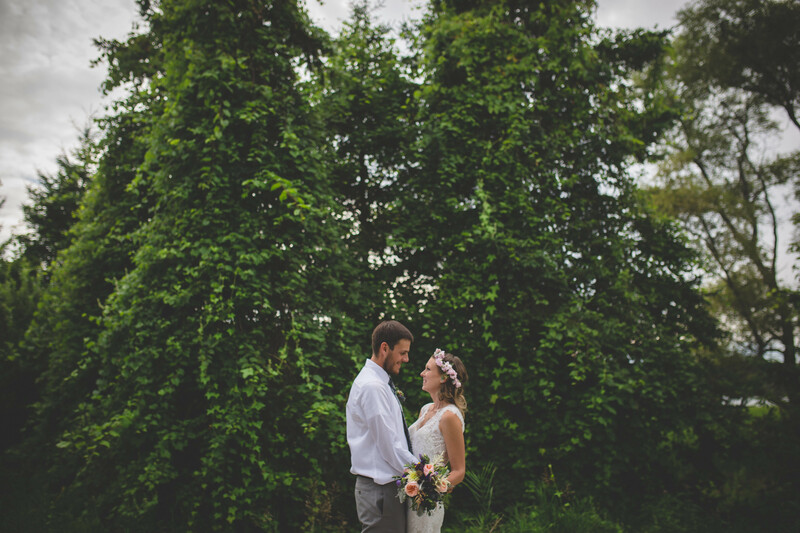 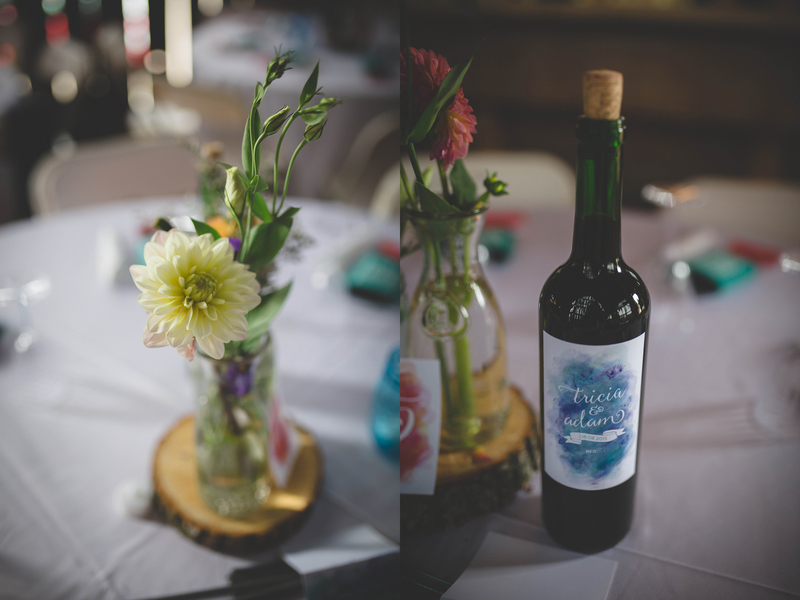 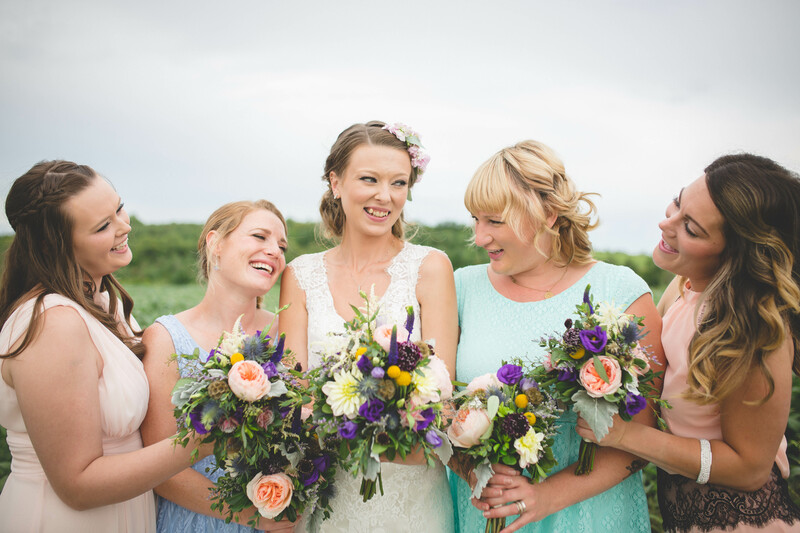 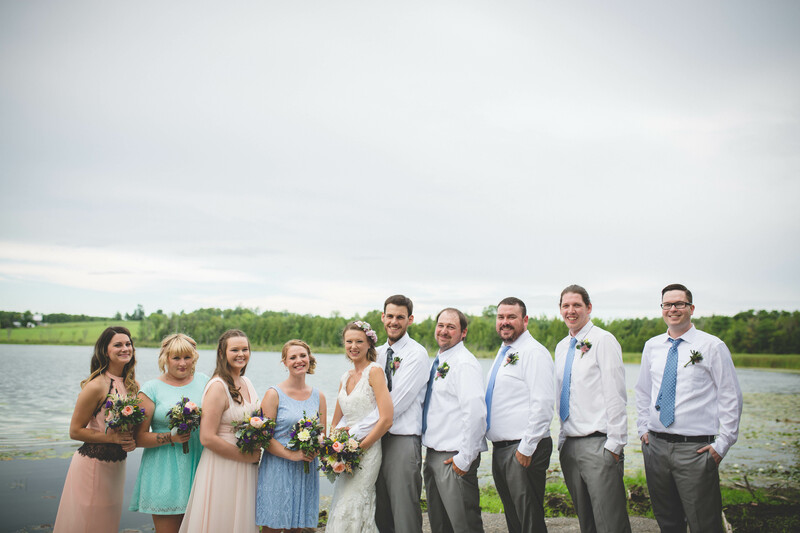 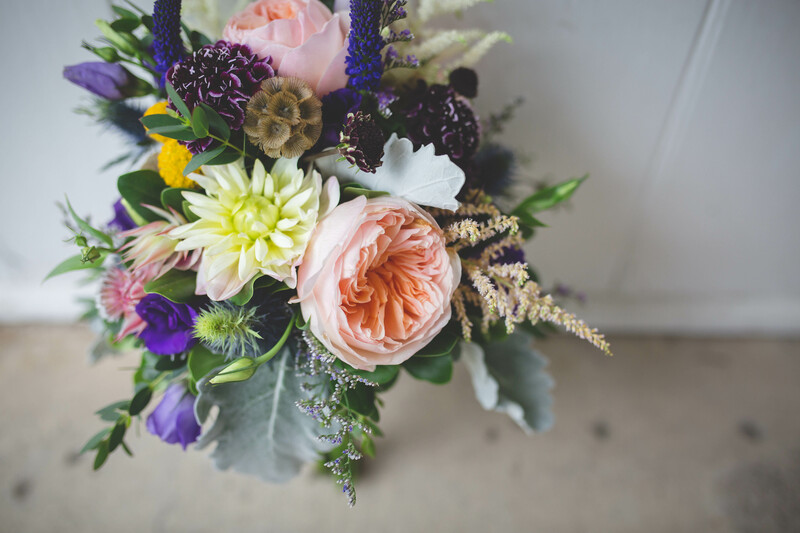 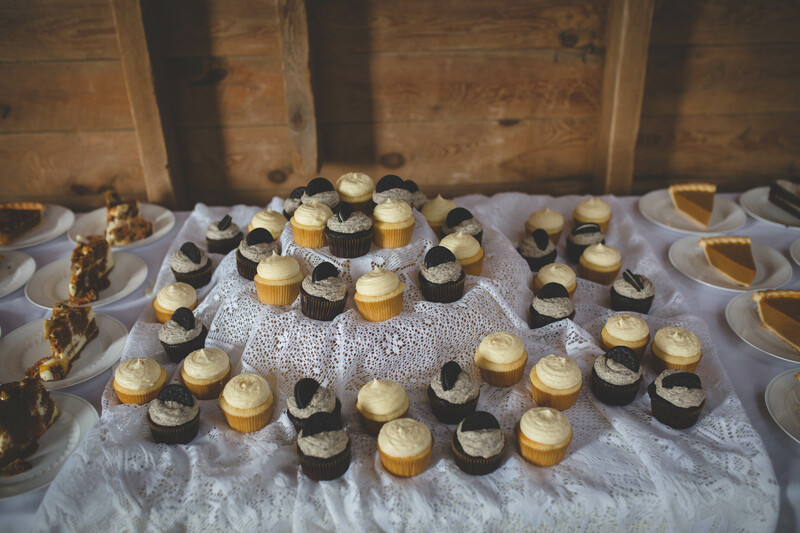 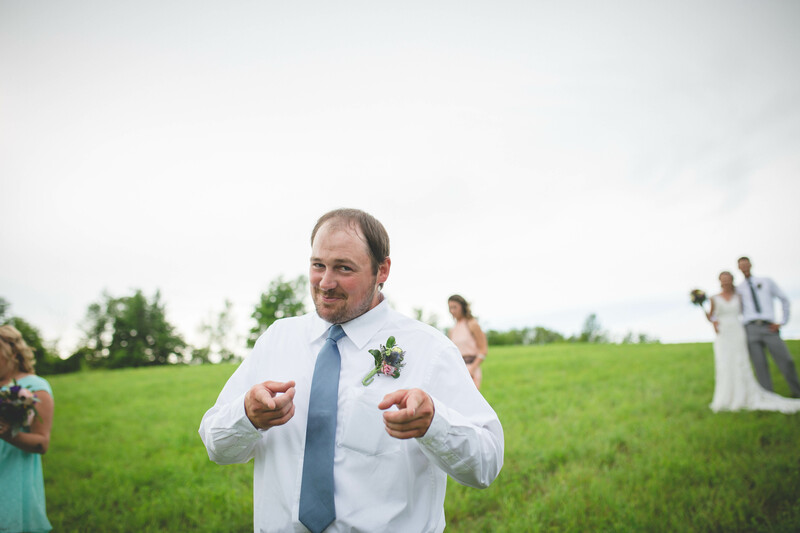 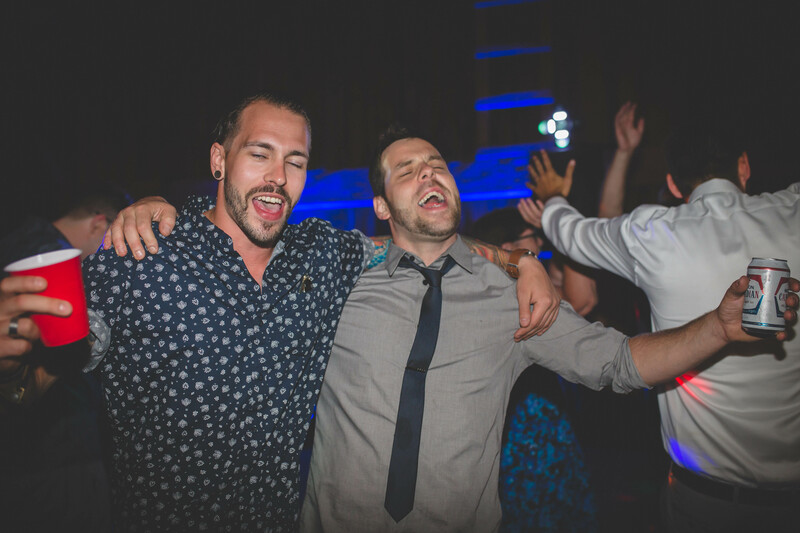 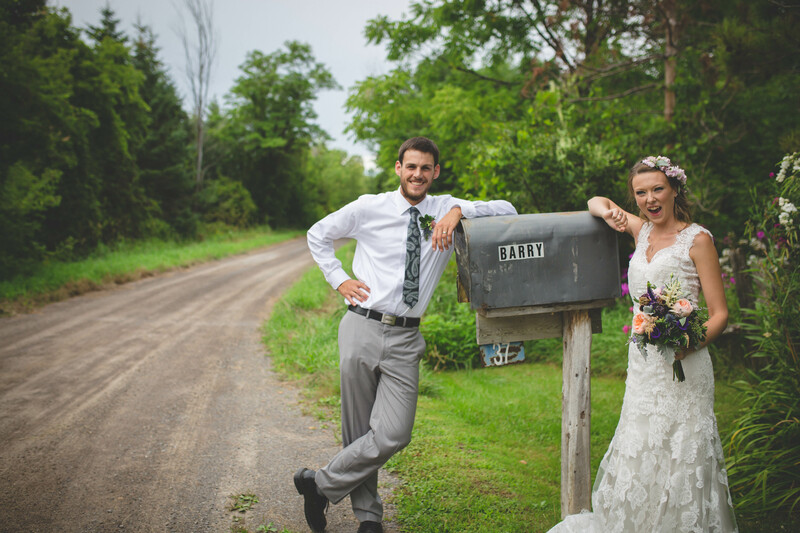 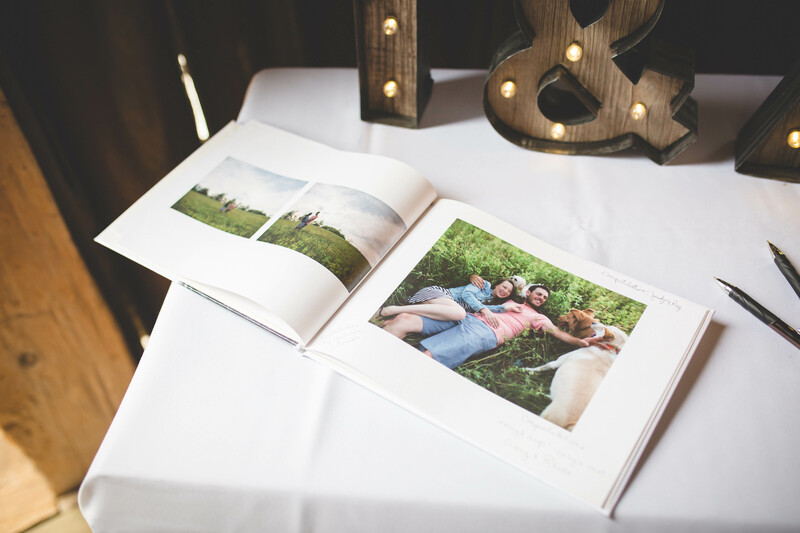 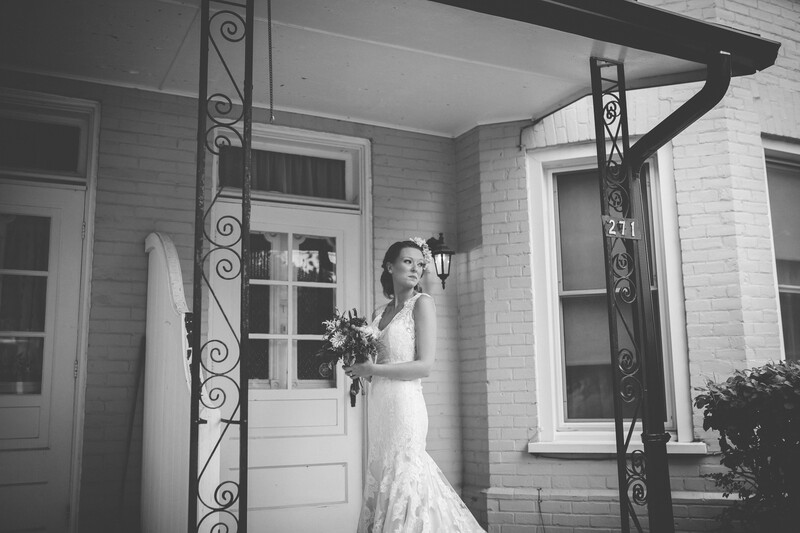 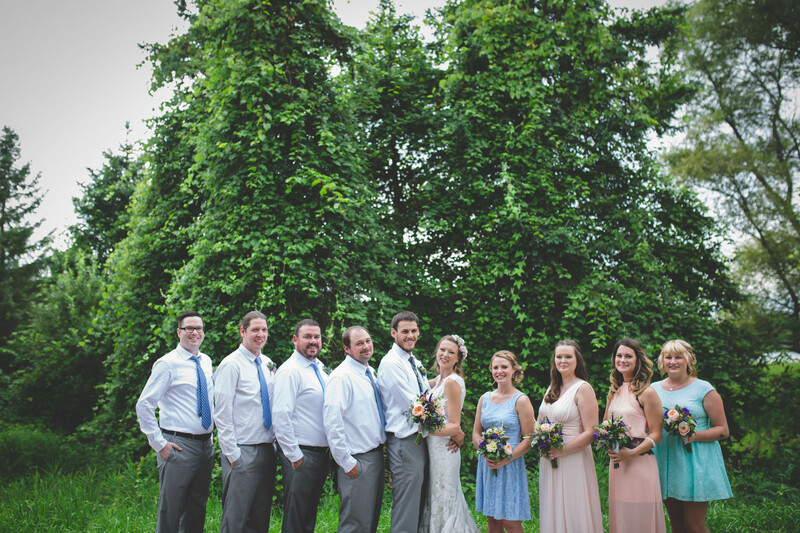 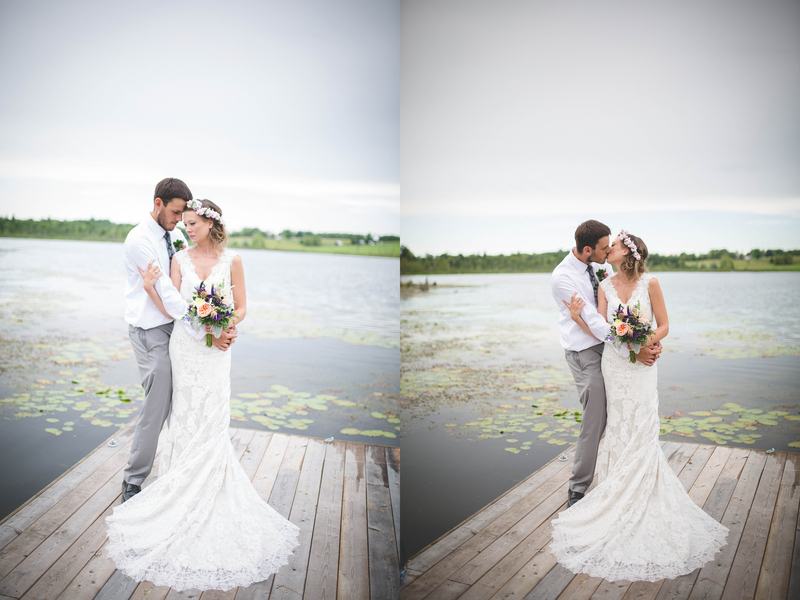 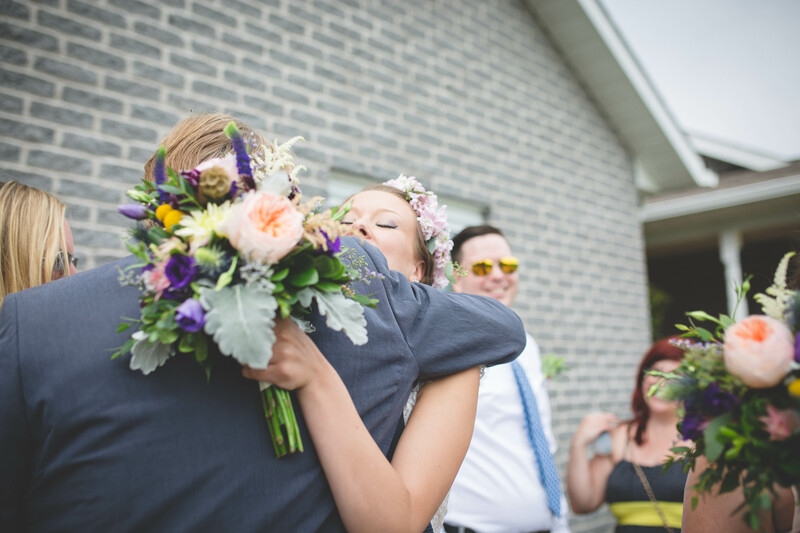 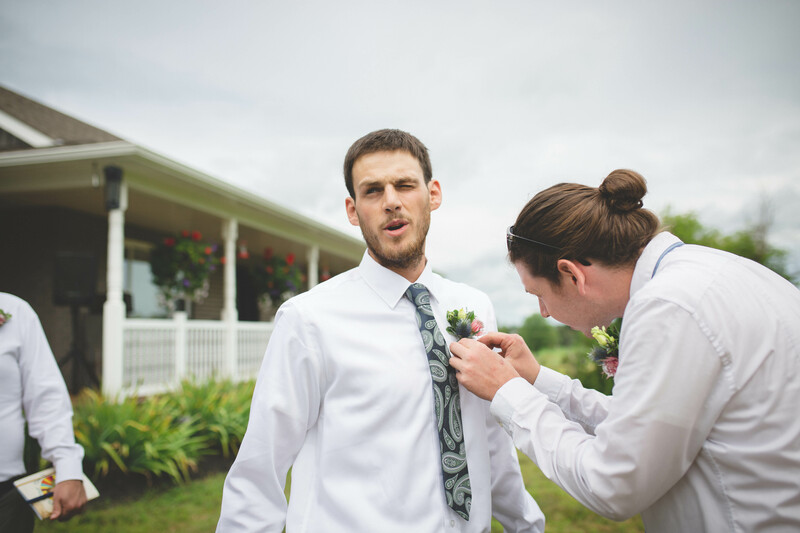 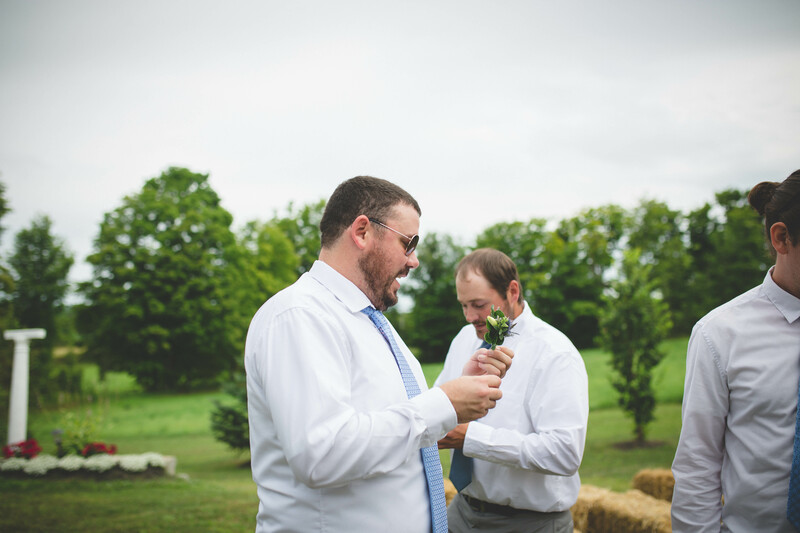 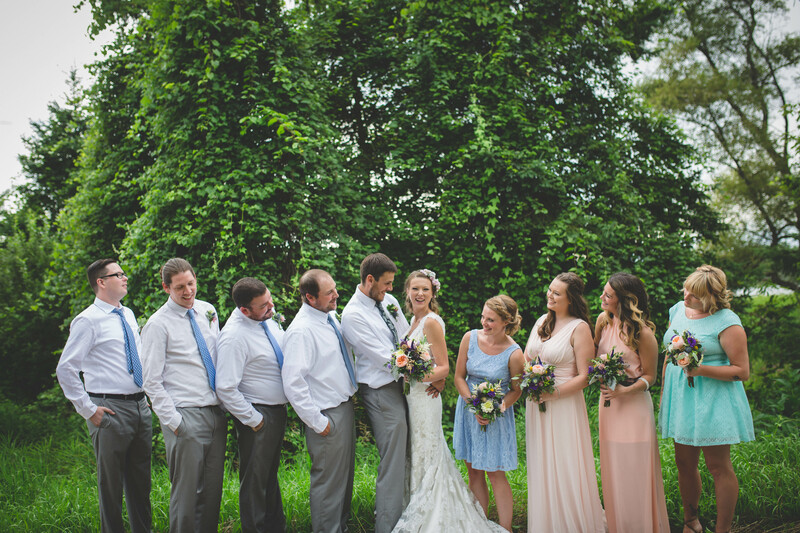 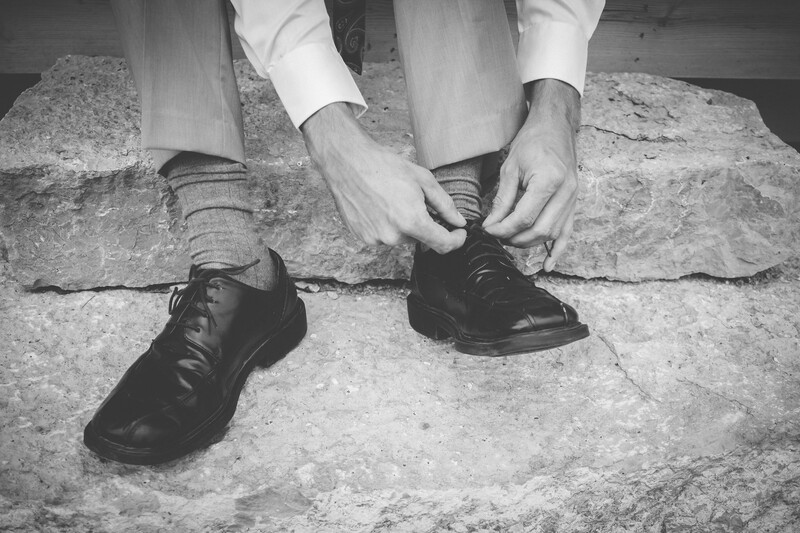 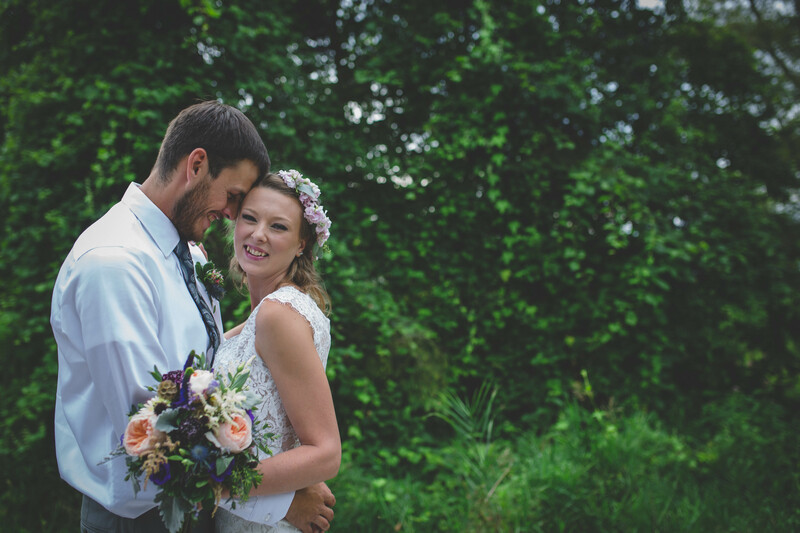 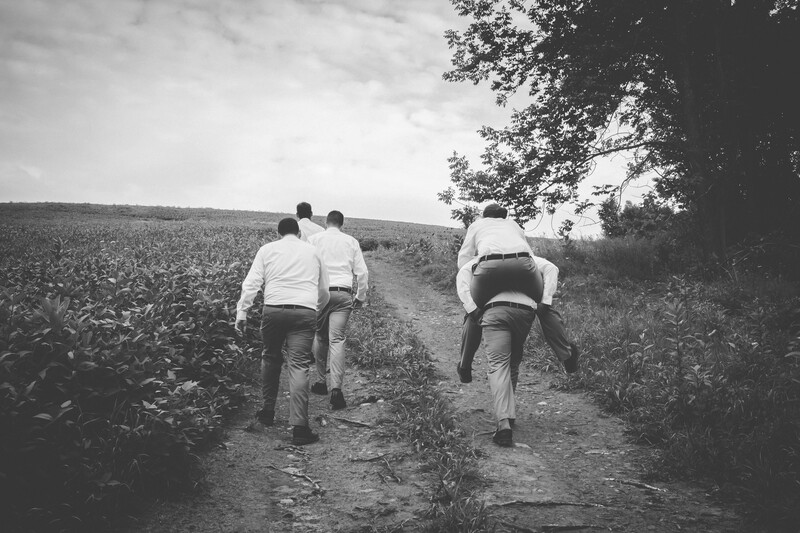 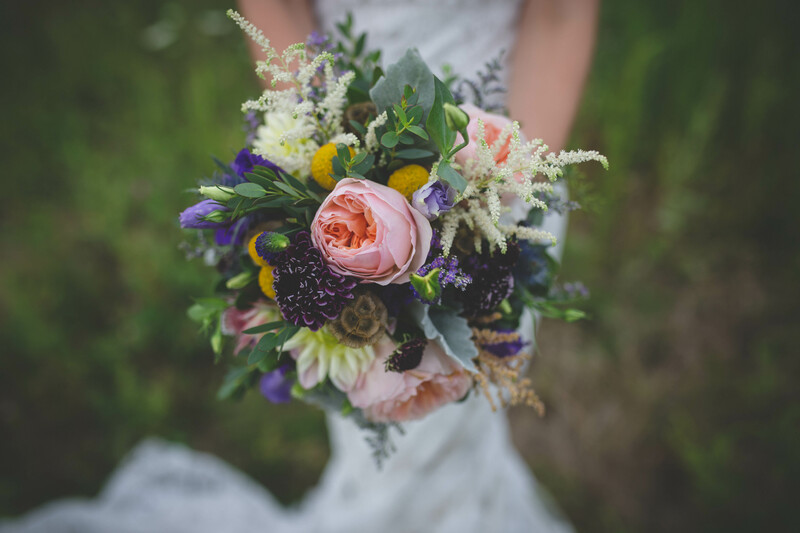 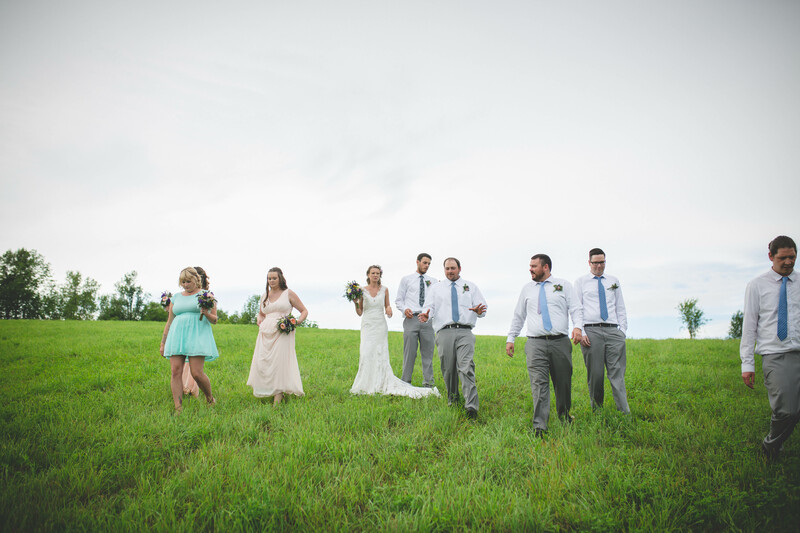 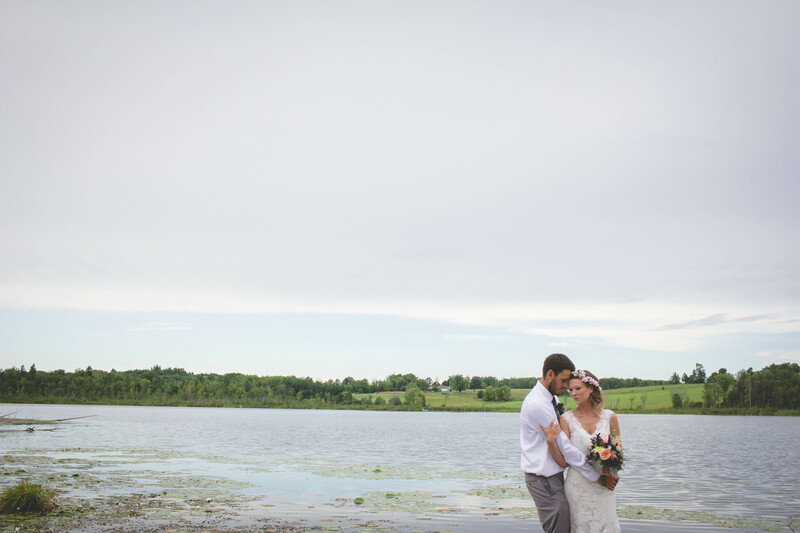 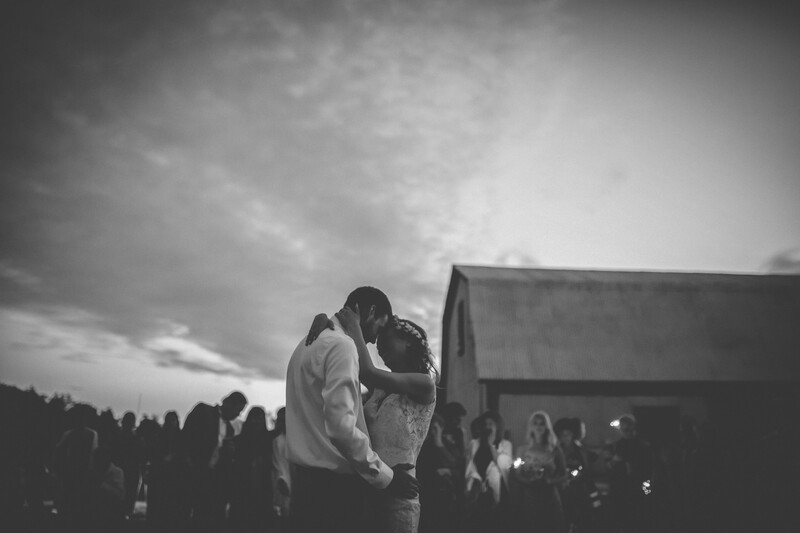 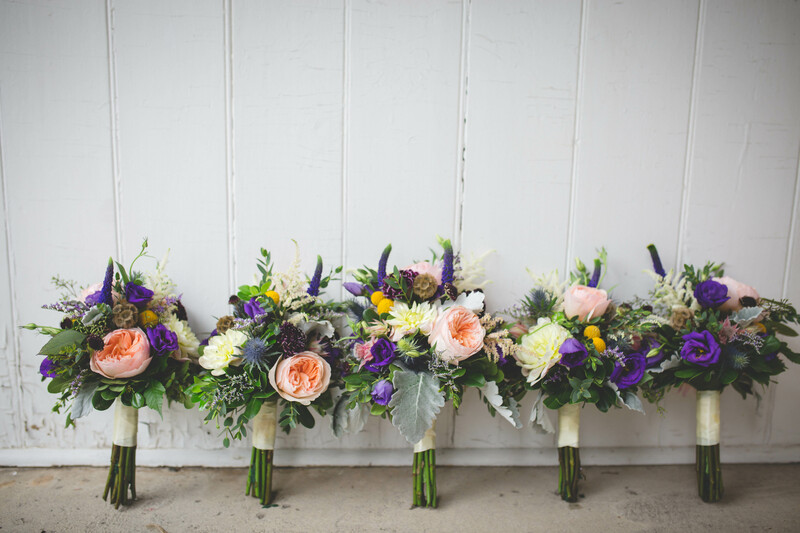 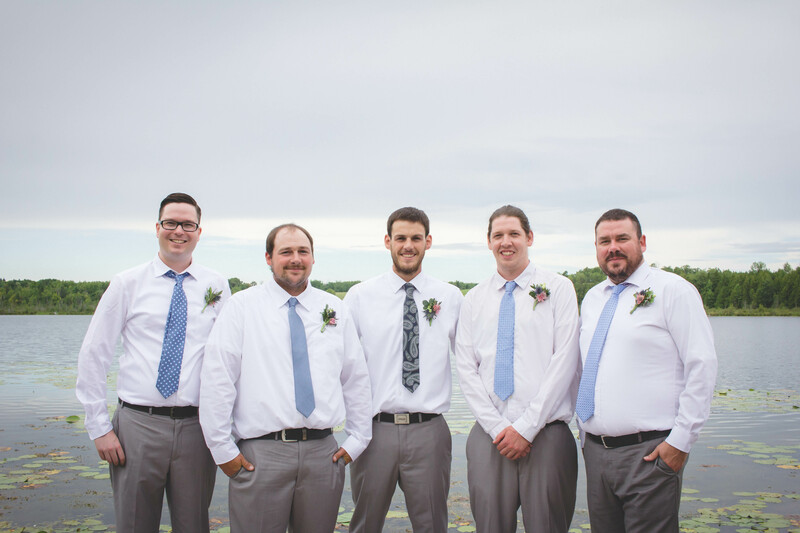 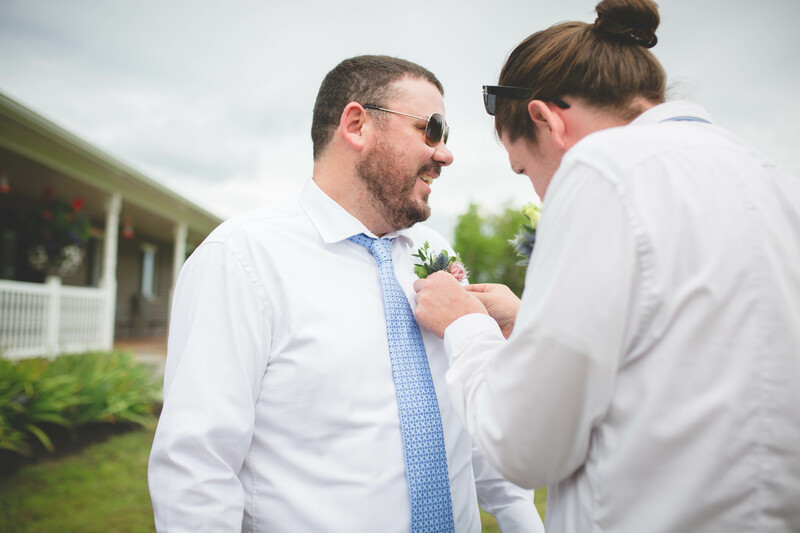 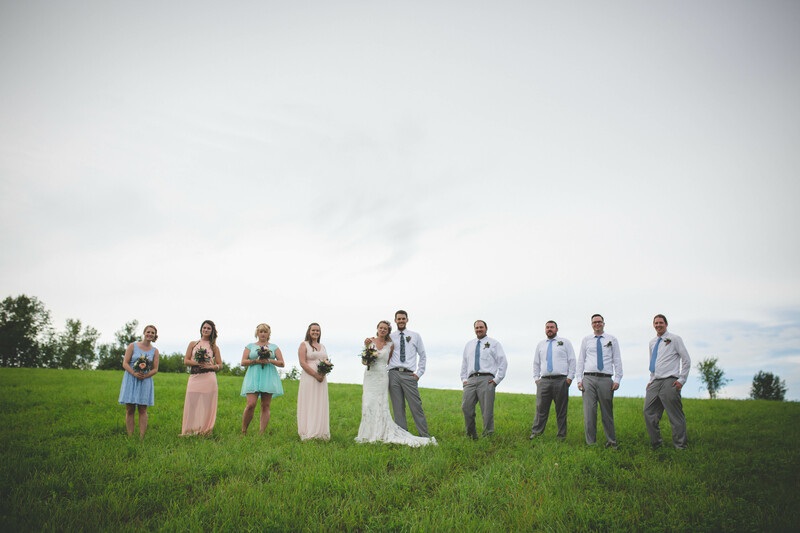 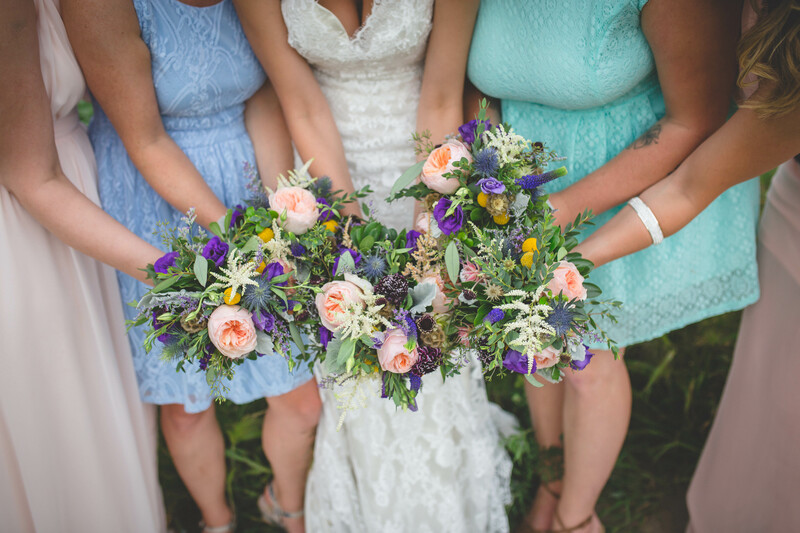 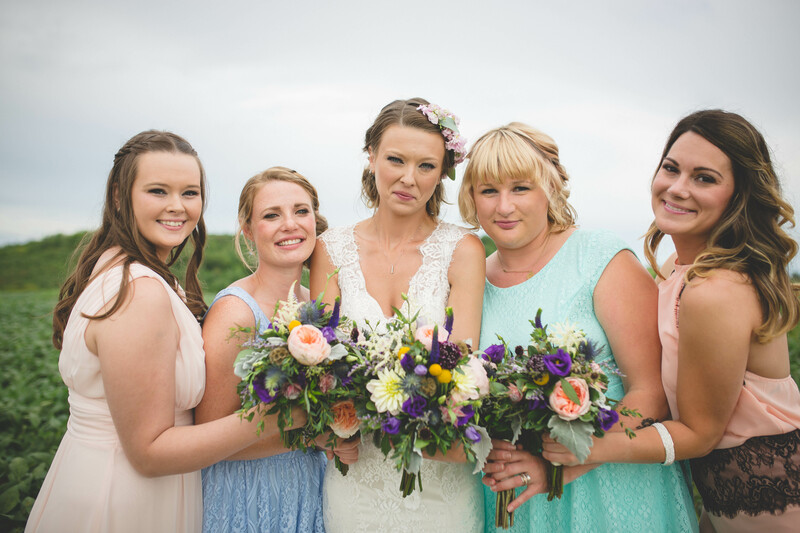 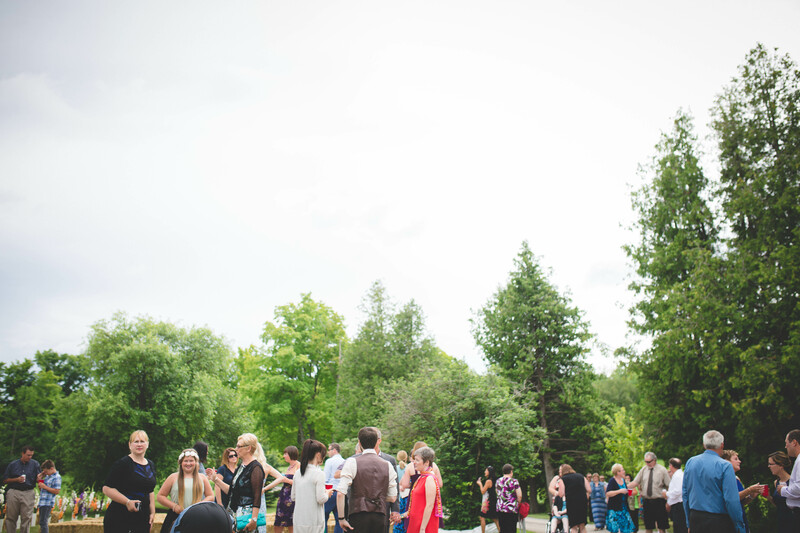 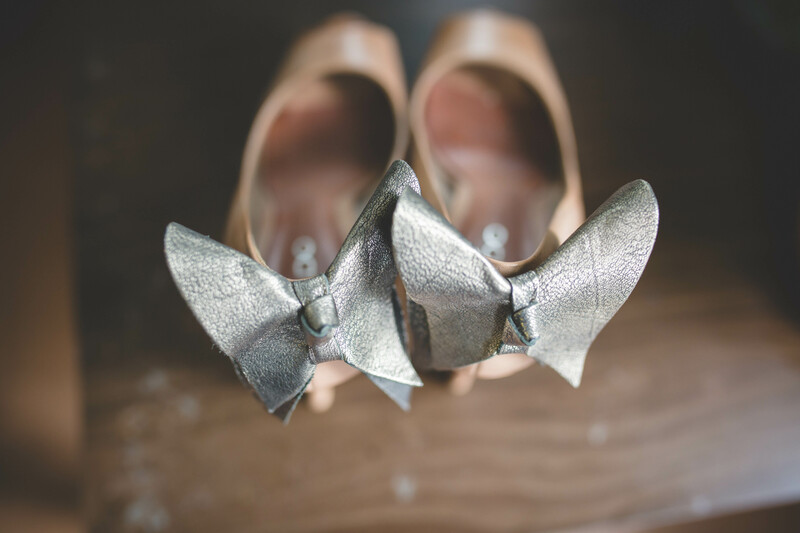 Thank you so much to Jen from Jennifer Rudy Photography for second photographing Tricia and Adam’s Wedding Day!